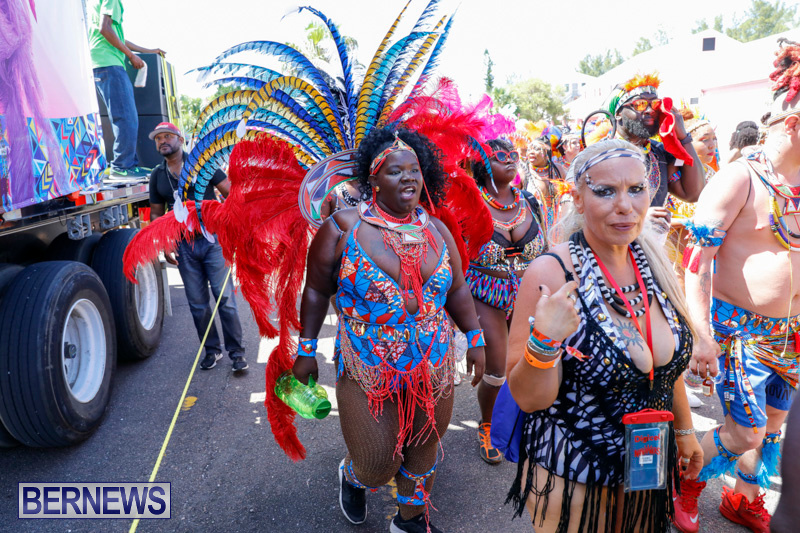 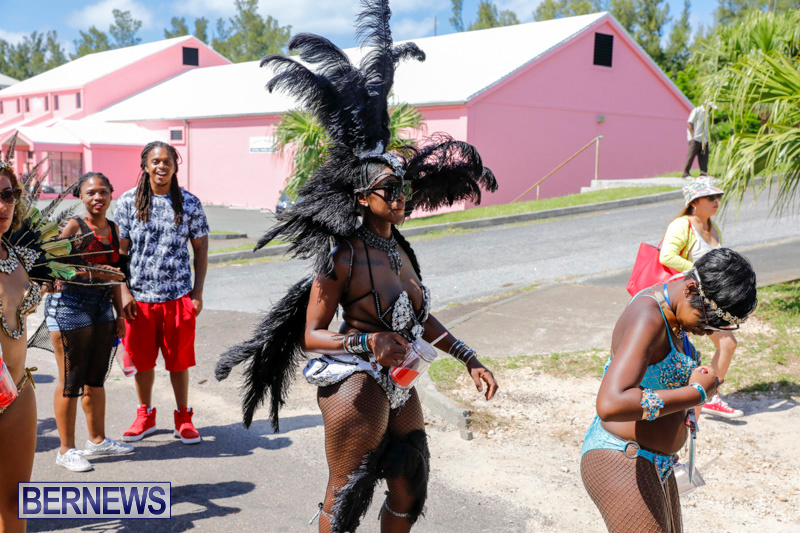 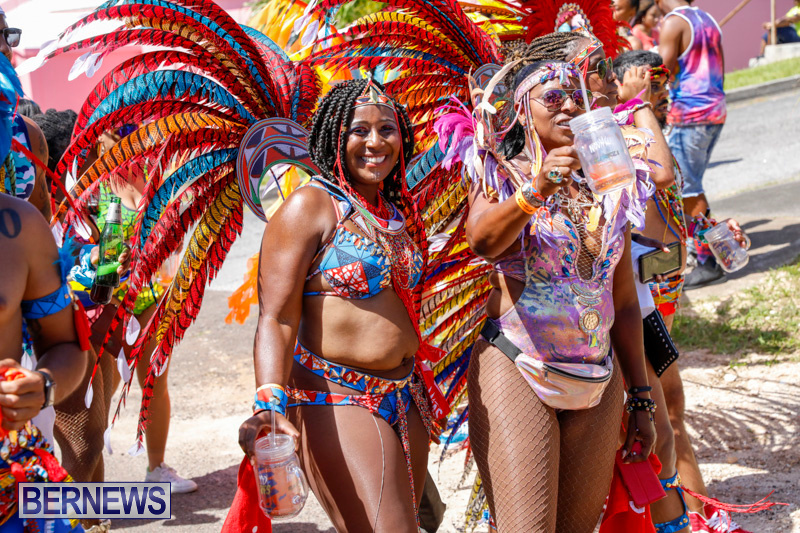 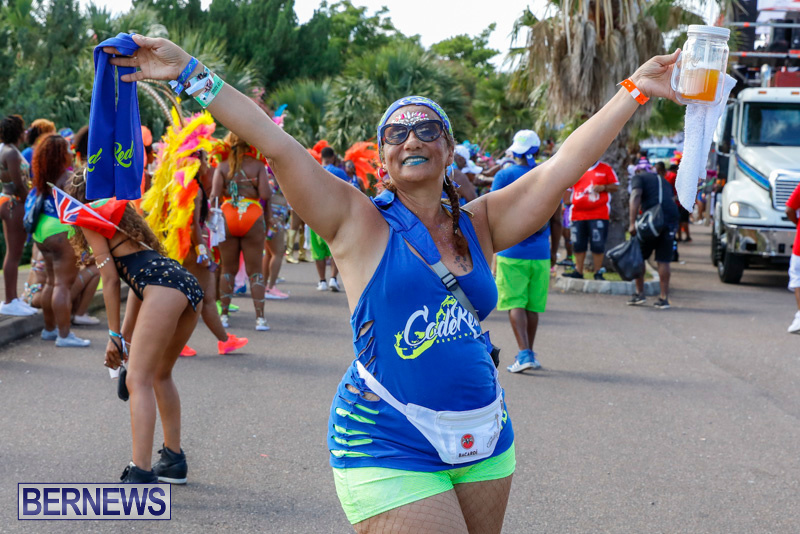 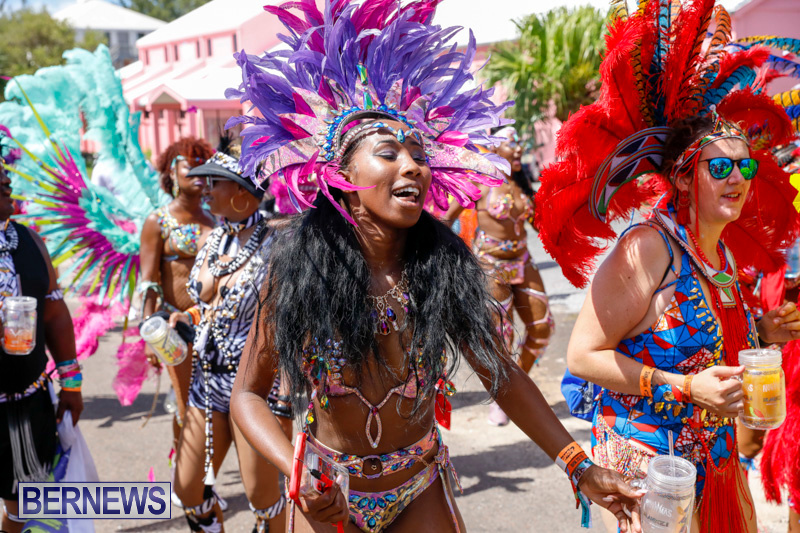 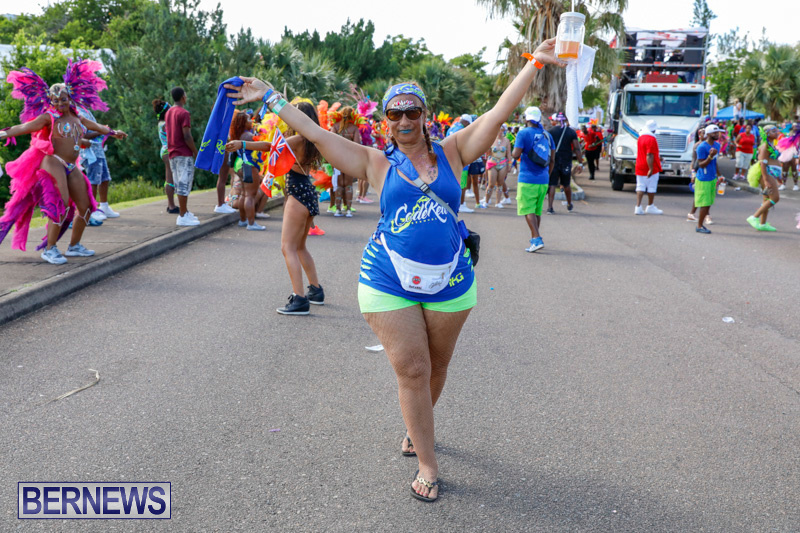 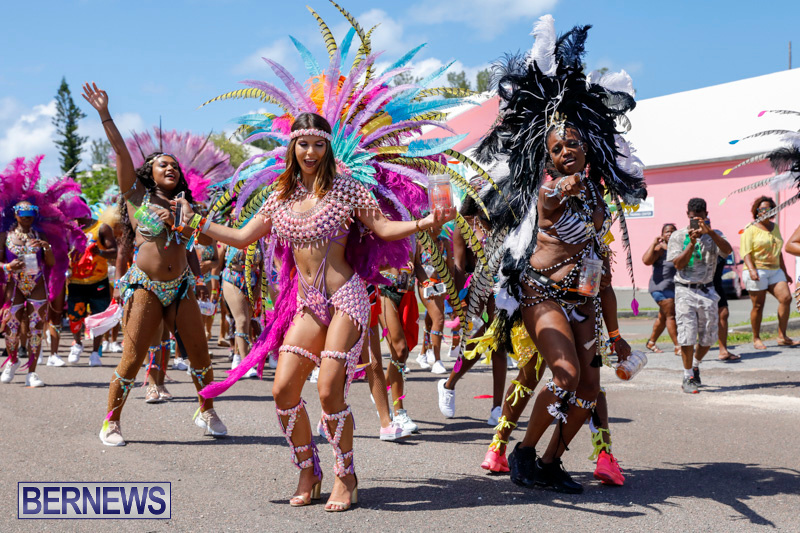 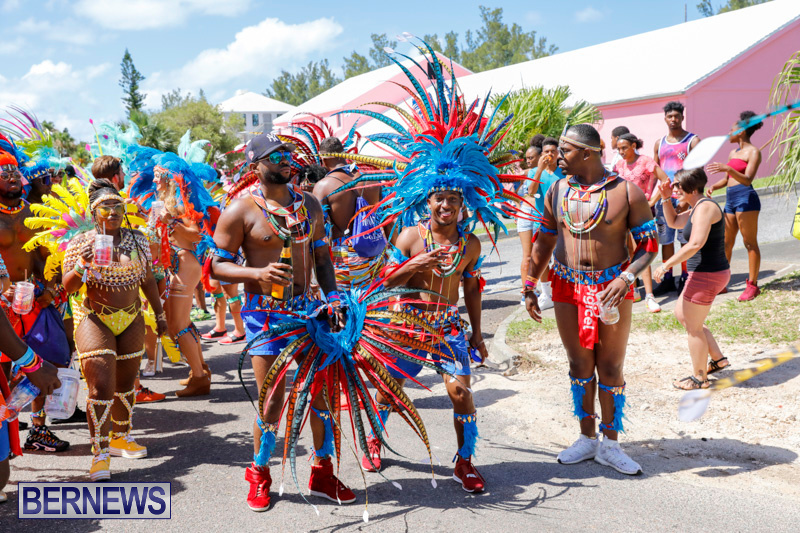 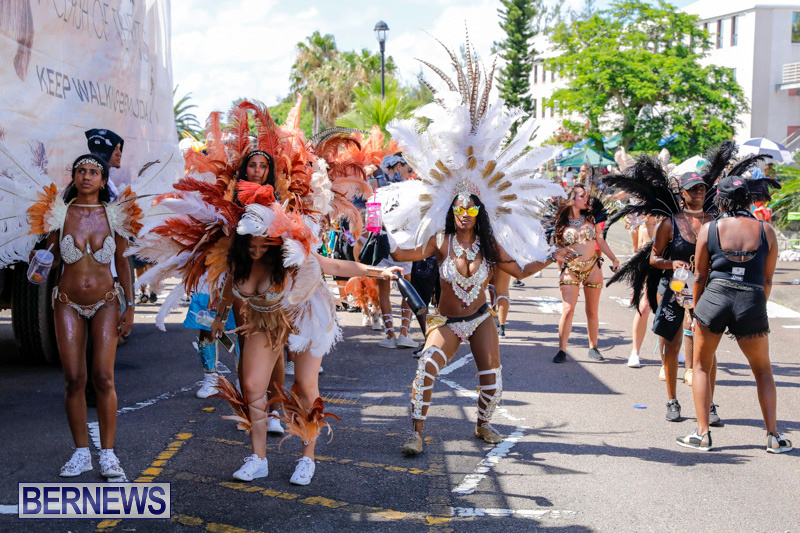 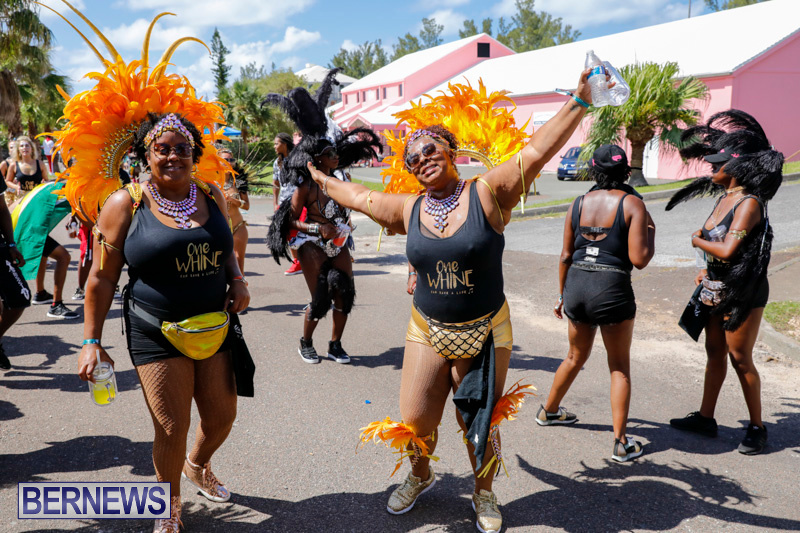 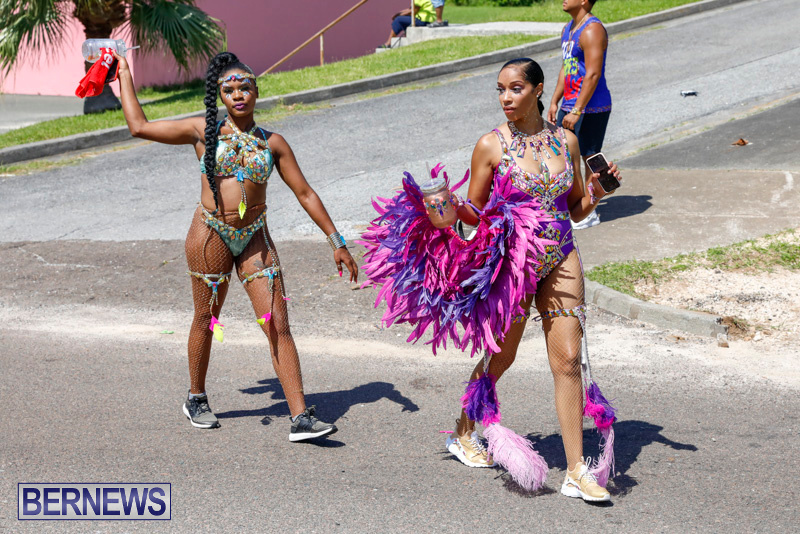 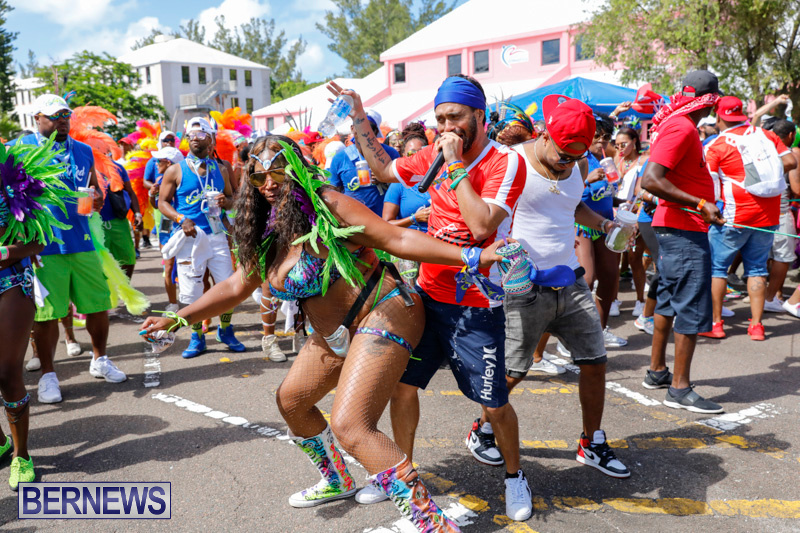 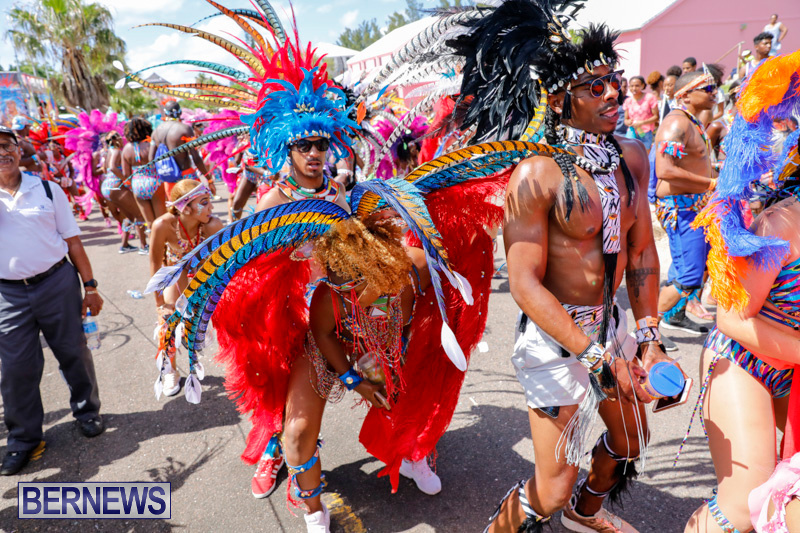 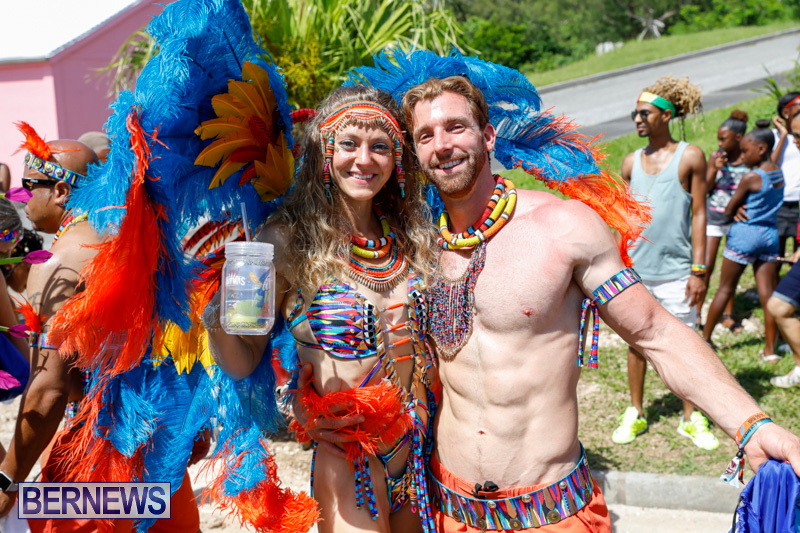 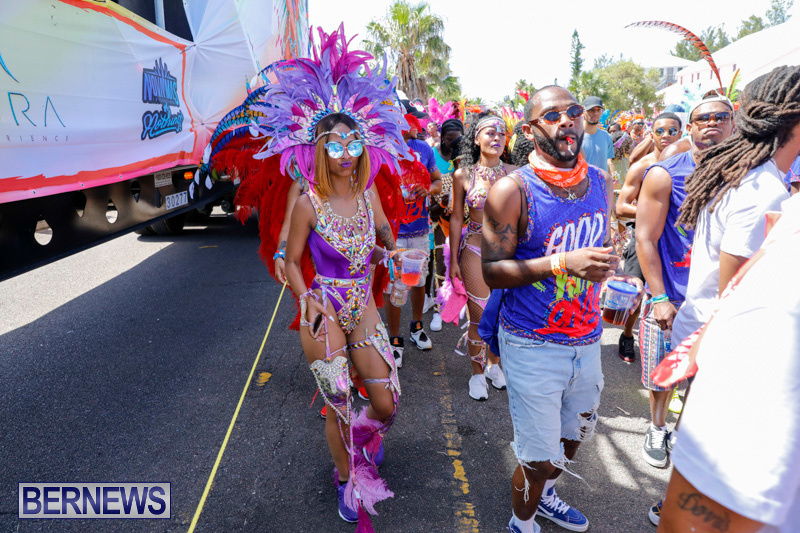 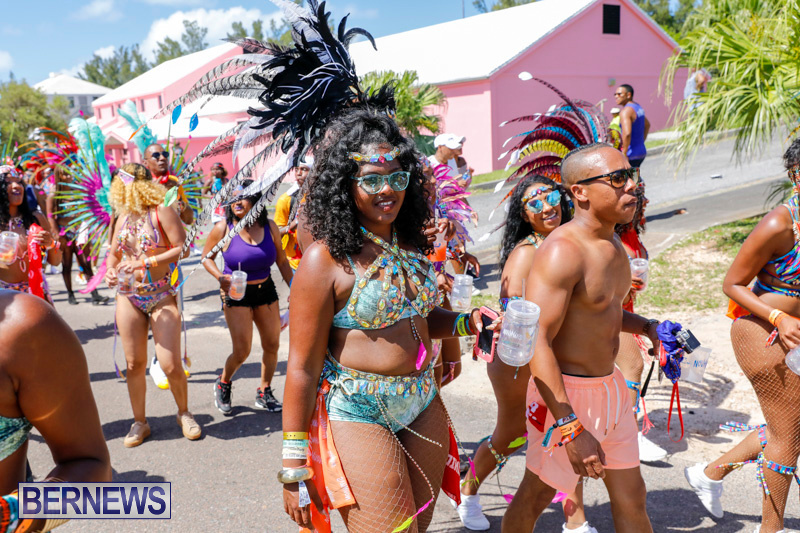 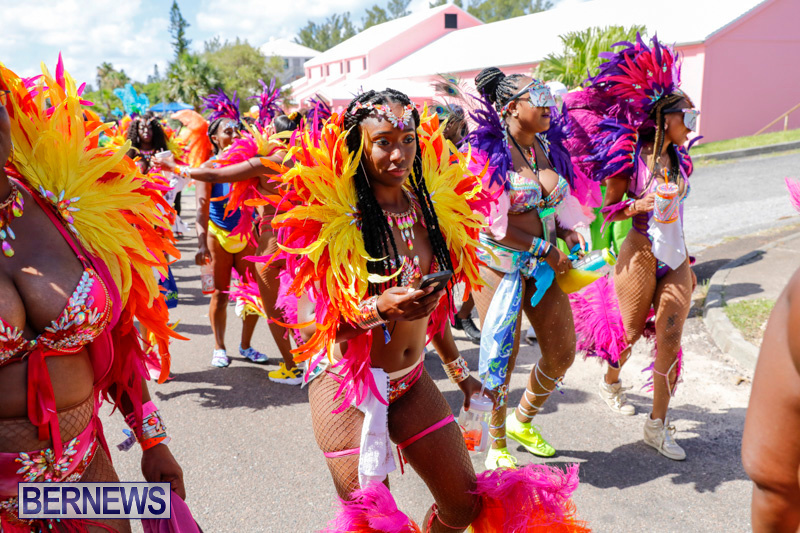 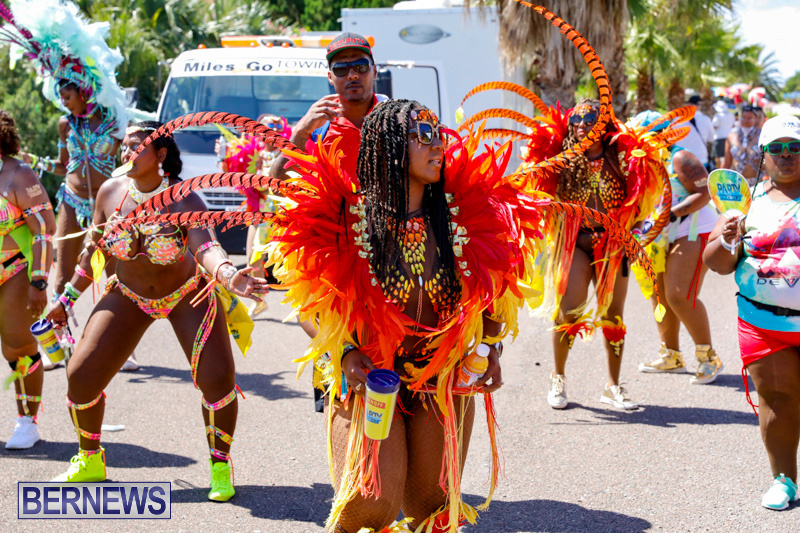 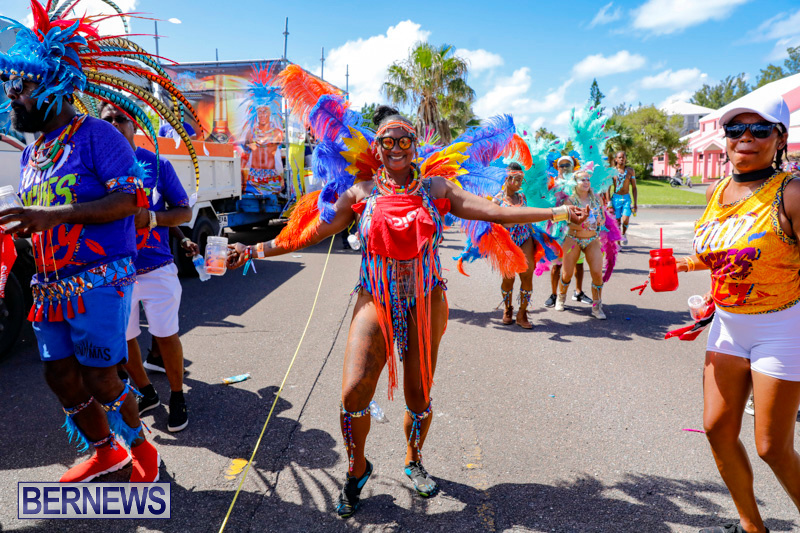 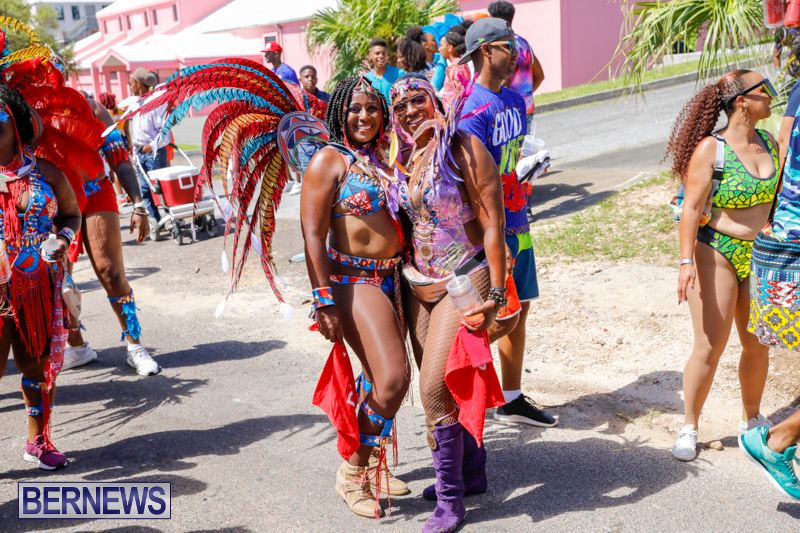 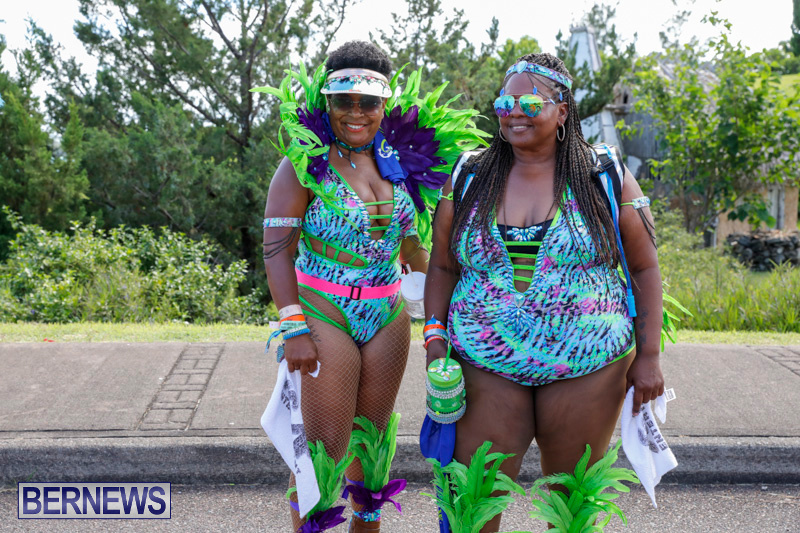 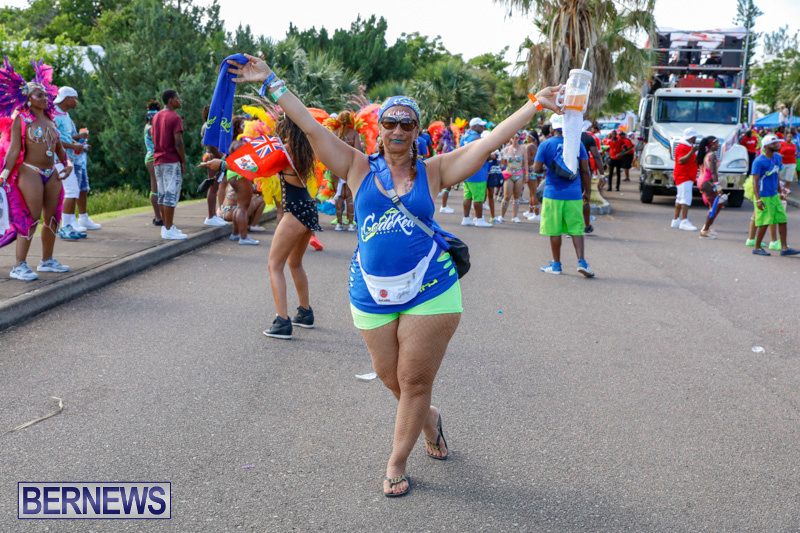 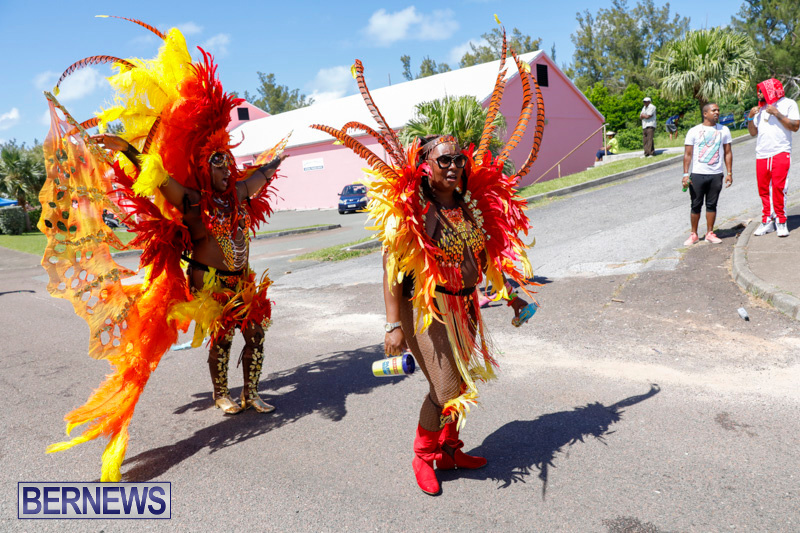 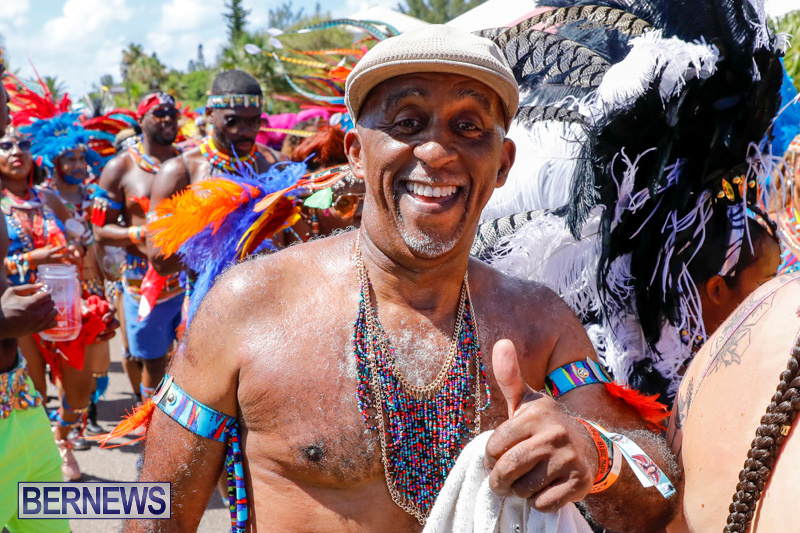 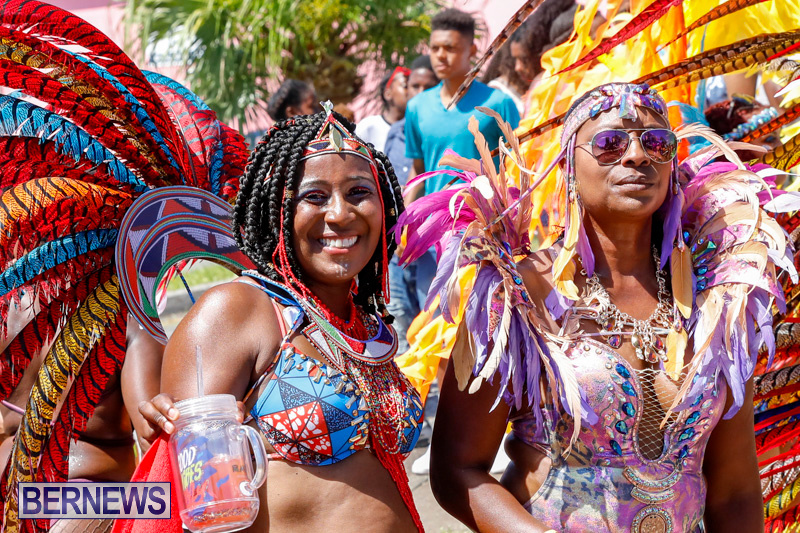 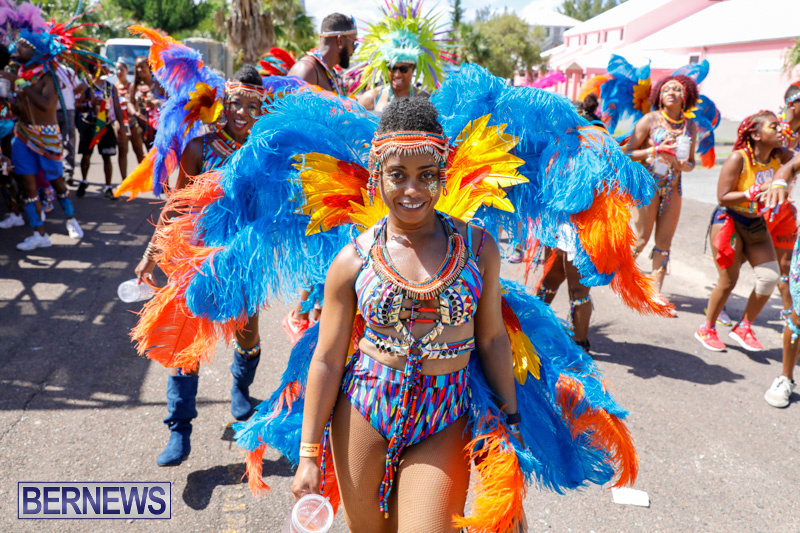 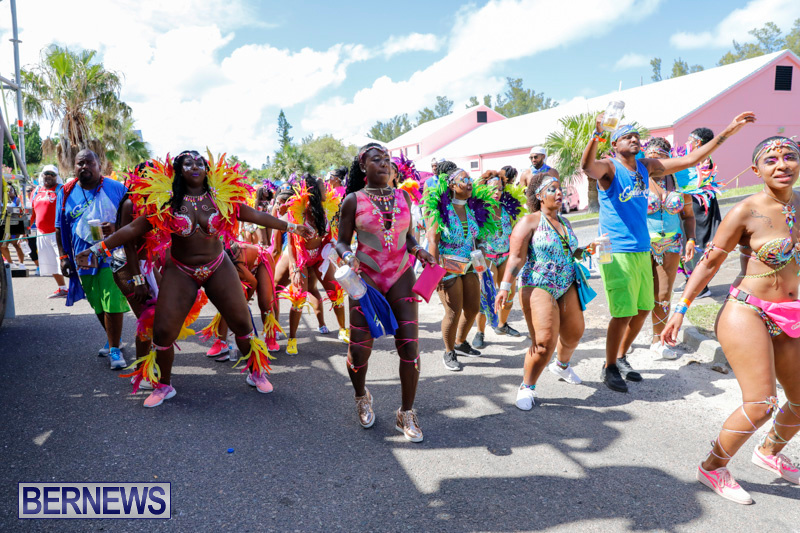 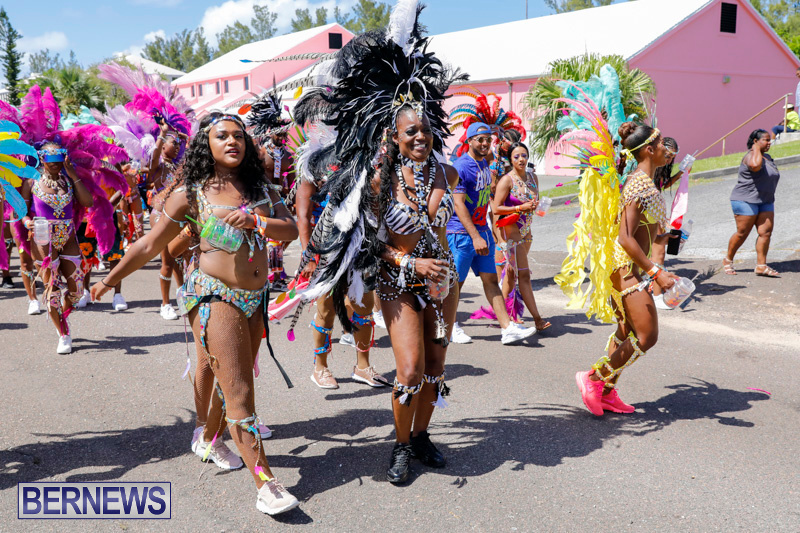 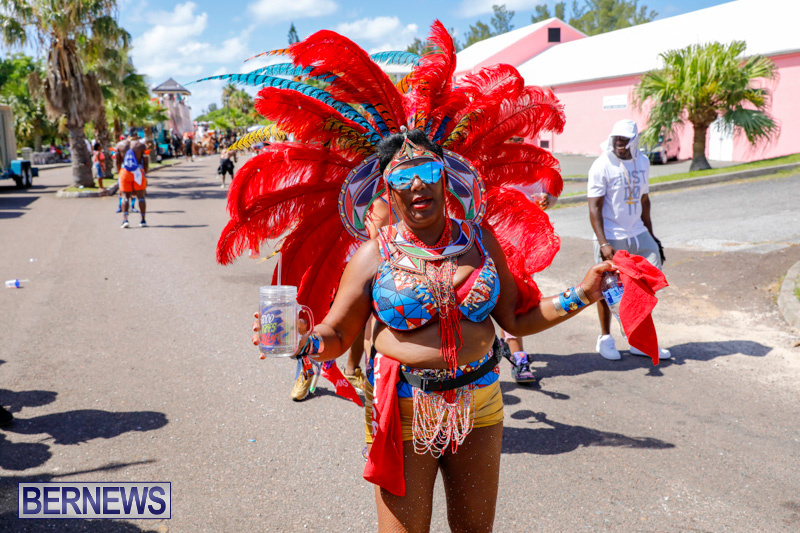 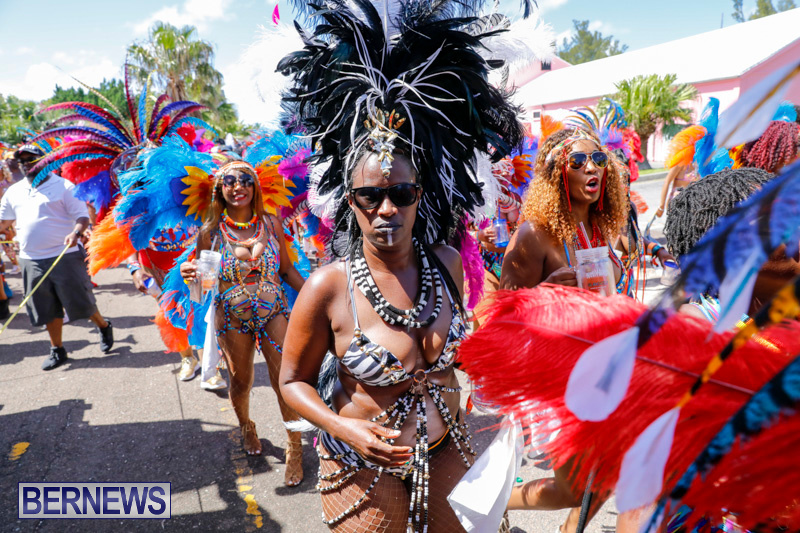 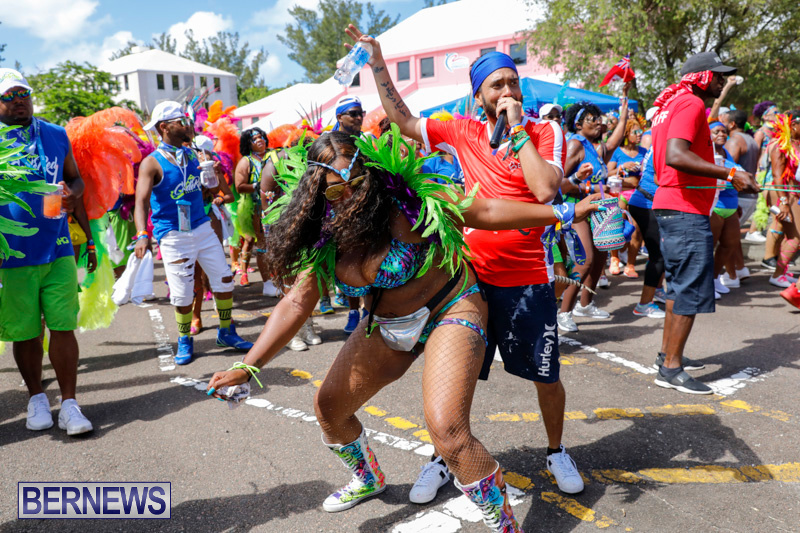 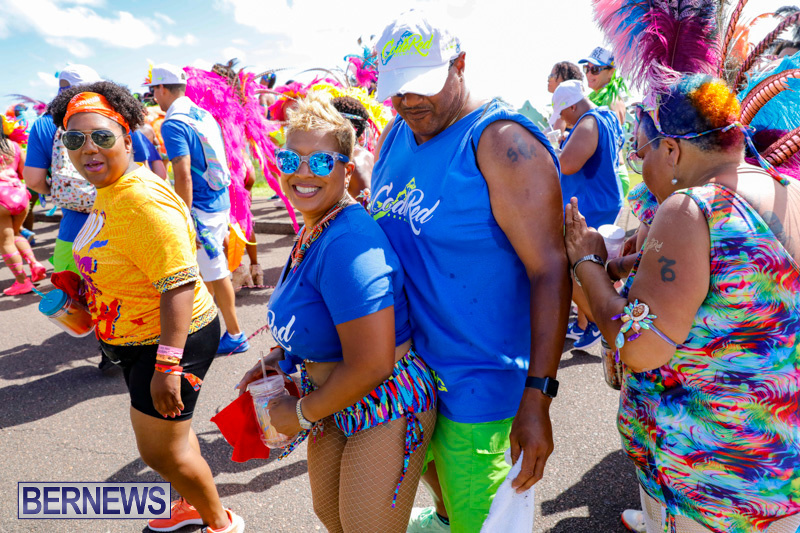 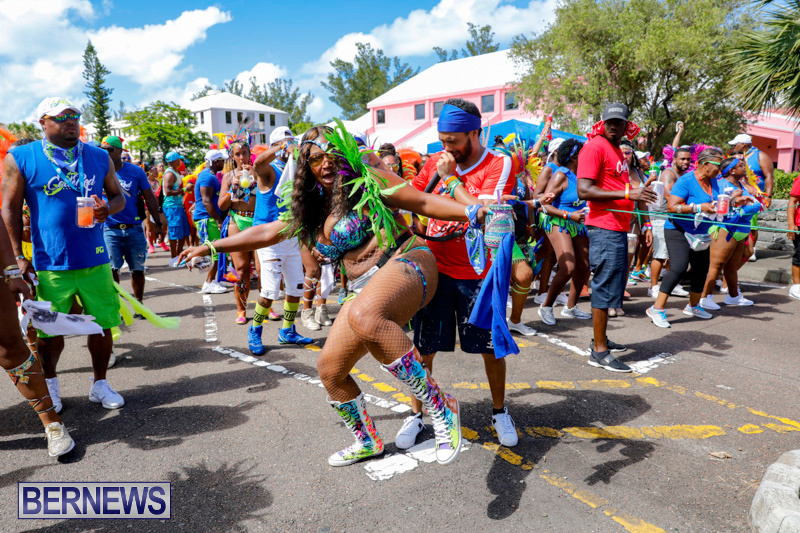 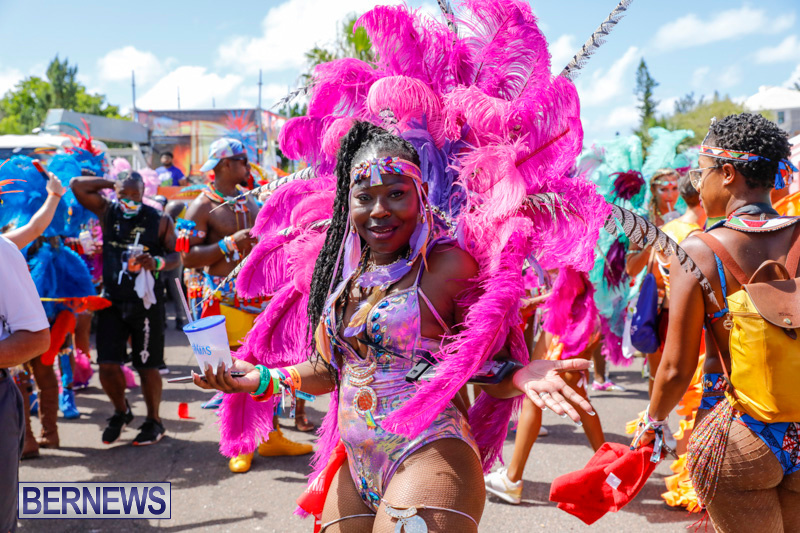 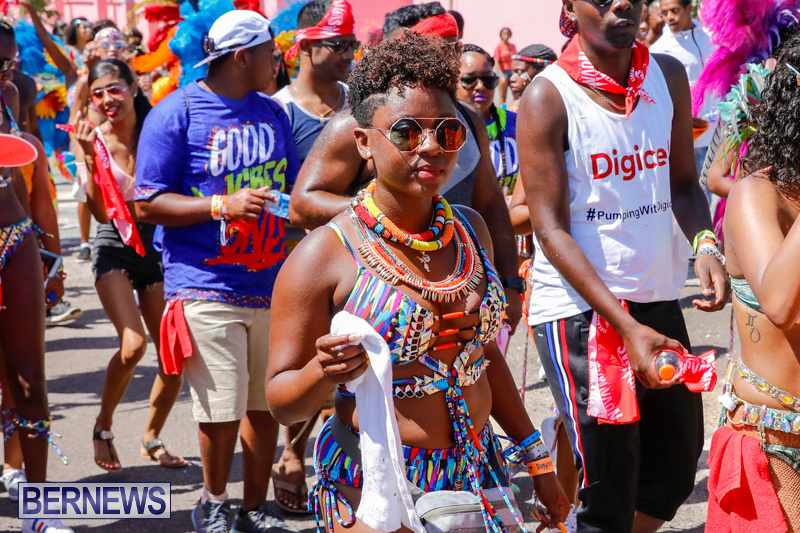 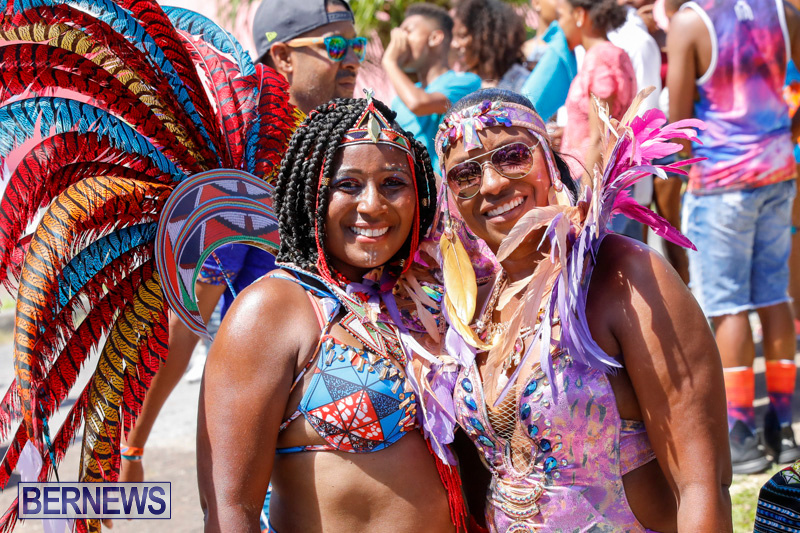 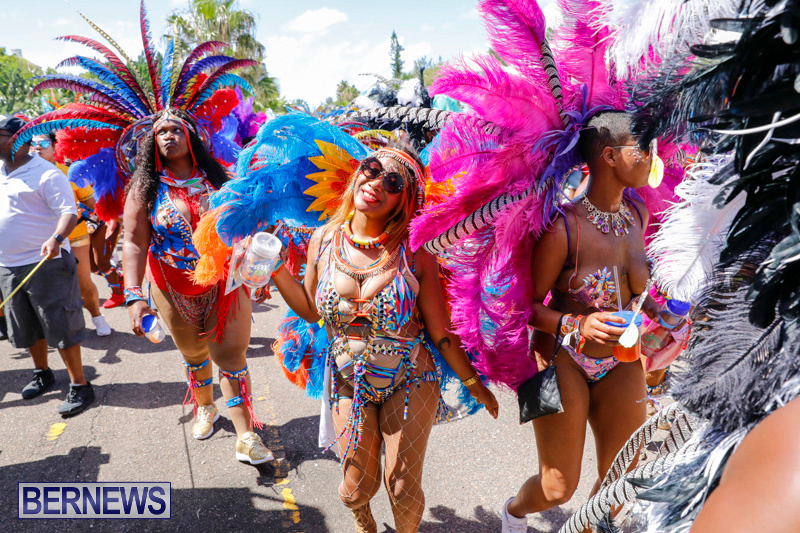 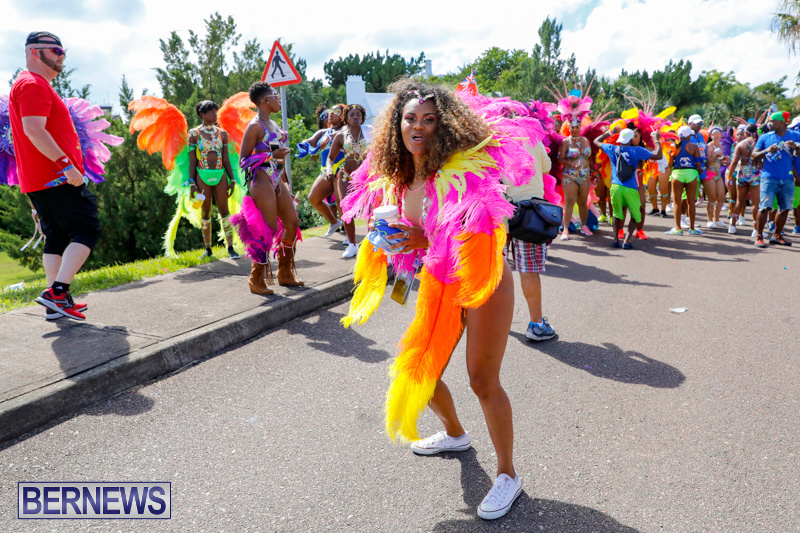 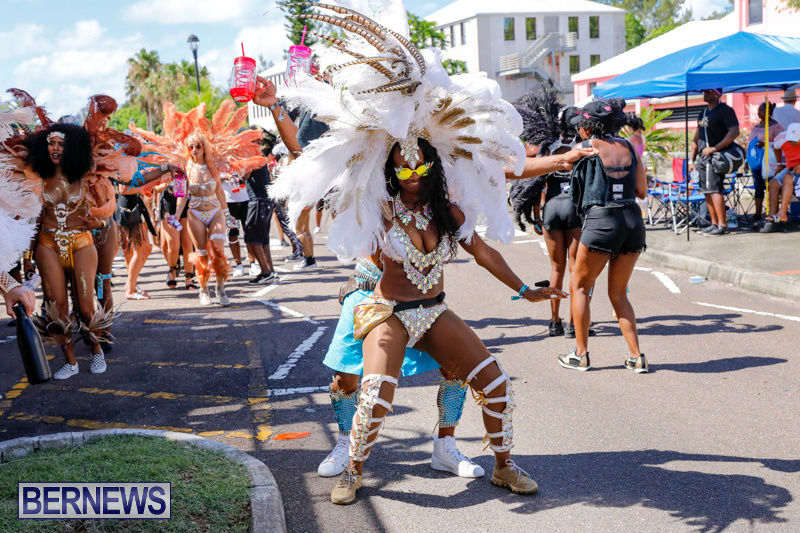 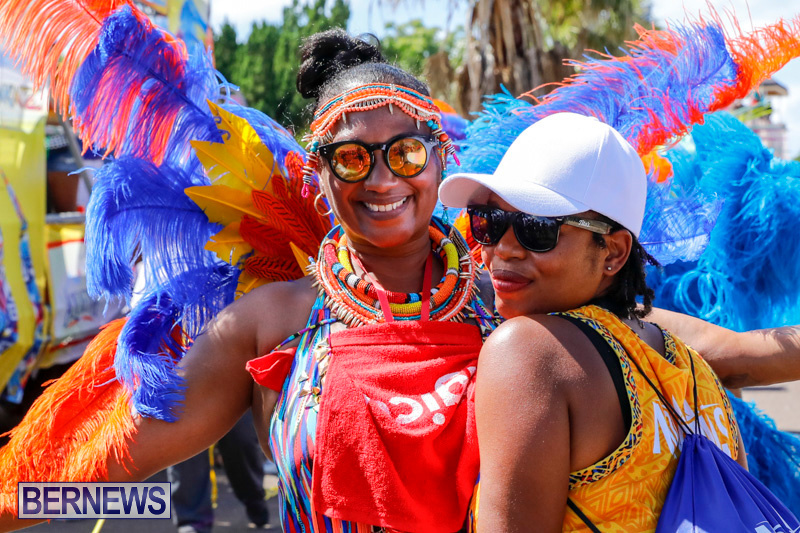 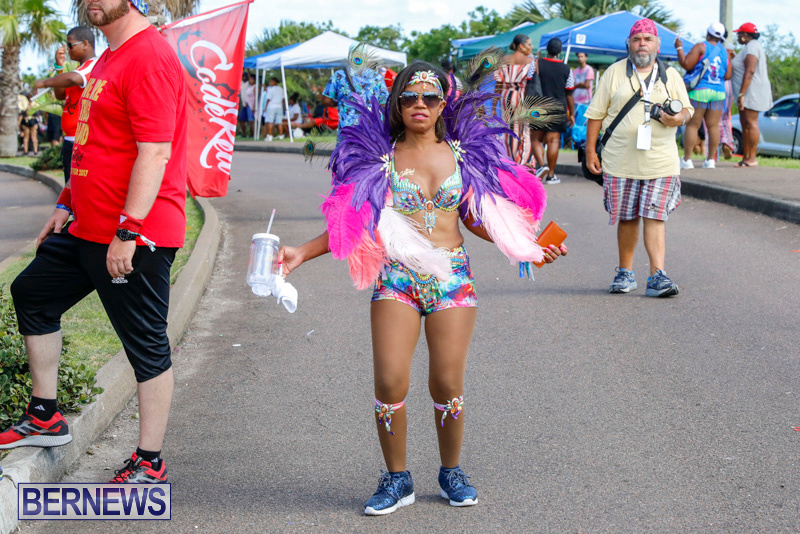 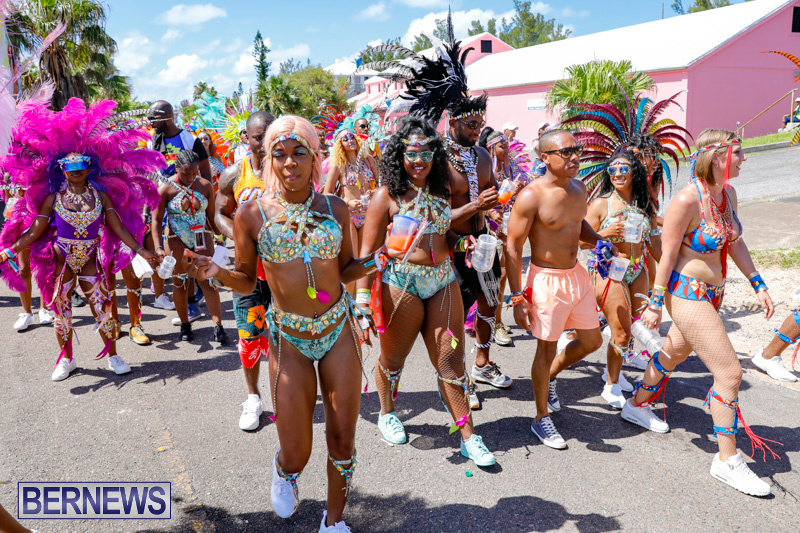 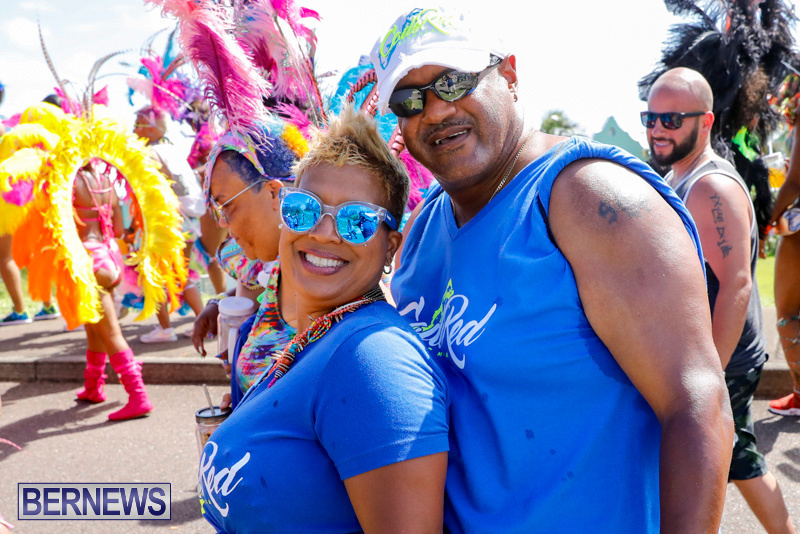 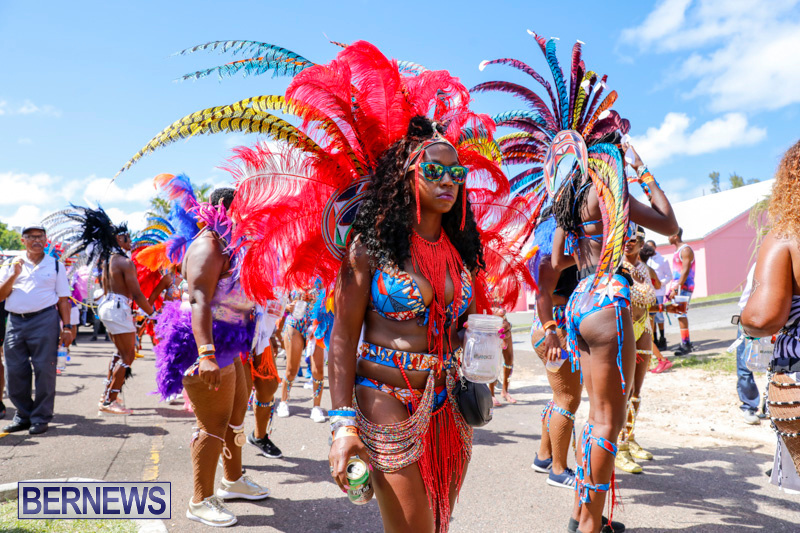 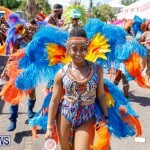 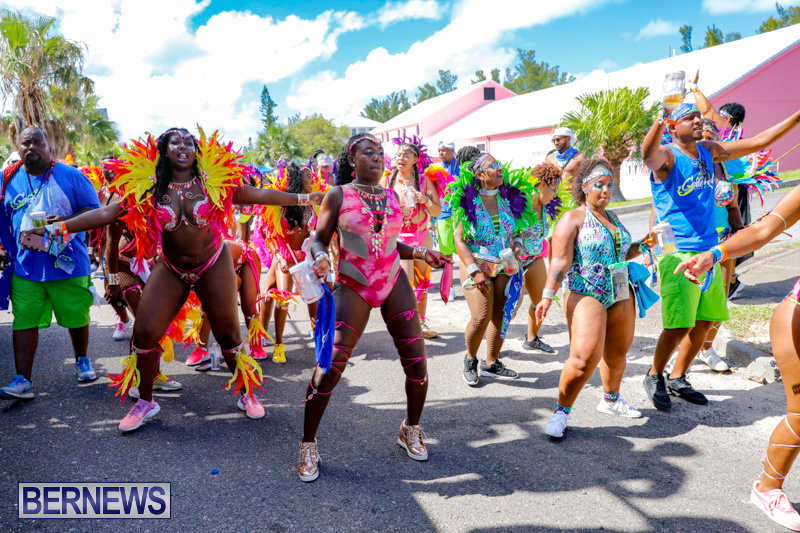 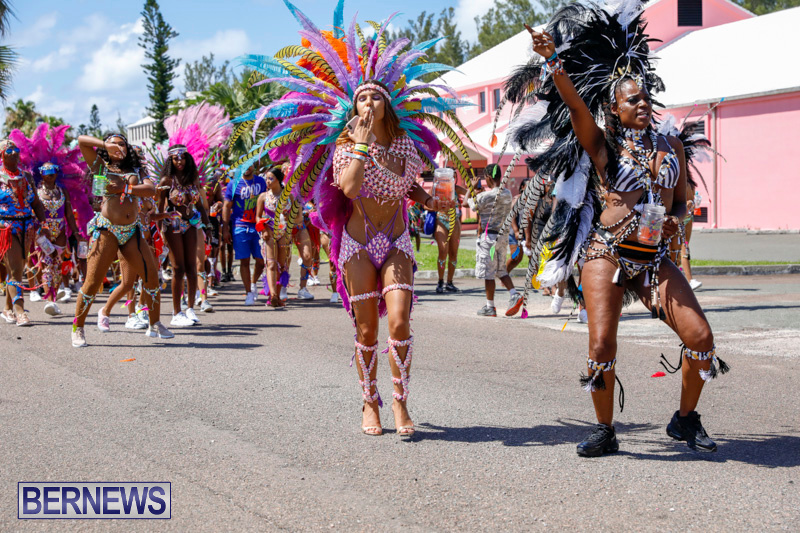 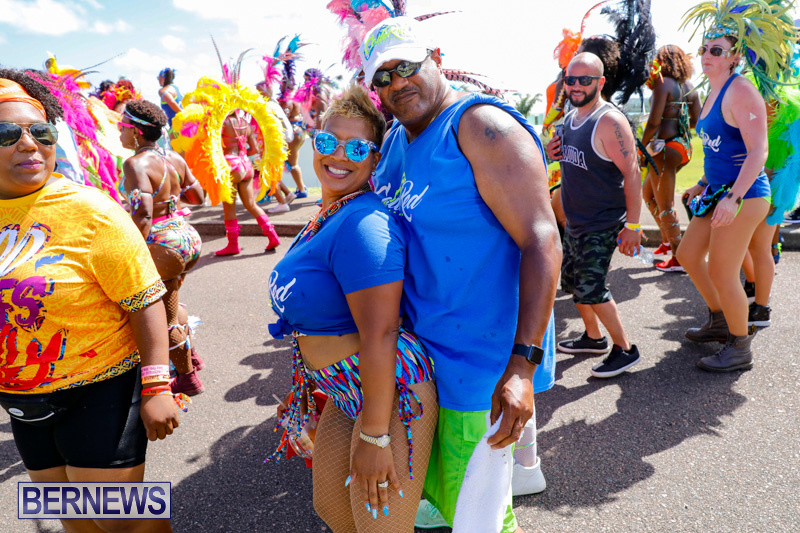 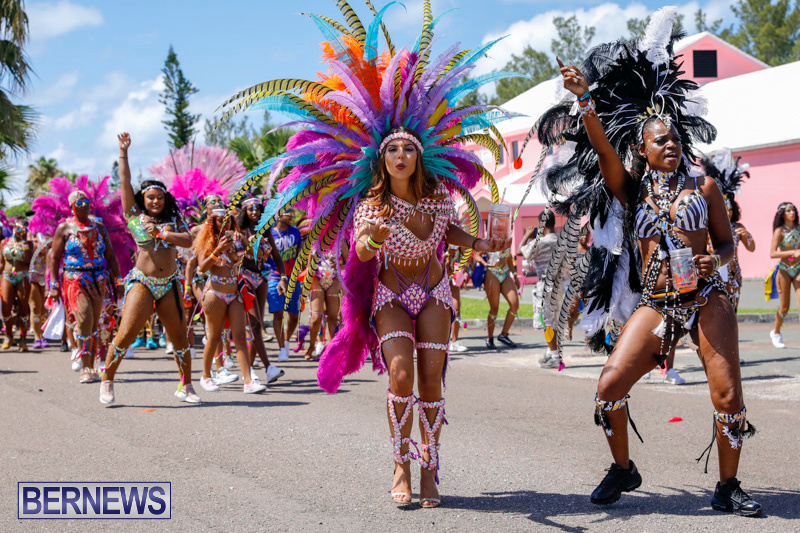 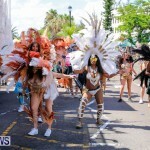 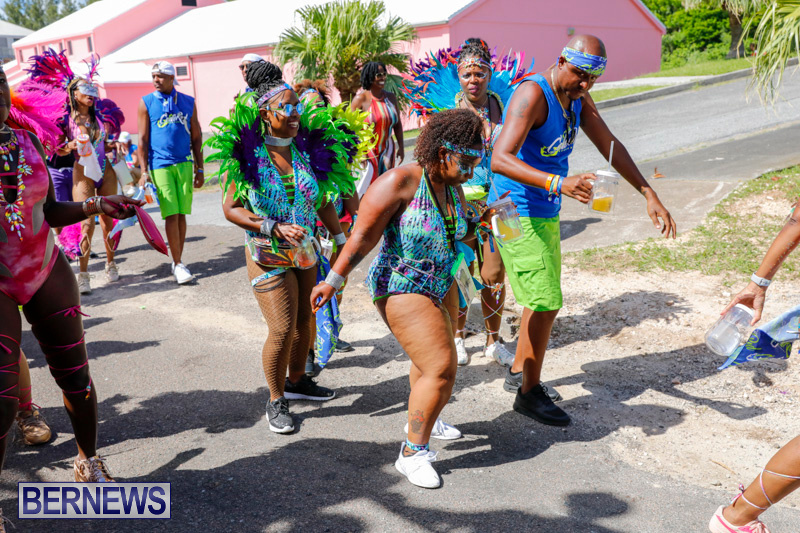 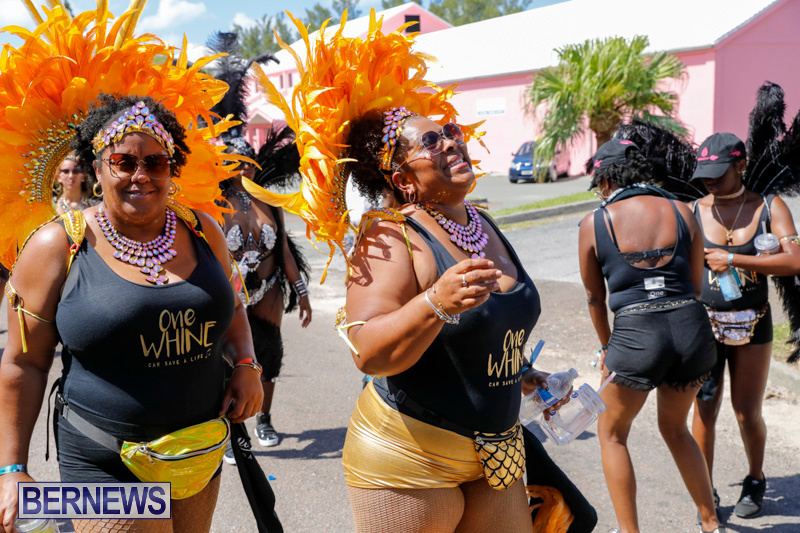 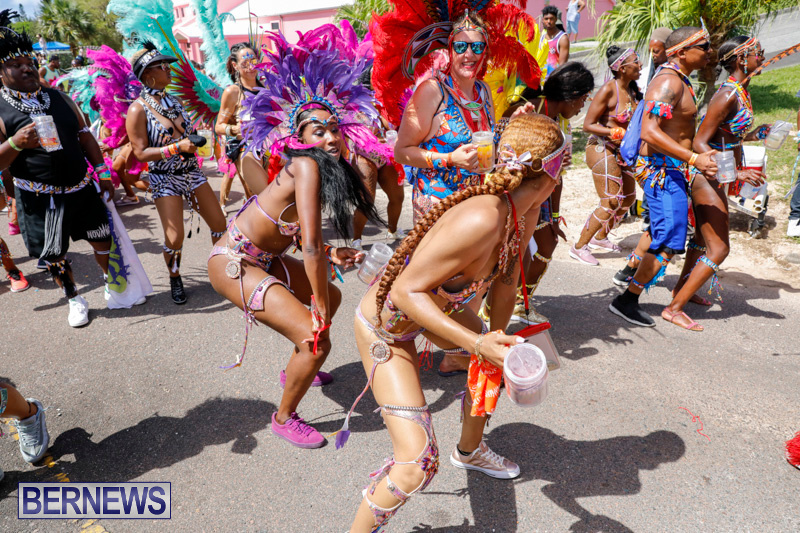 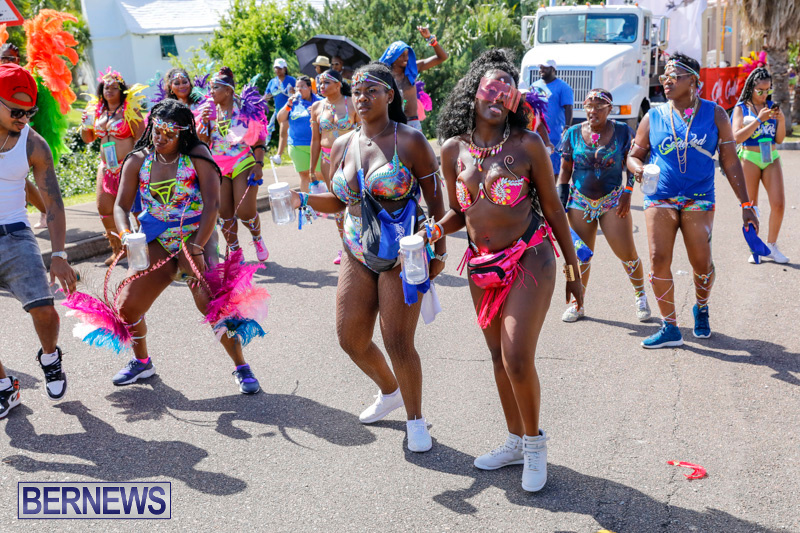 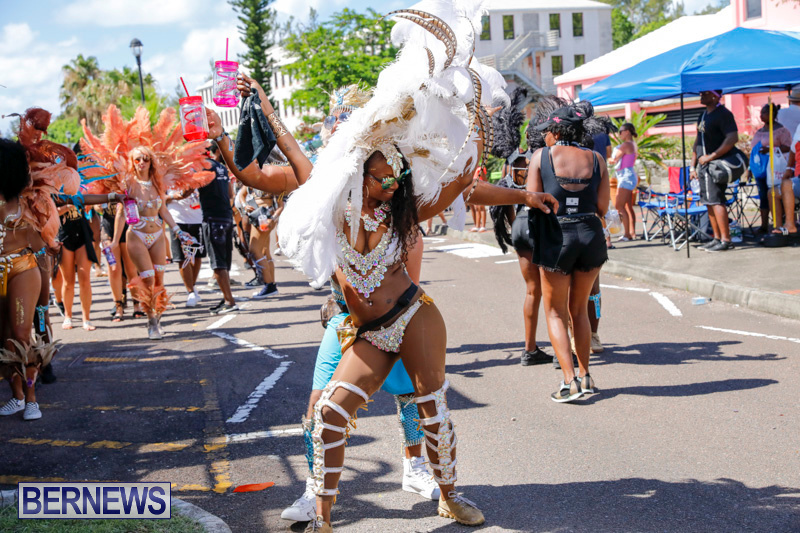 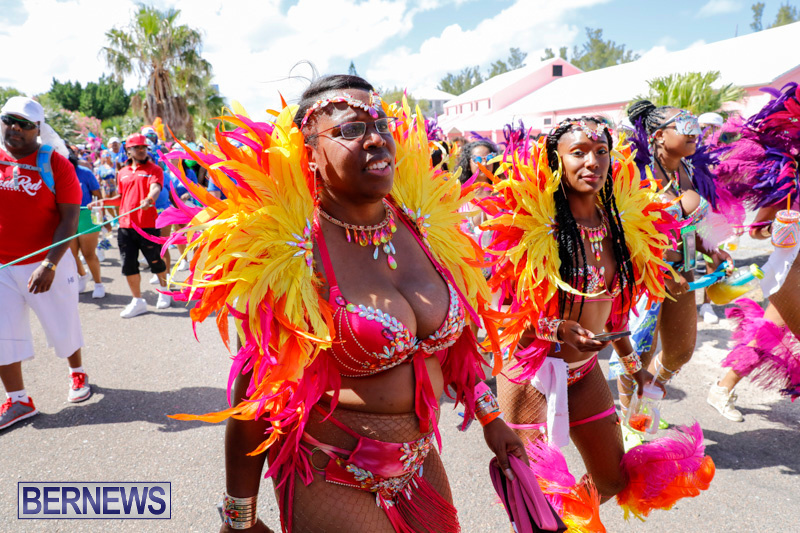 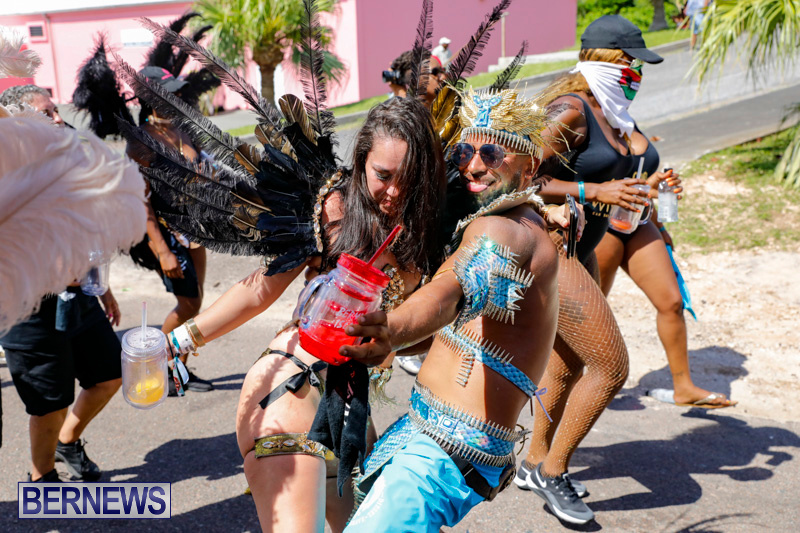 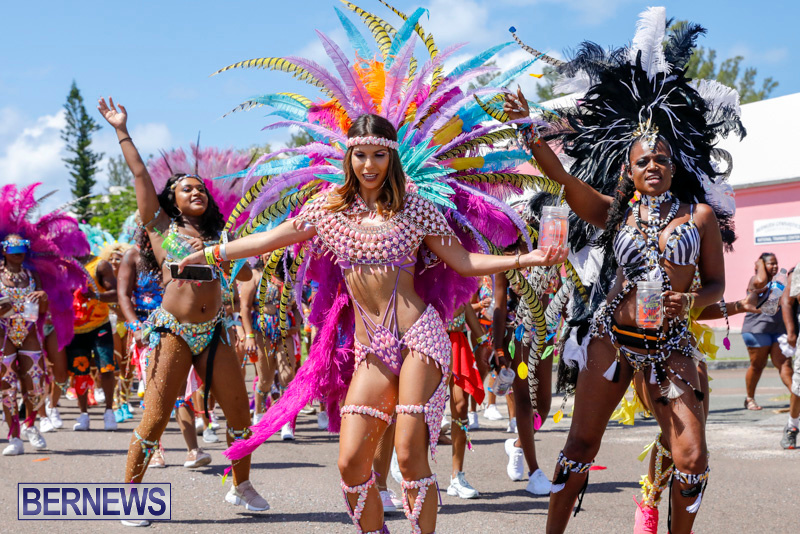 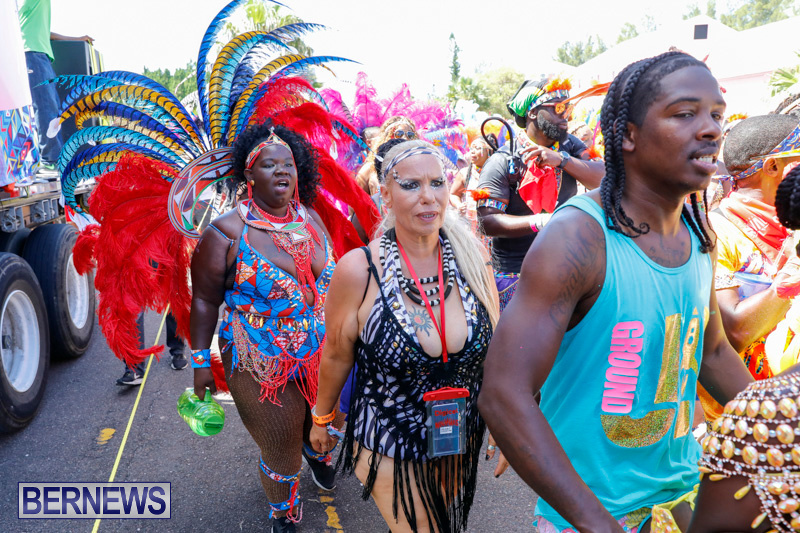 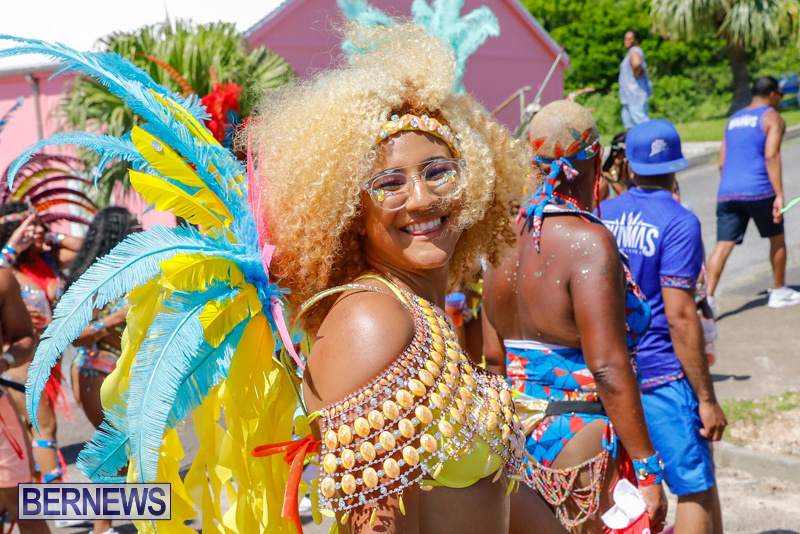 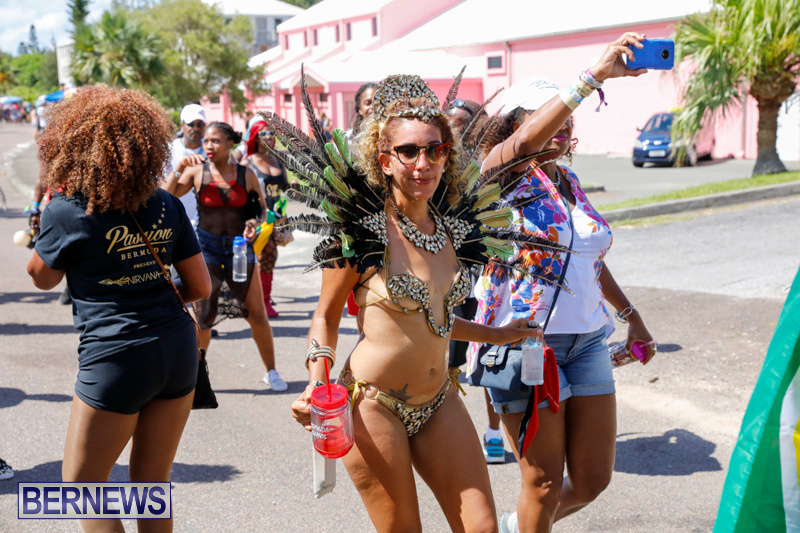 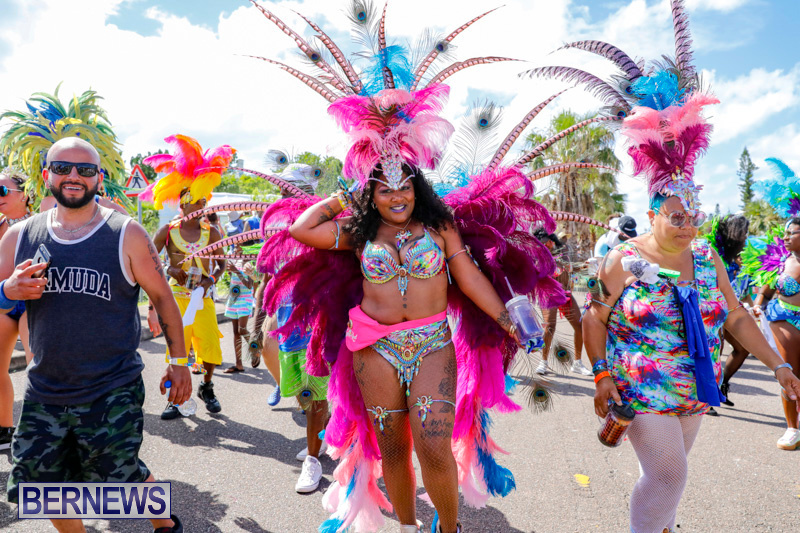 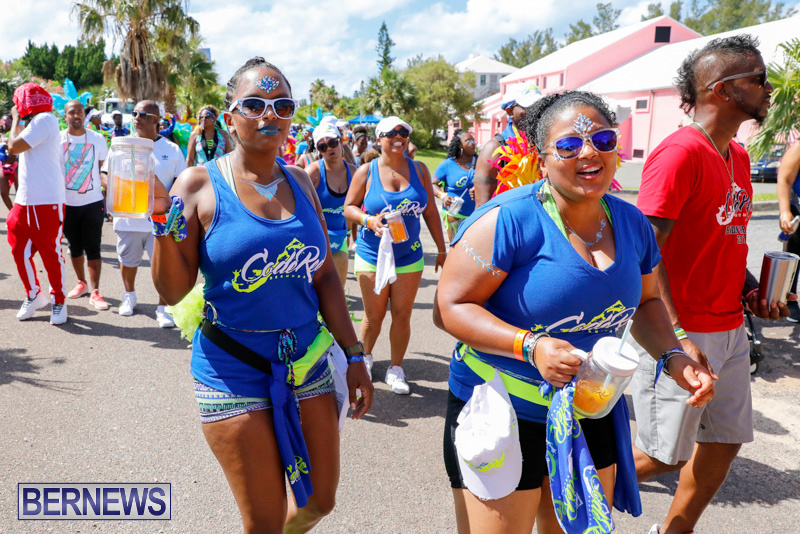 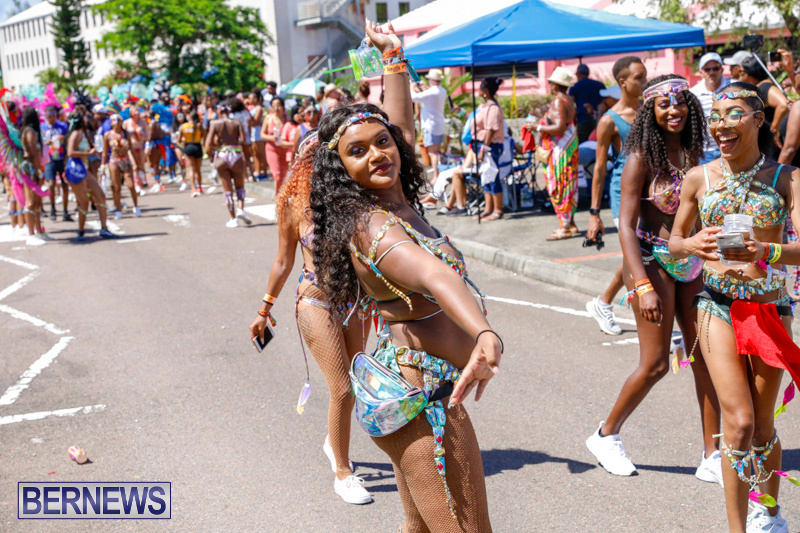 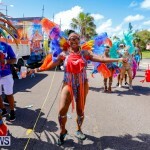 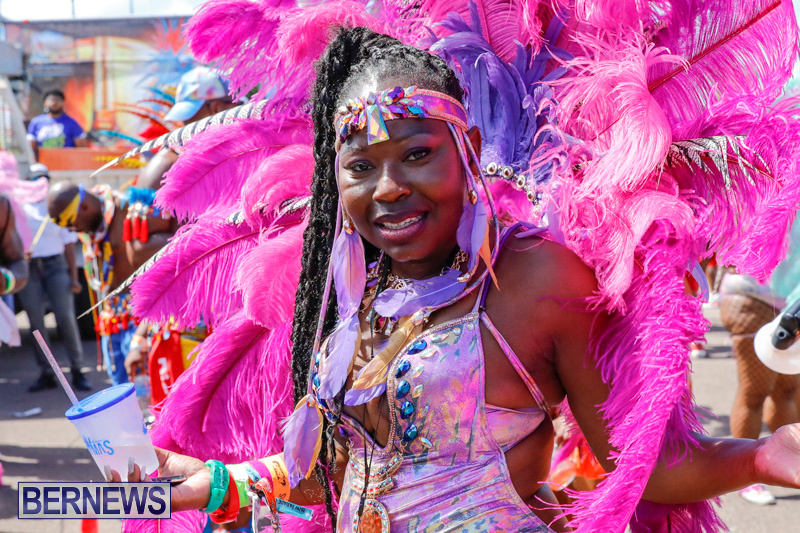 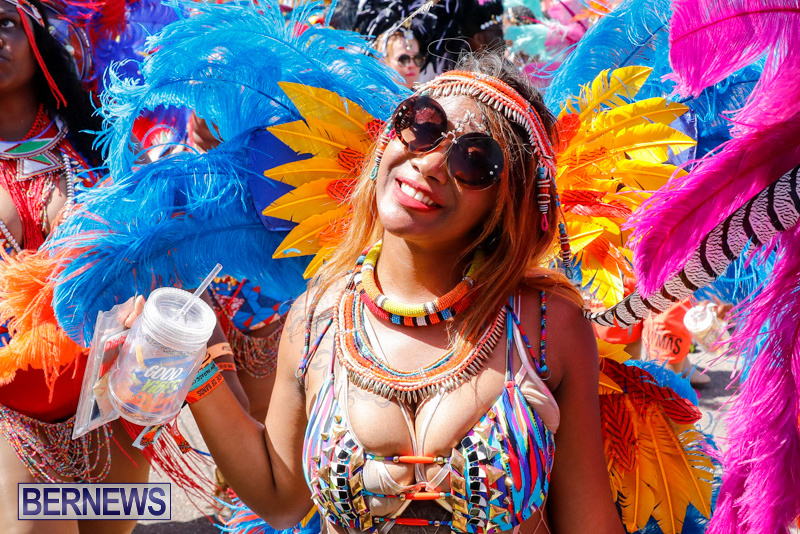 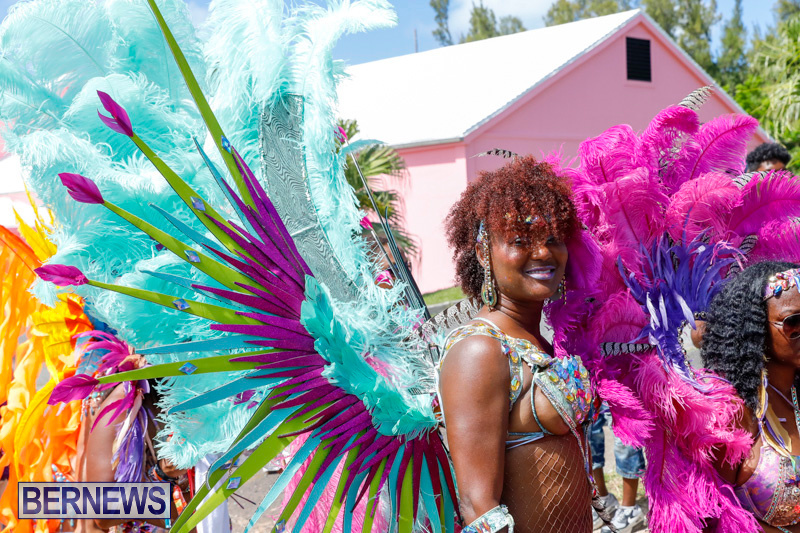 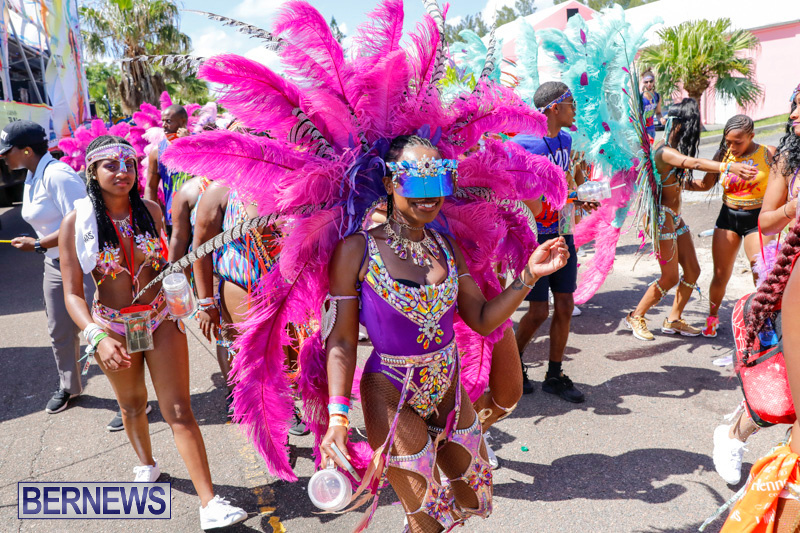 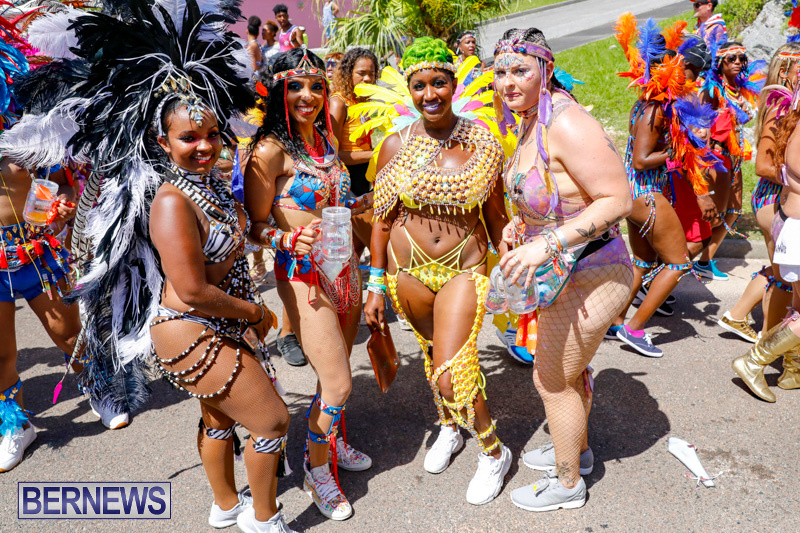 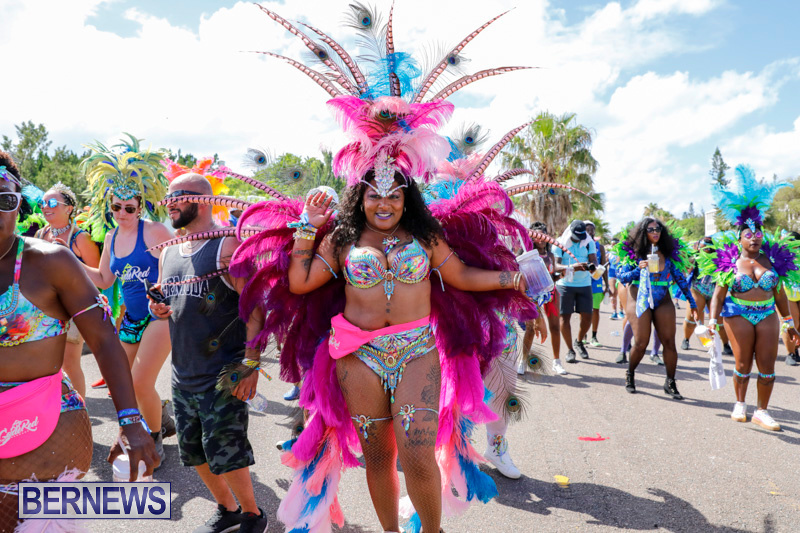 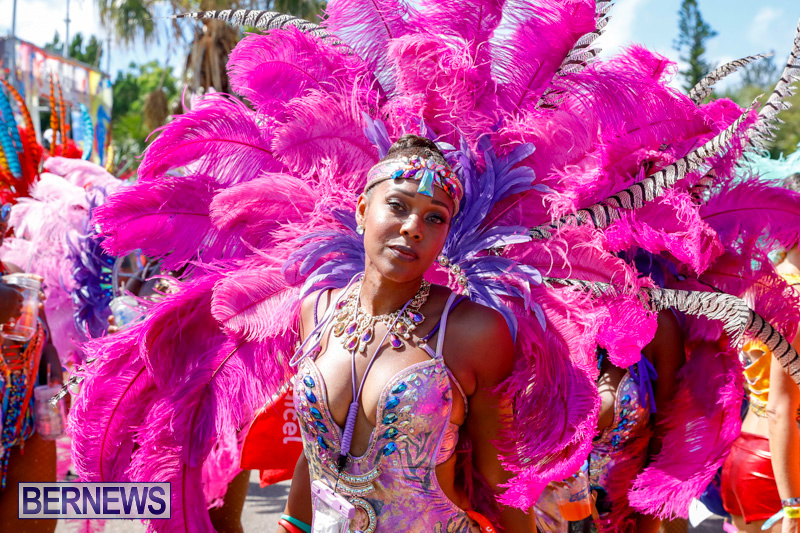 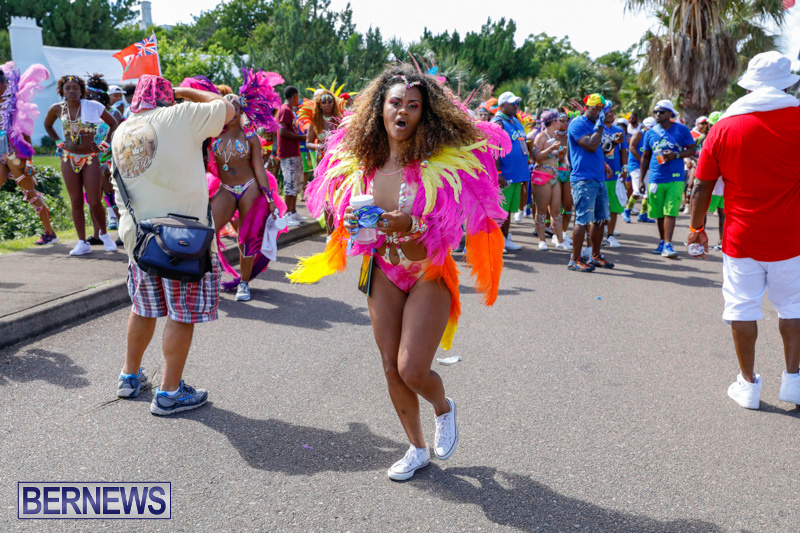 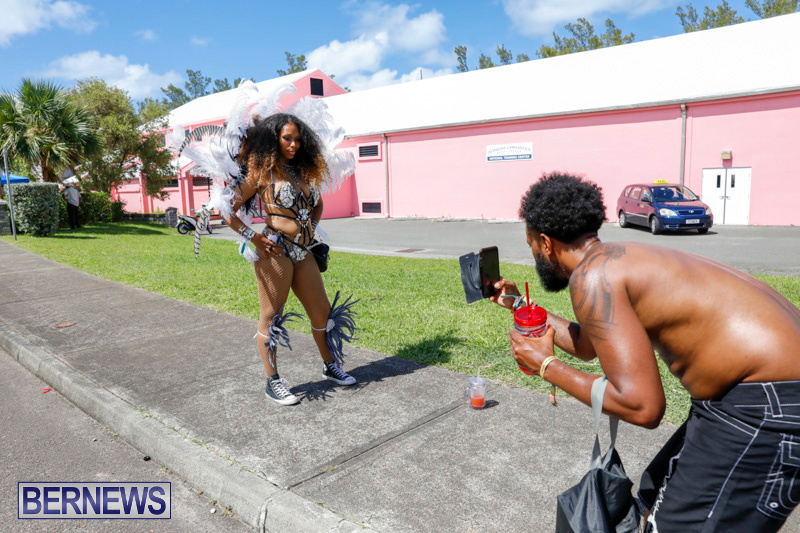 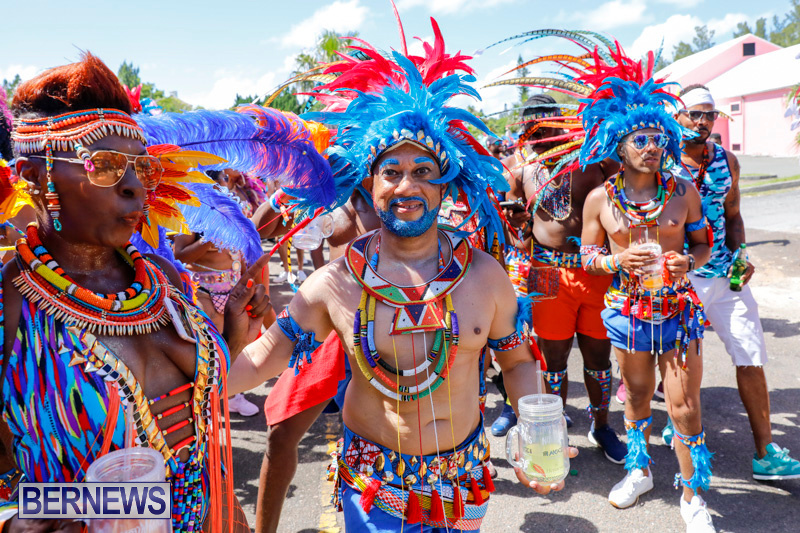 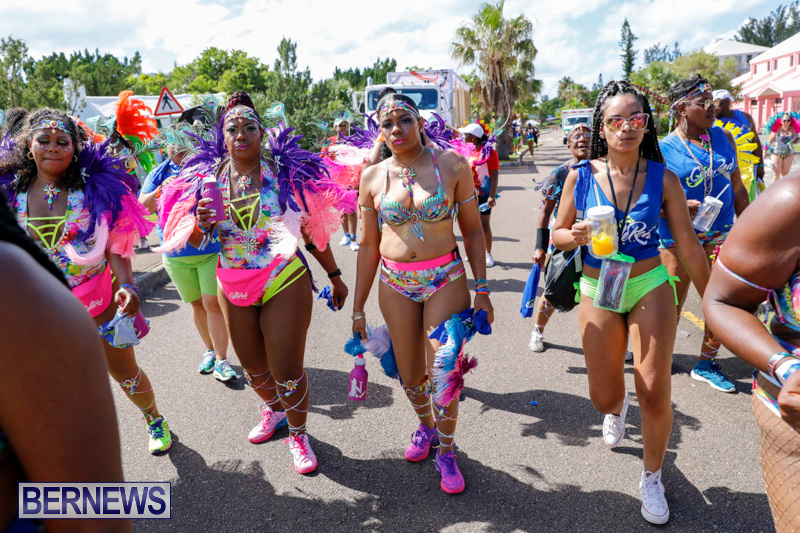 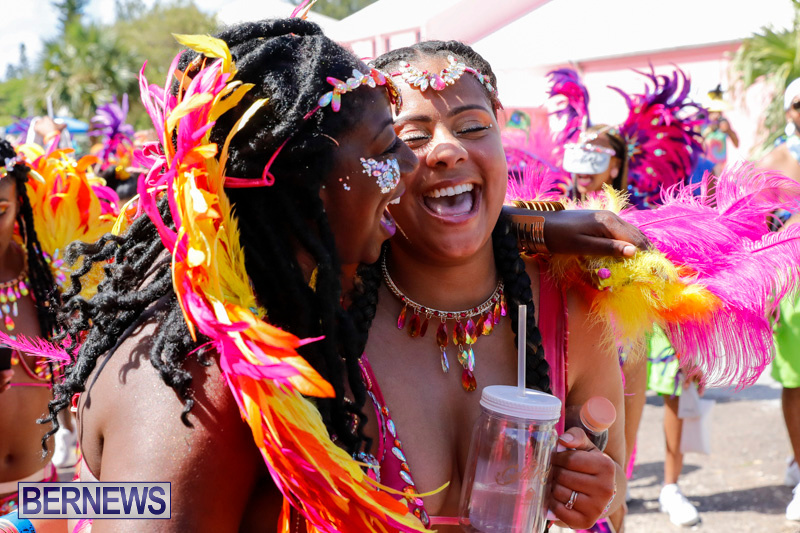 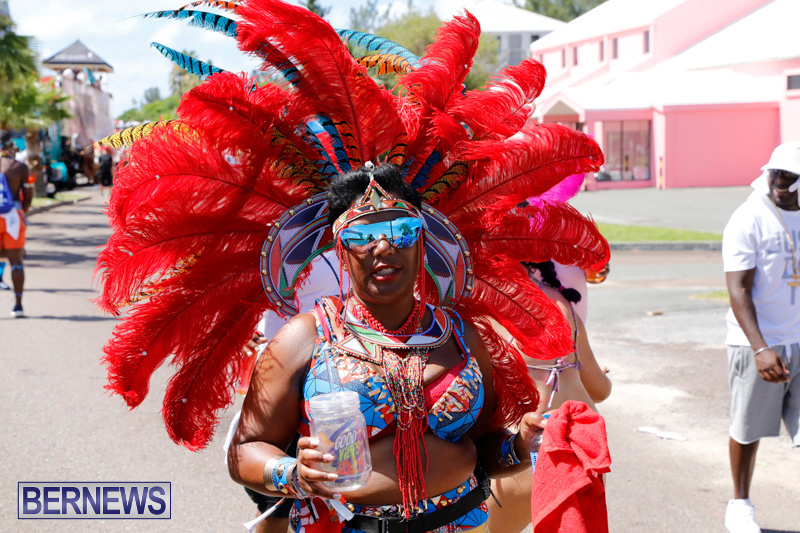 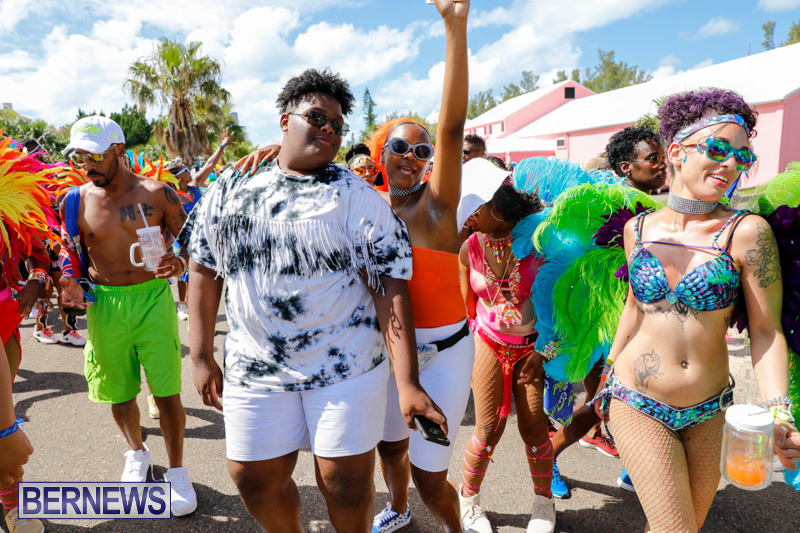 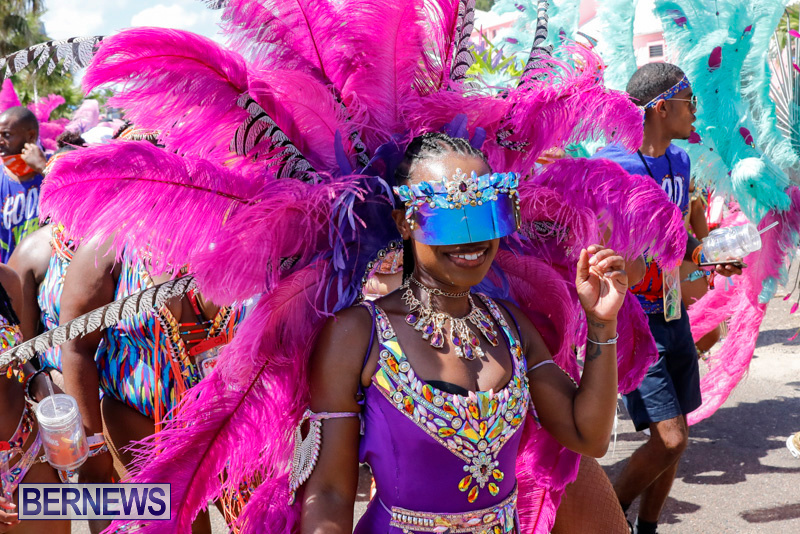 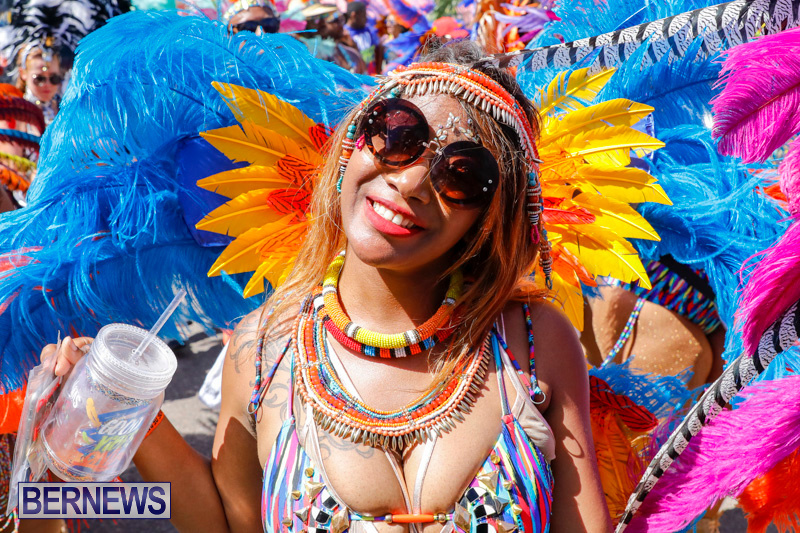 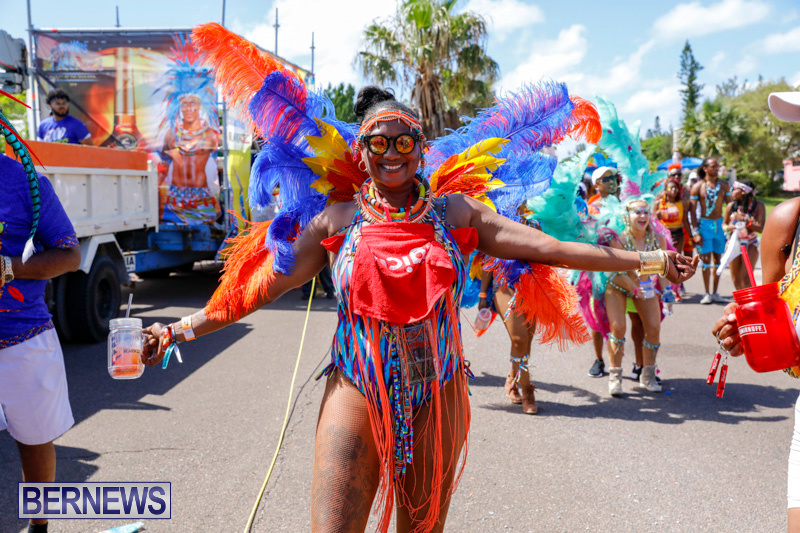 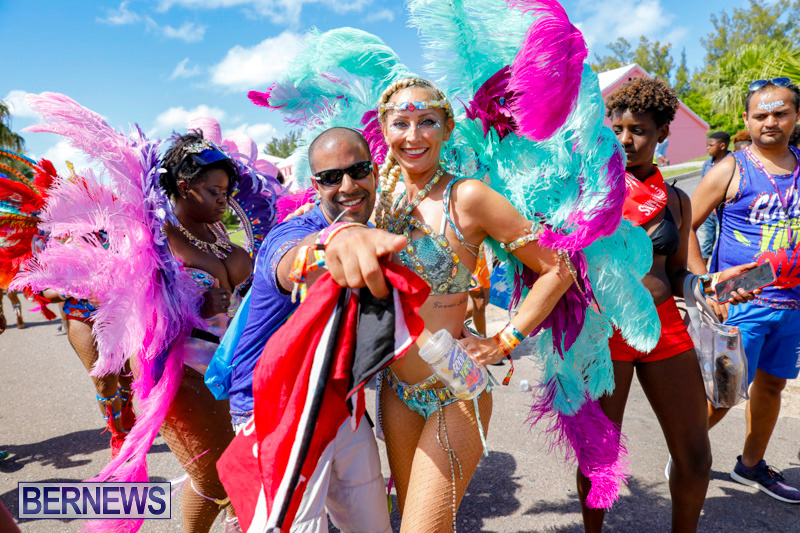 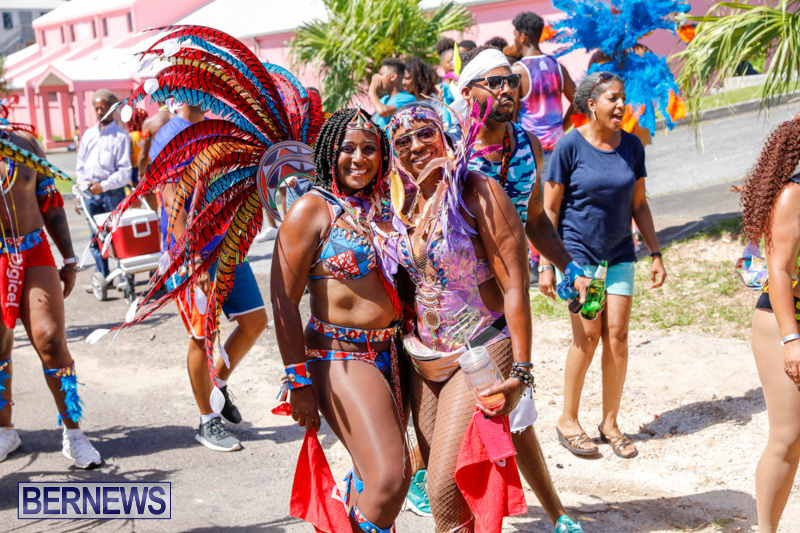 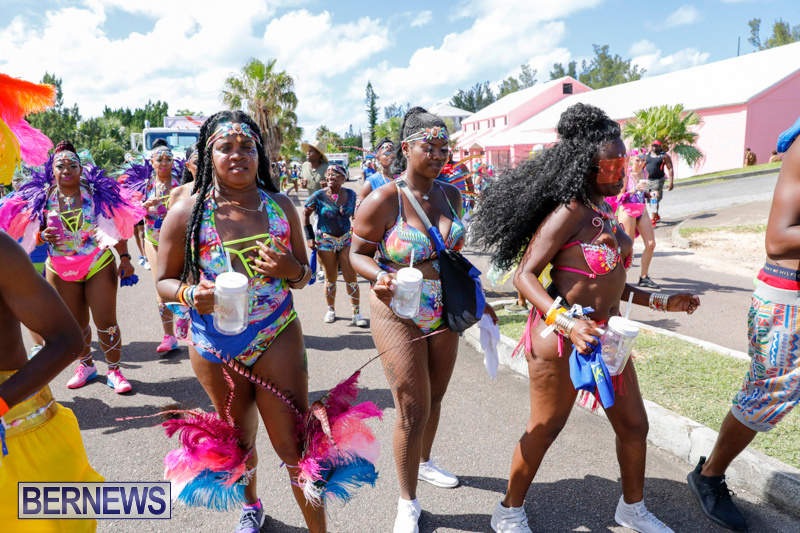 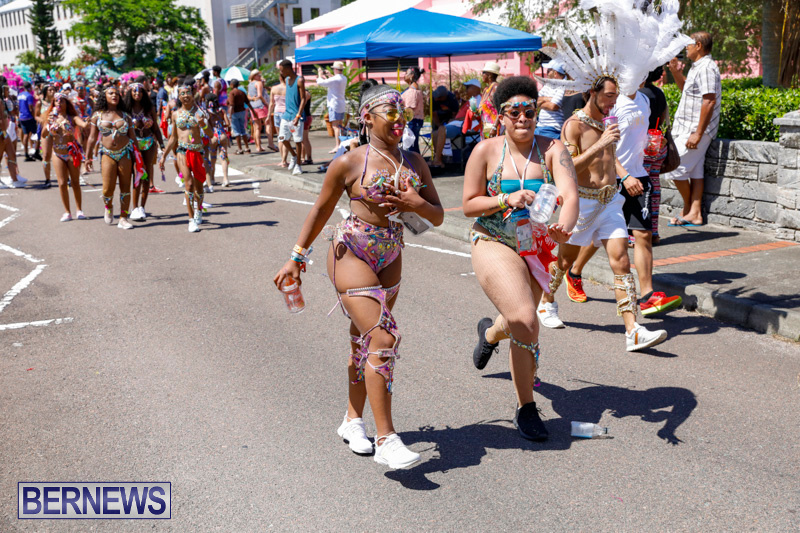 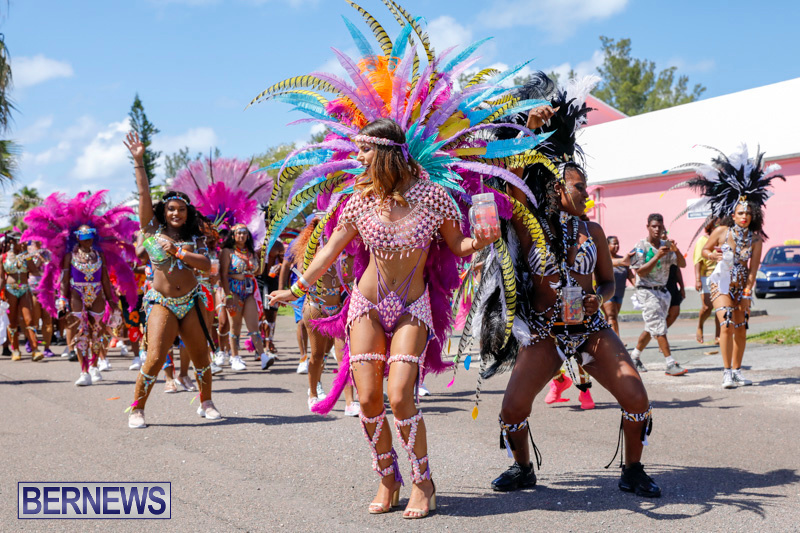 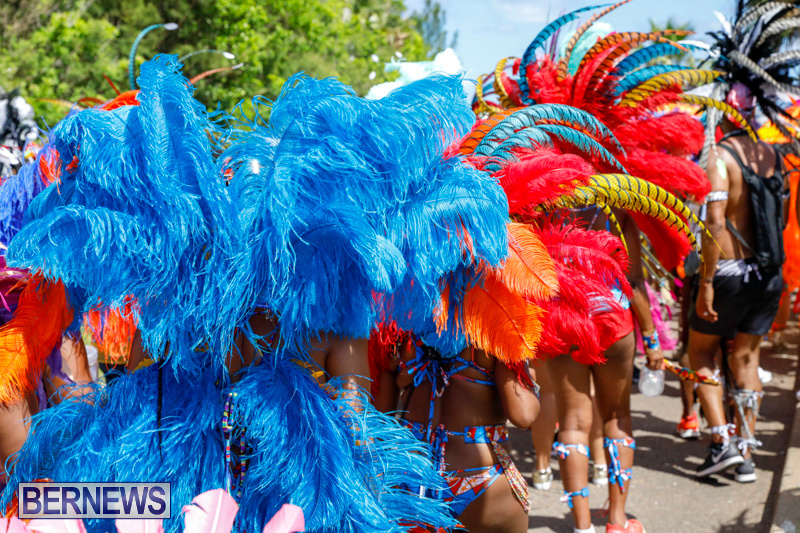 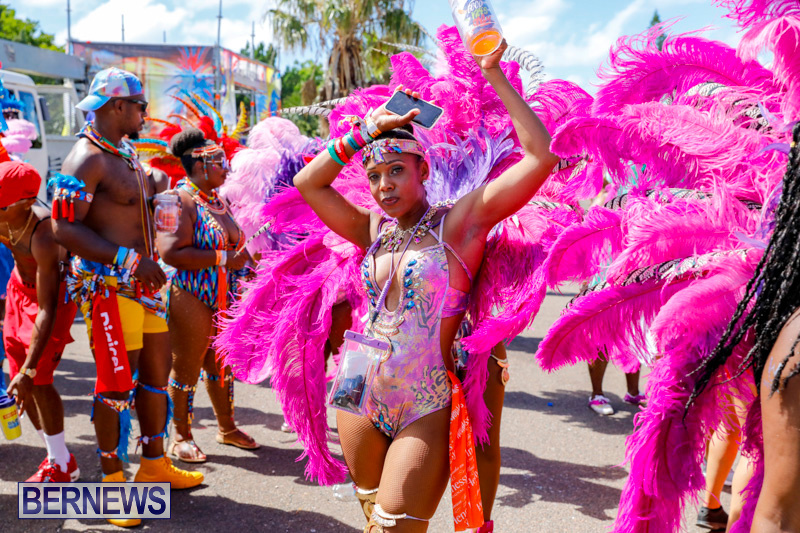 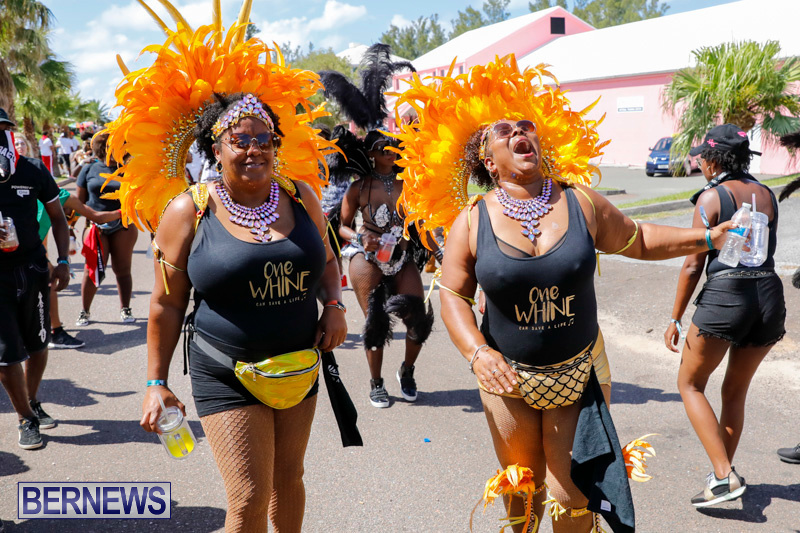 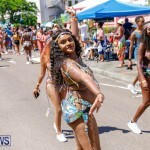 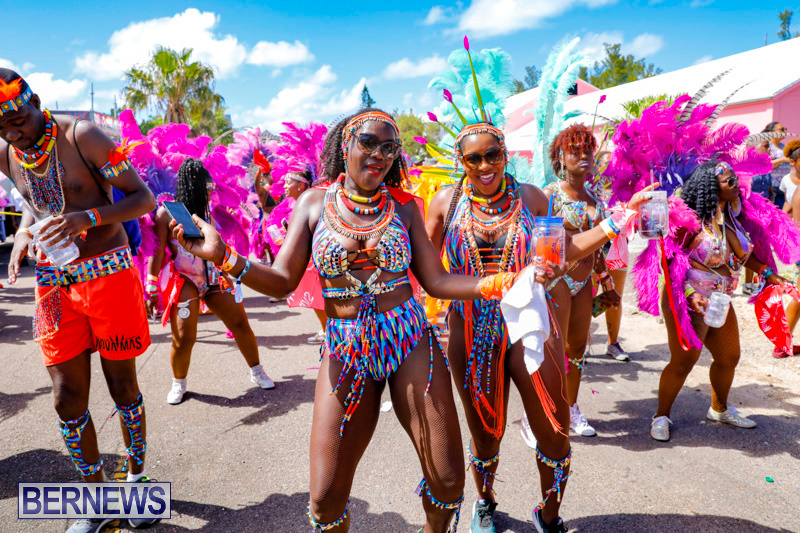 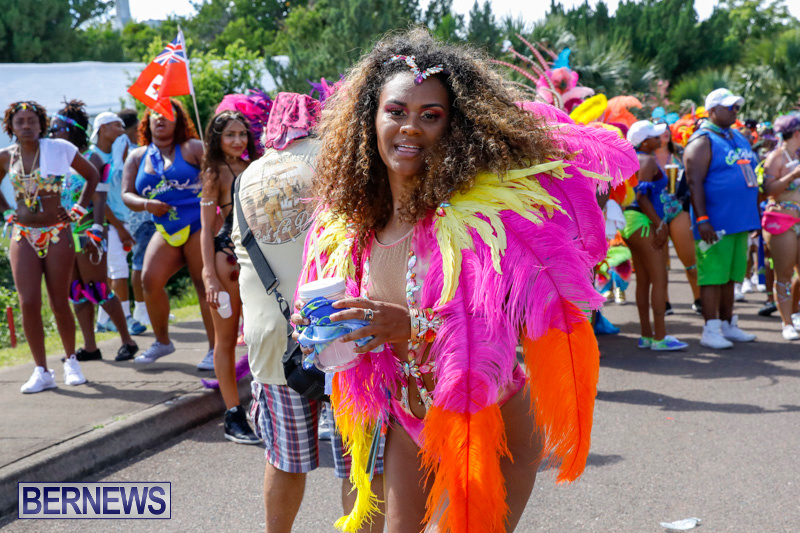 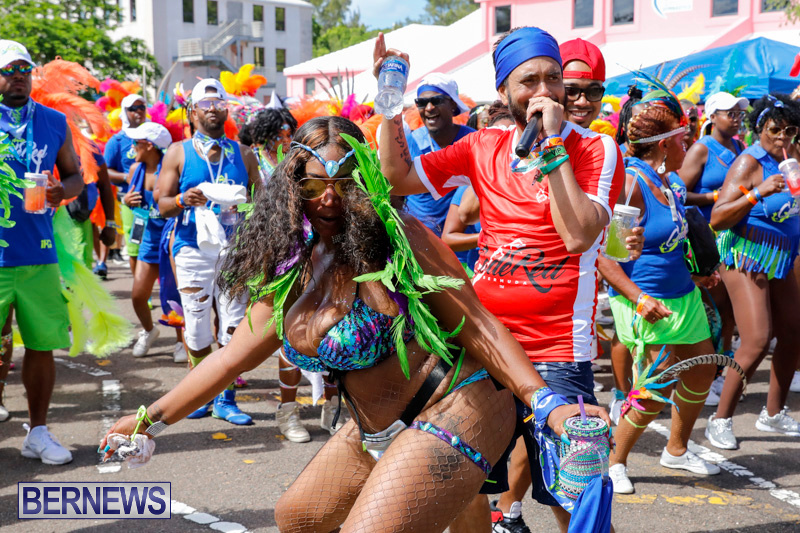 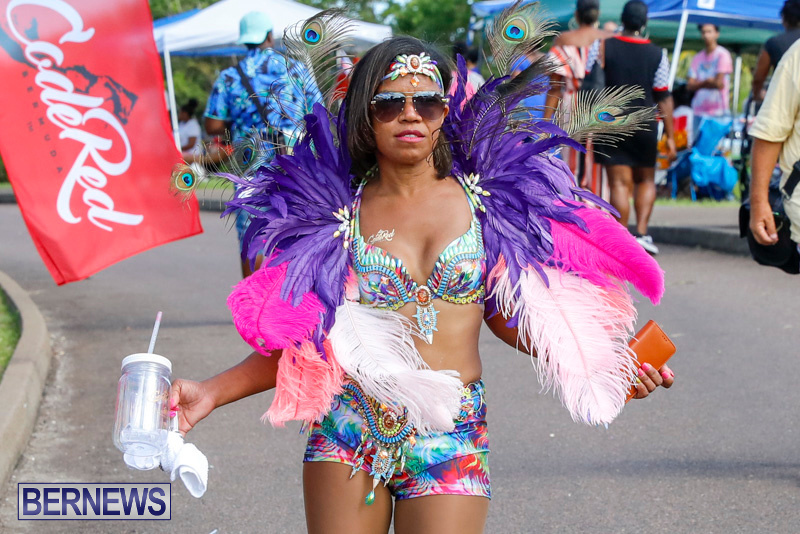 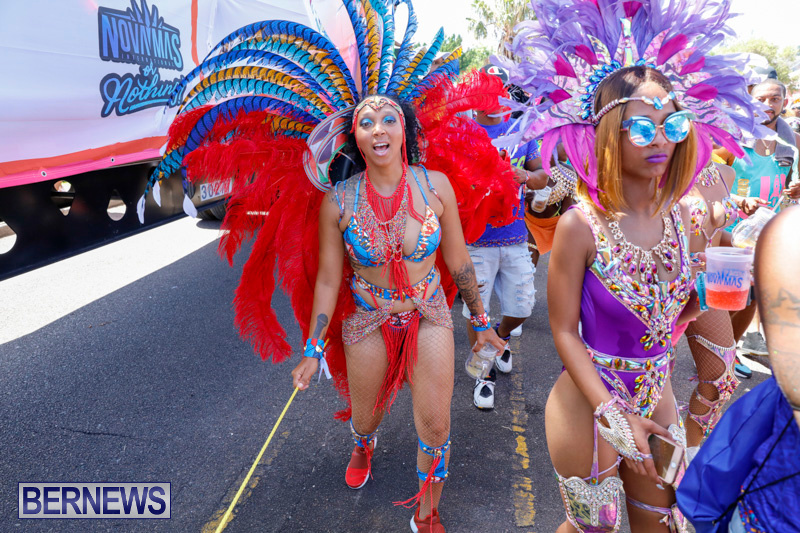 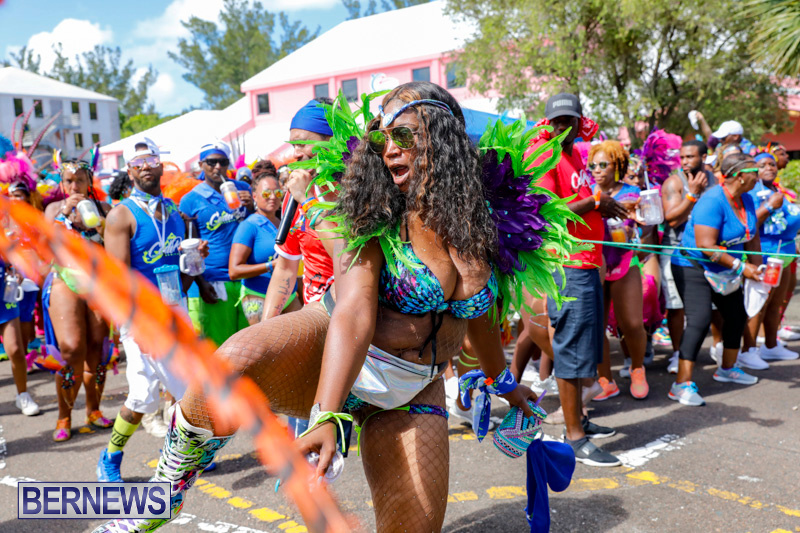 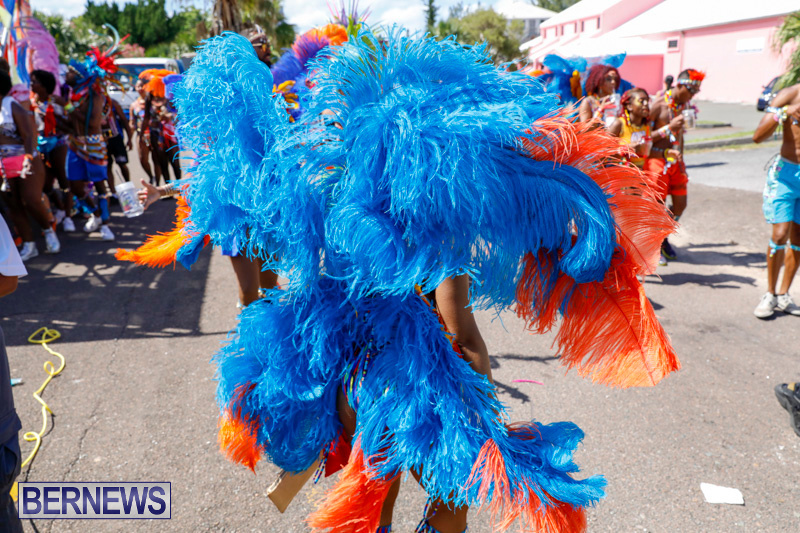 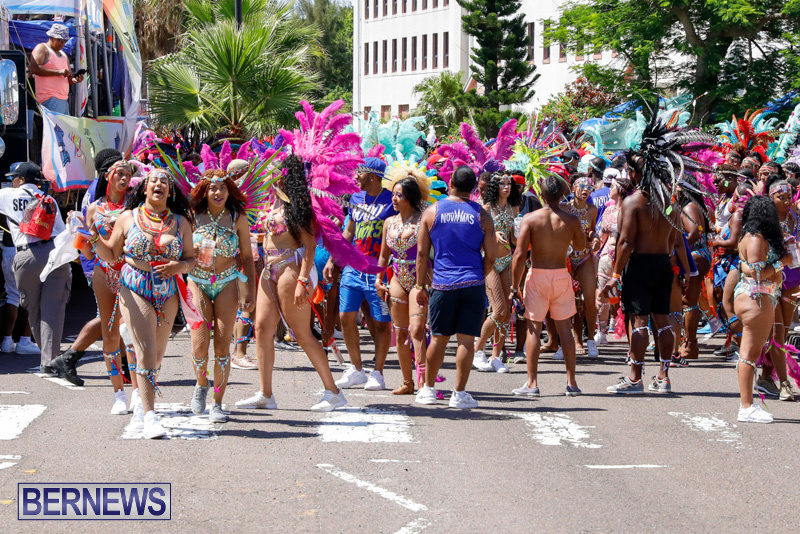 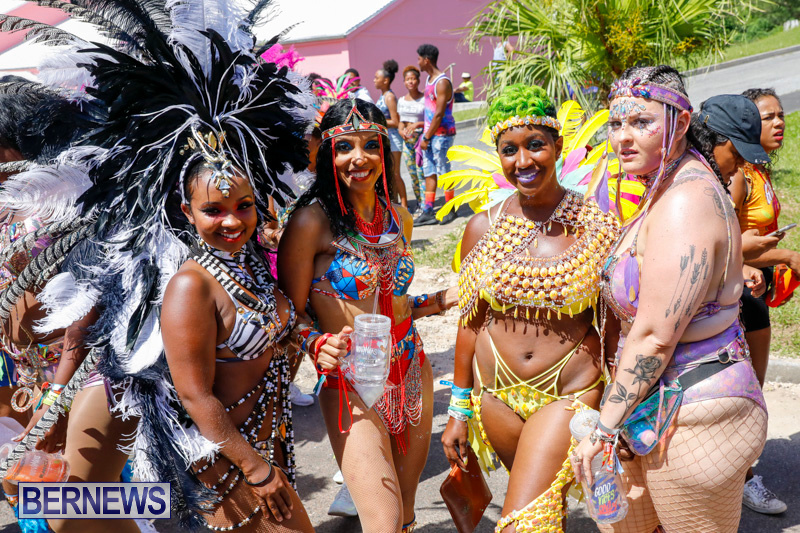 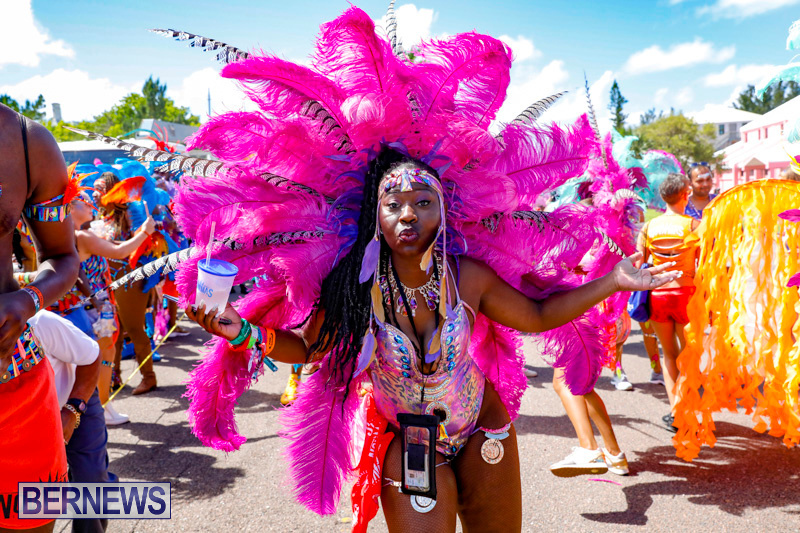 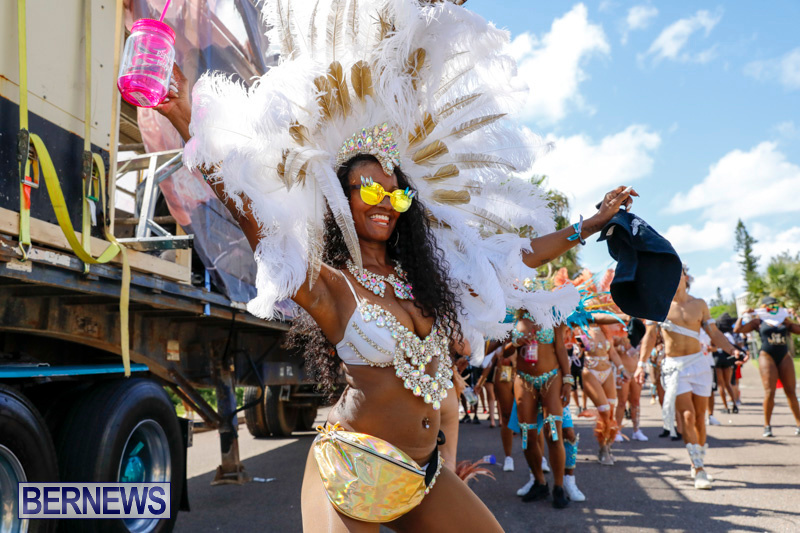 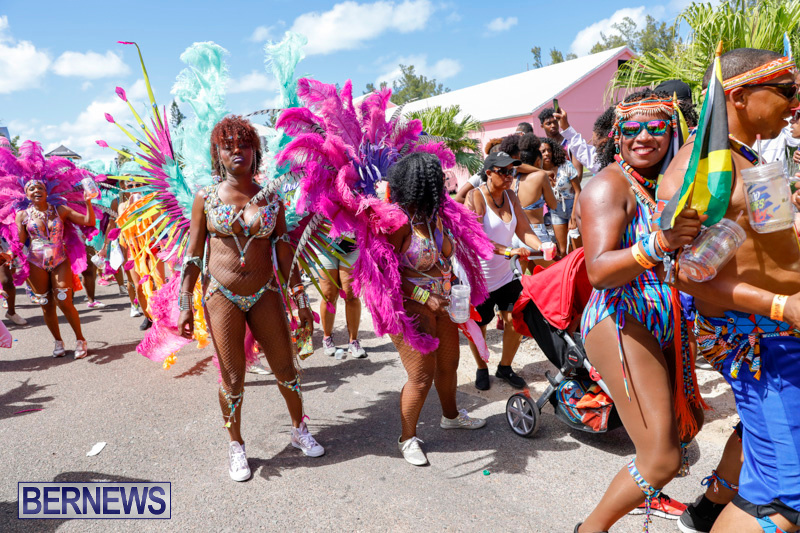 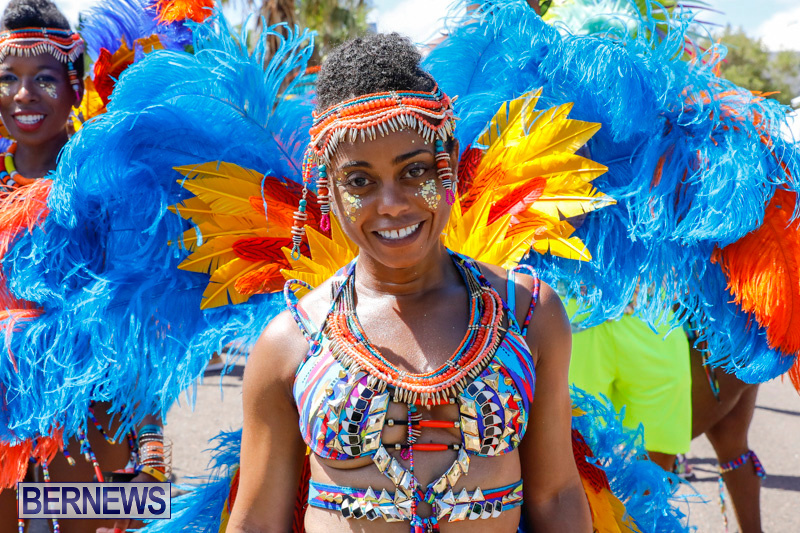 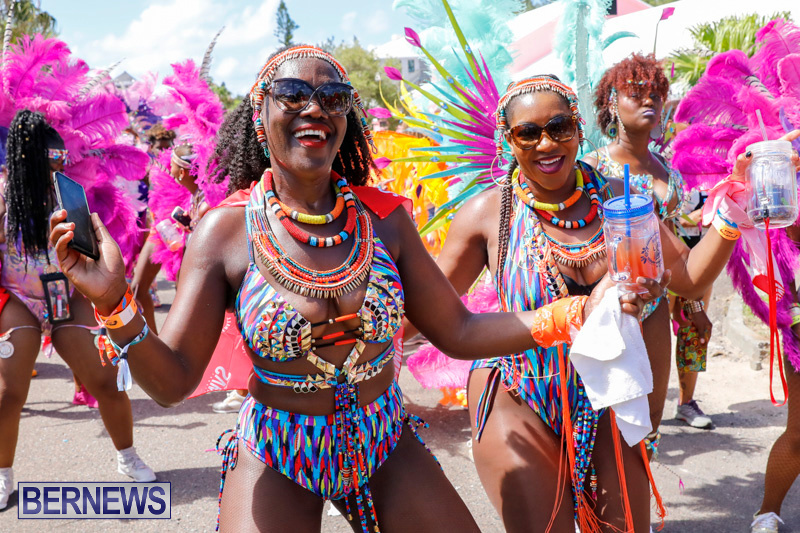 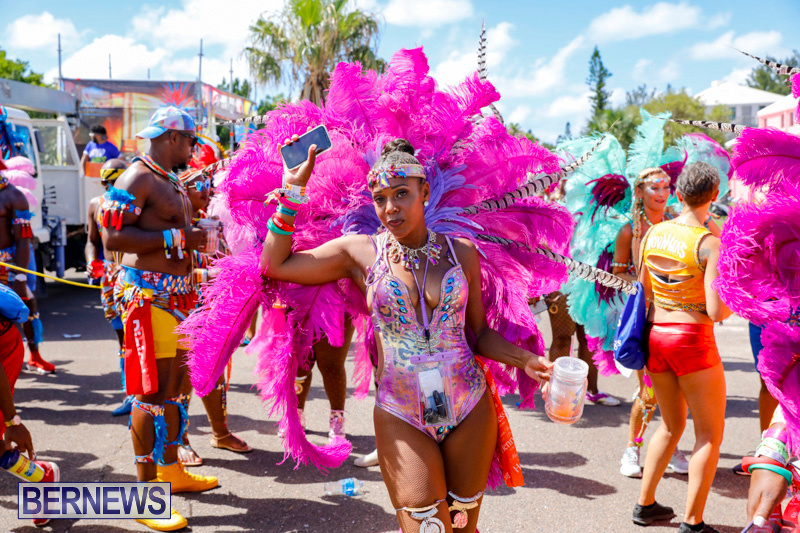 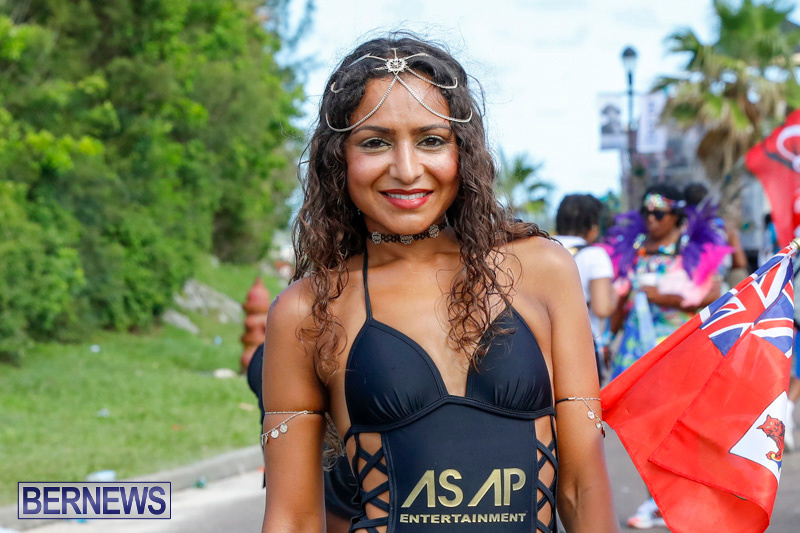 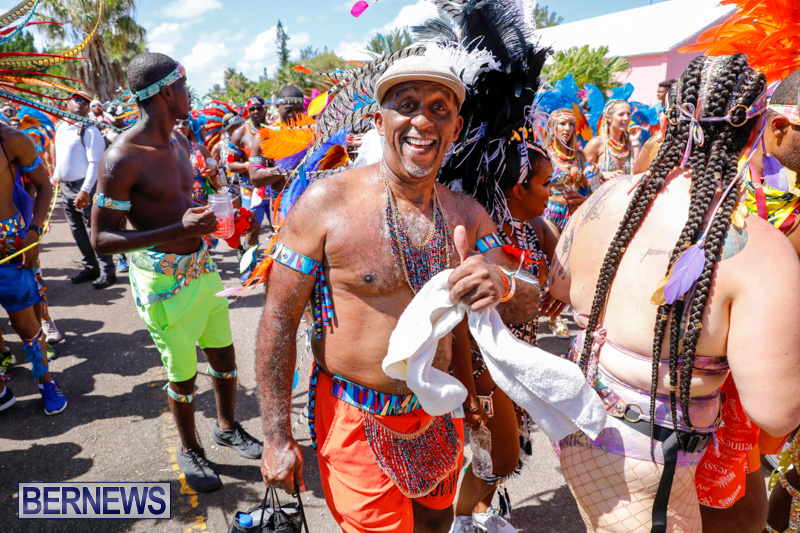 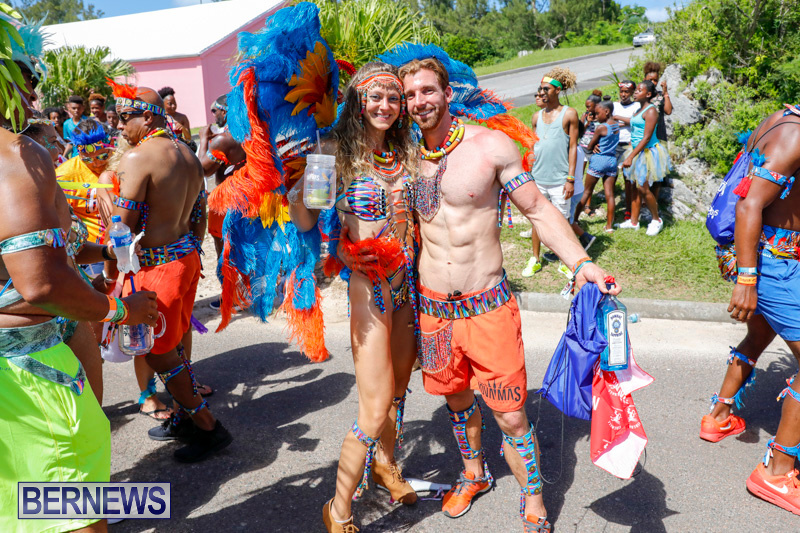 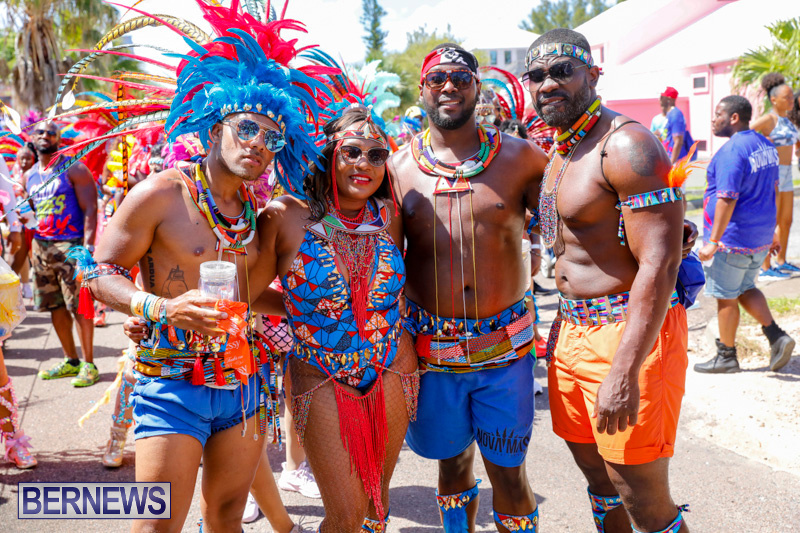 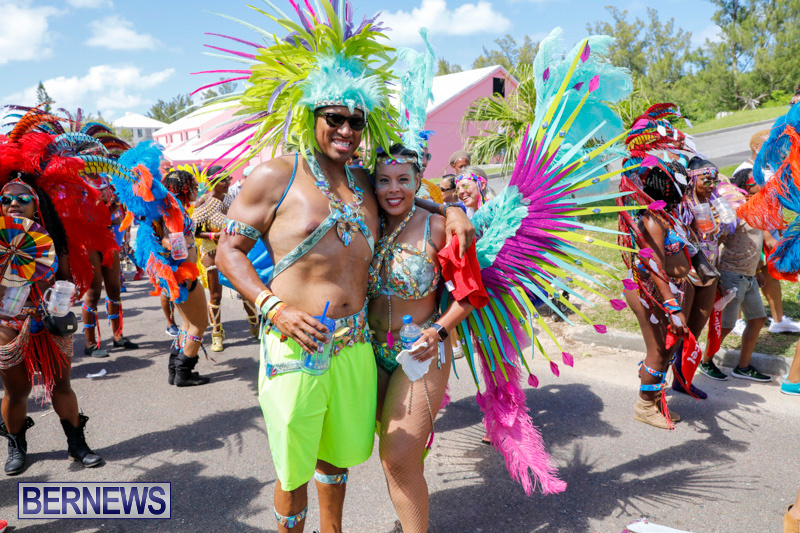 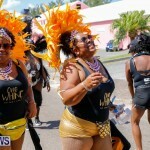 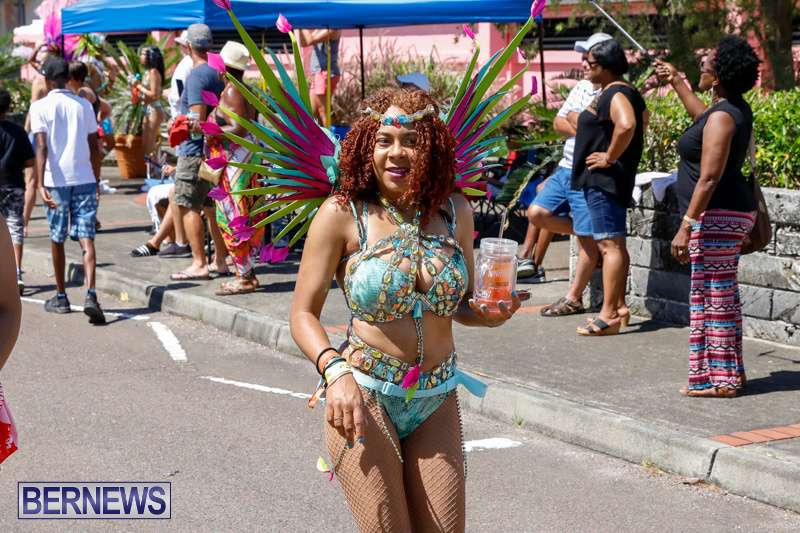 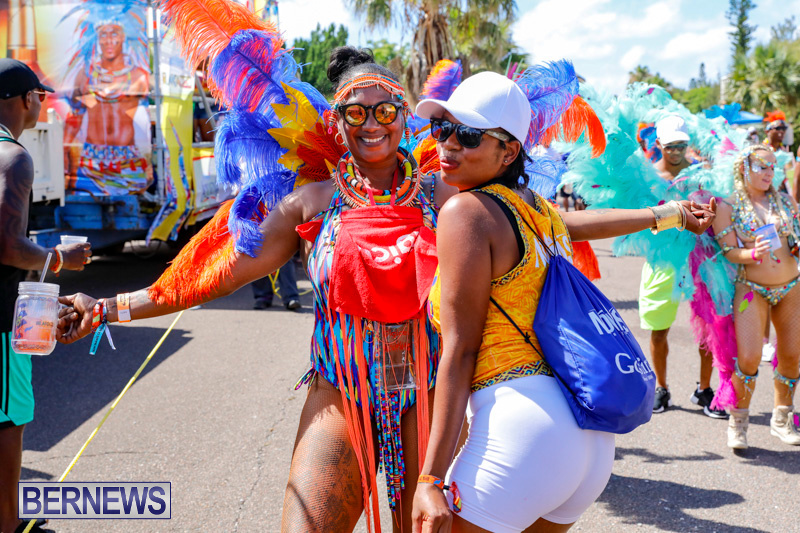 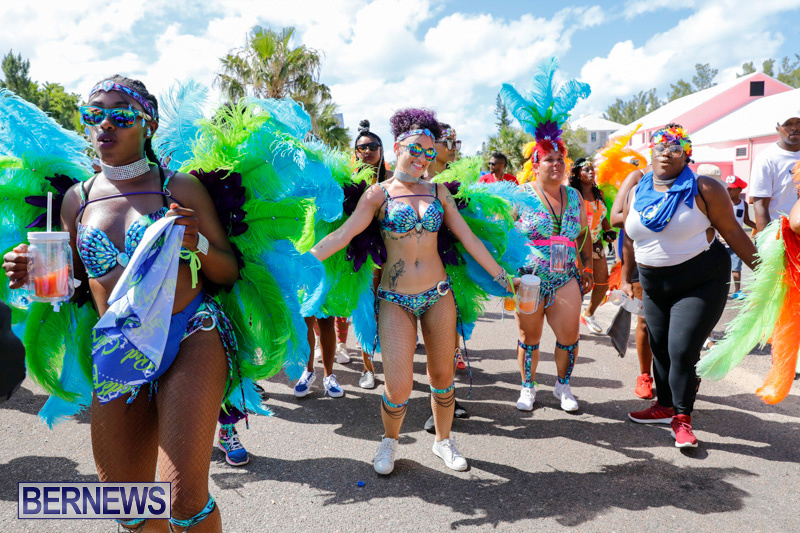 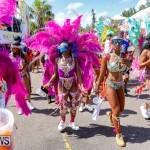 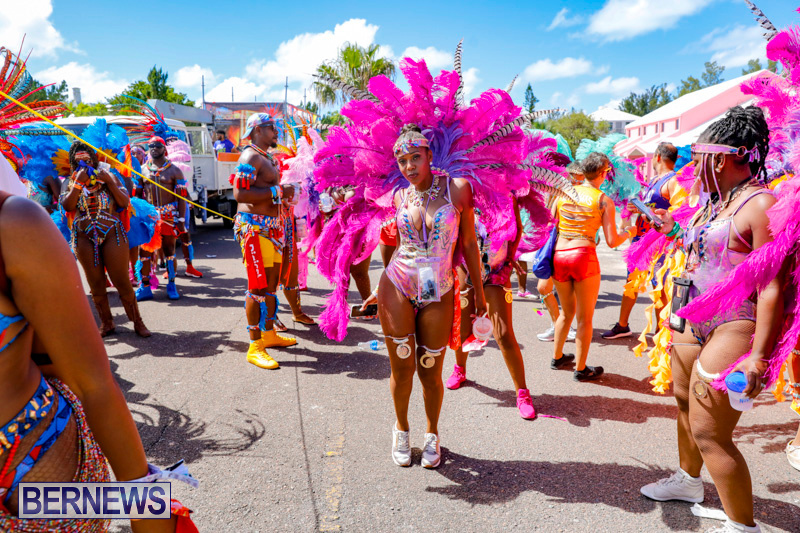 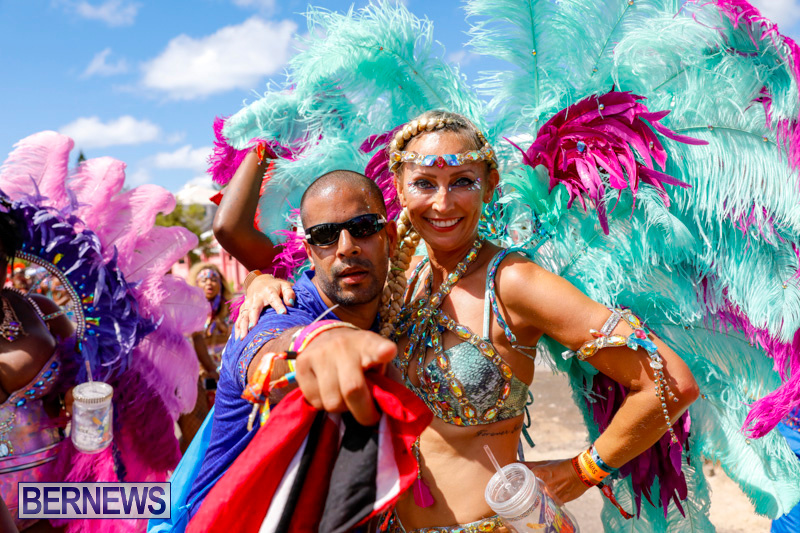 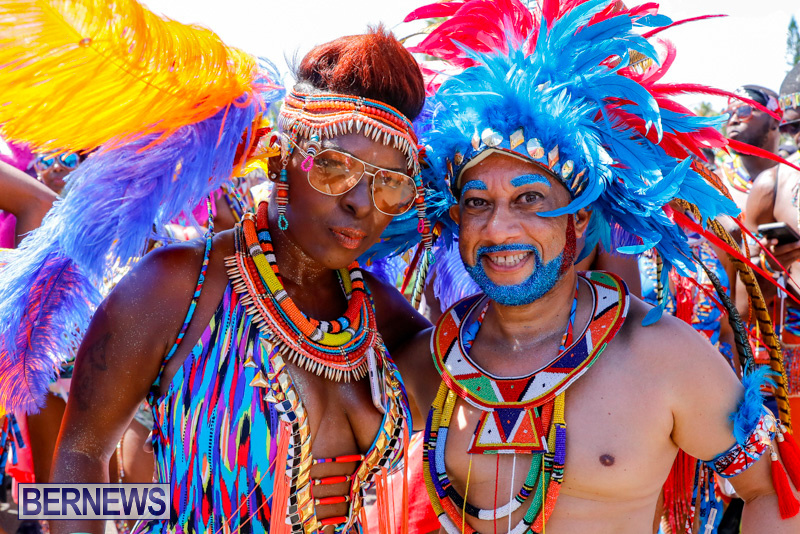 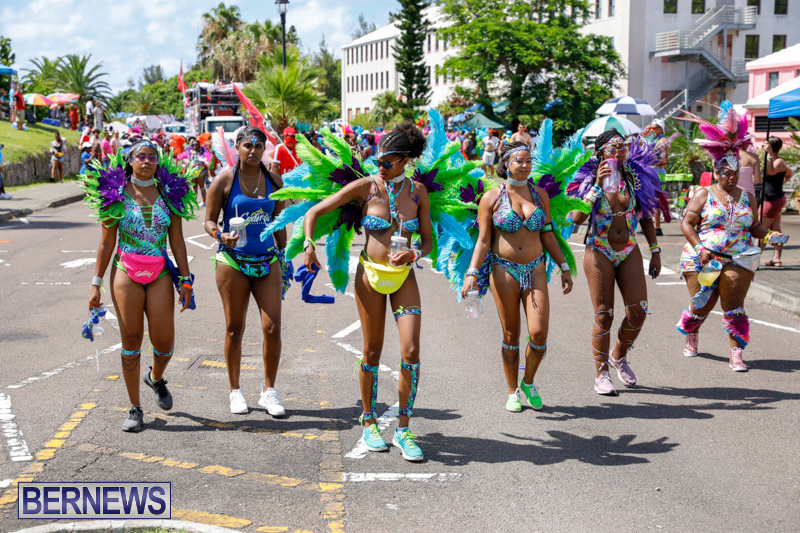 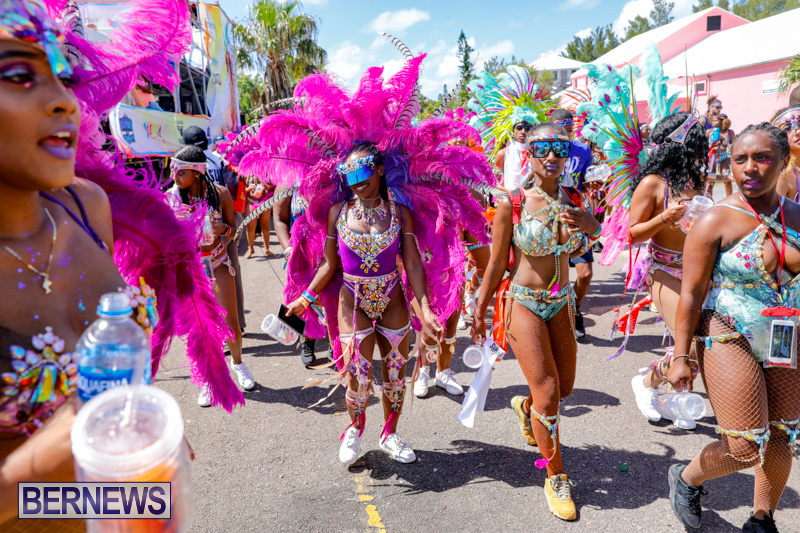 Bright coloured outfits, music and dancing were the order for the day as thousands of people made their way to the east end on Monday [June 18] to attend the Bermuda Heroes Weekend Parade of Bands at Southside. 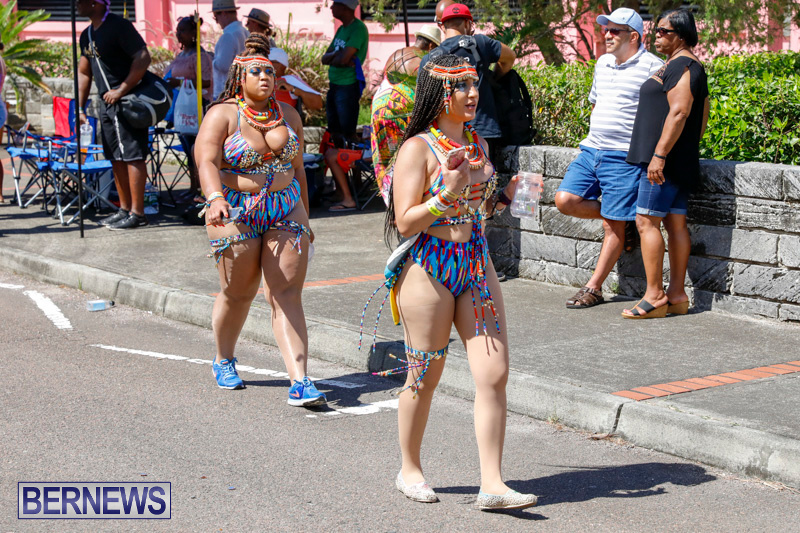 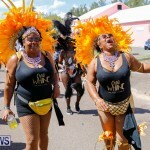 The streets of Southside were lined with canopies and saw spectators flock in high numbers to watch the Parade of Bands revelers. 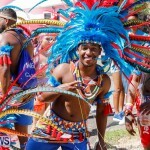 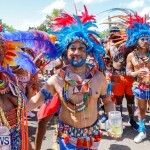 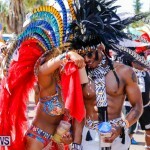 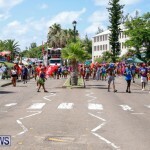 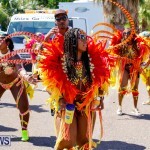 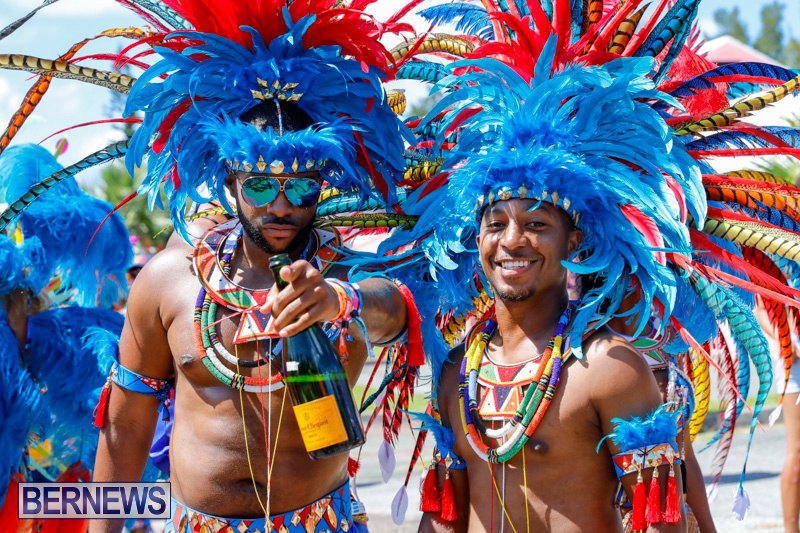 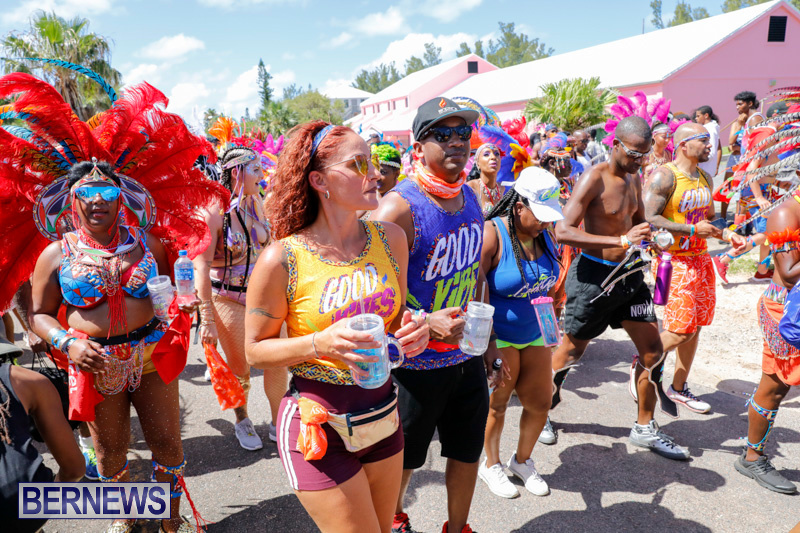 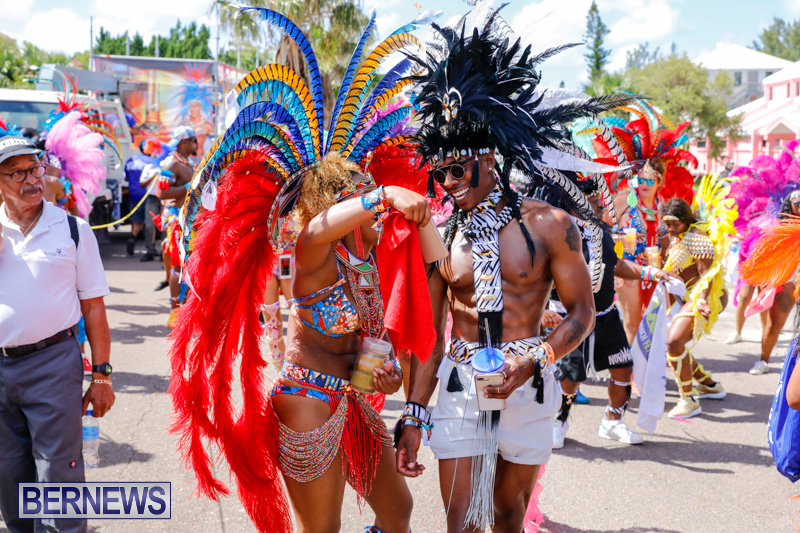 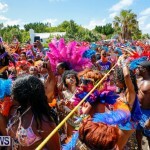 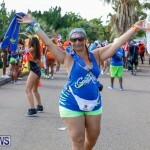 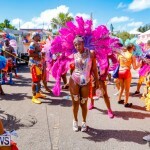 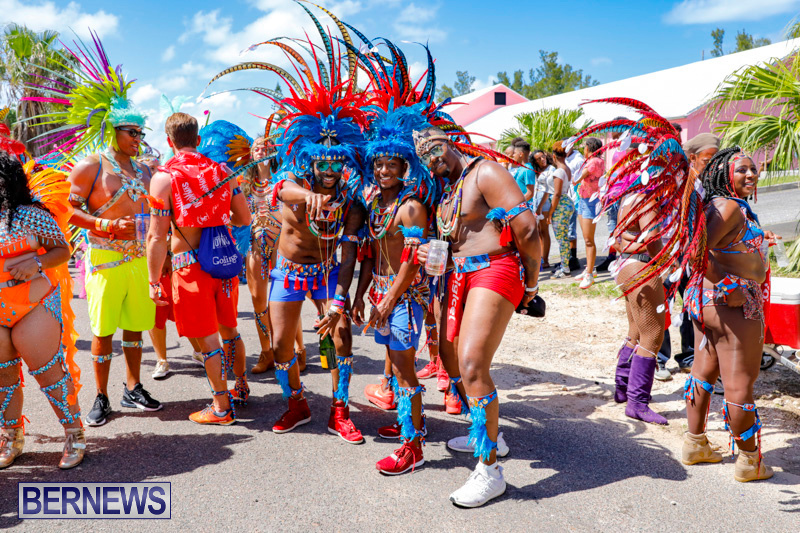 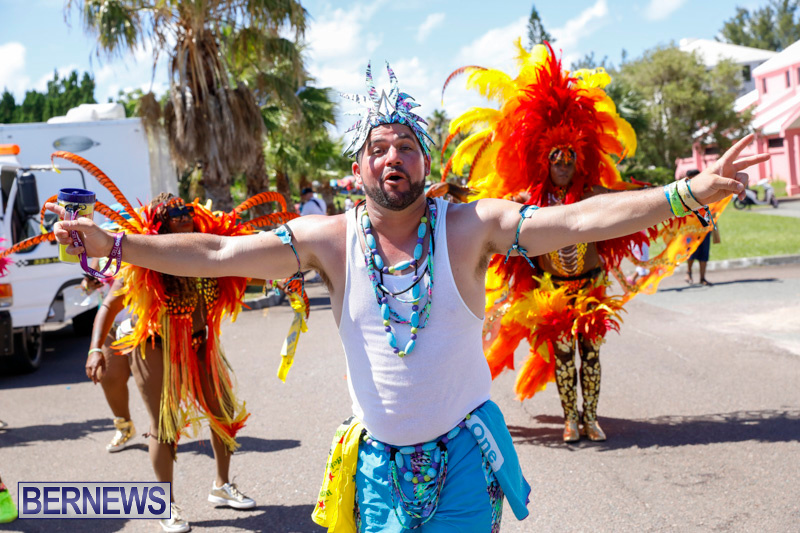 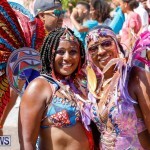 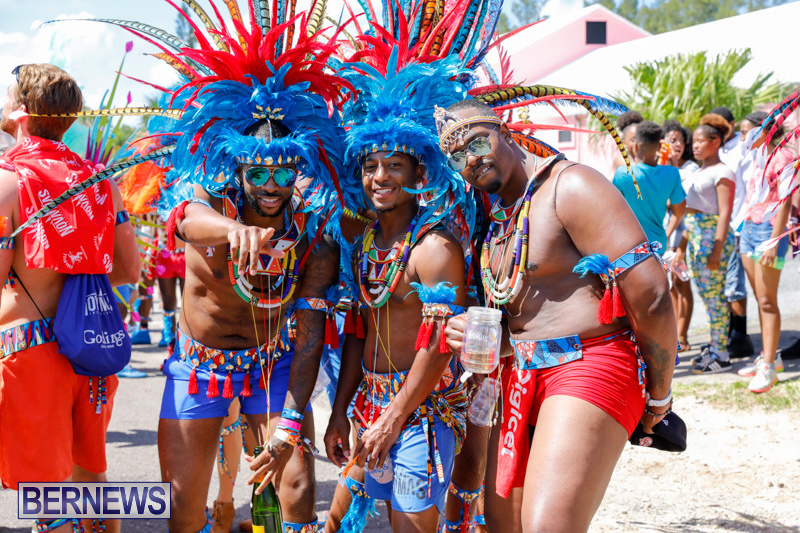 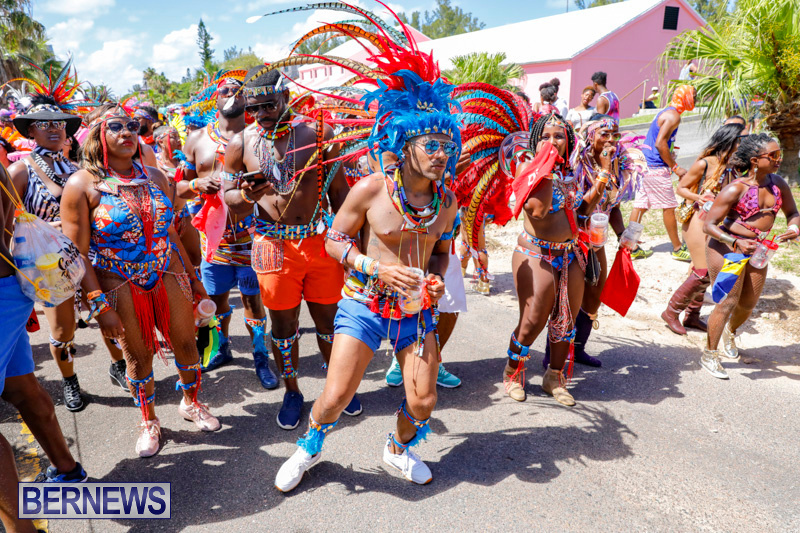 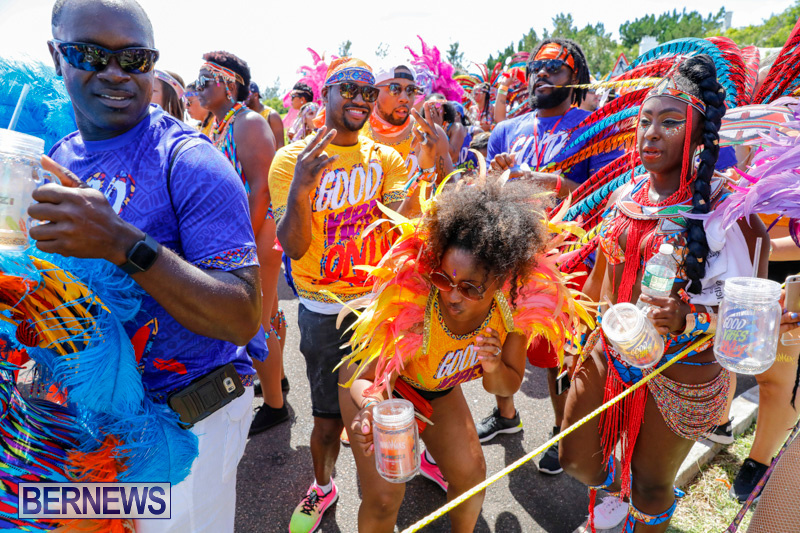 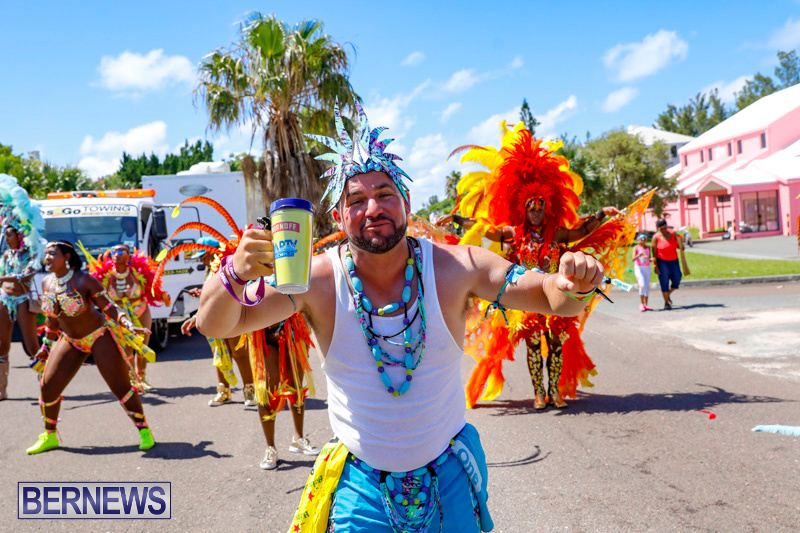 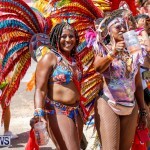 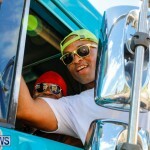 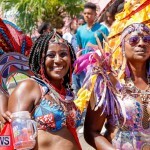 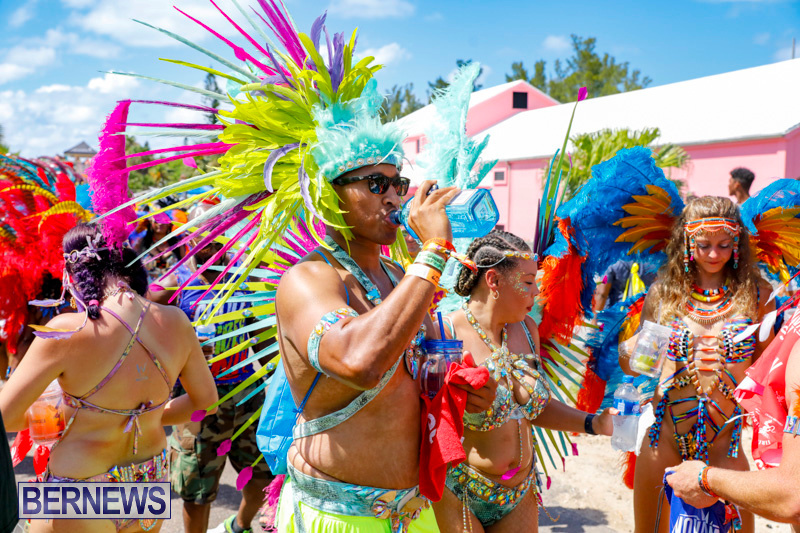 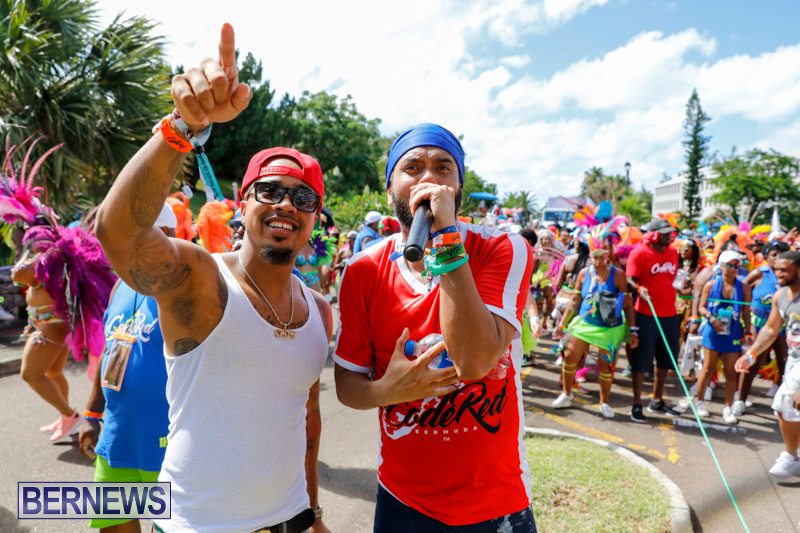 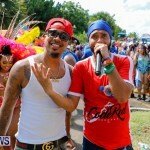 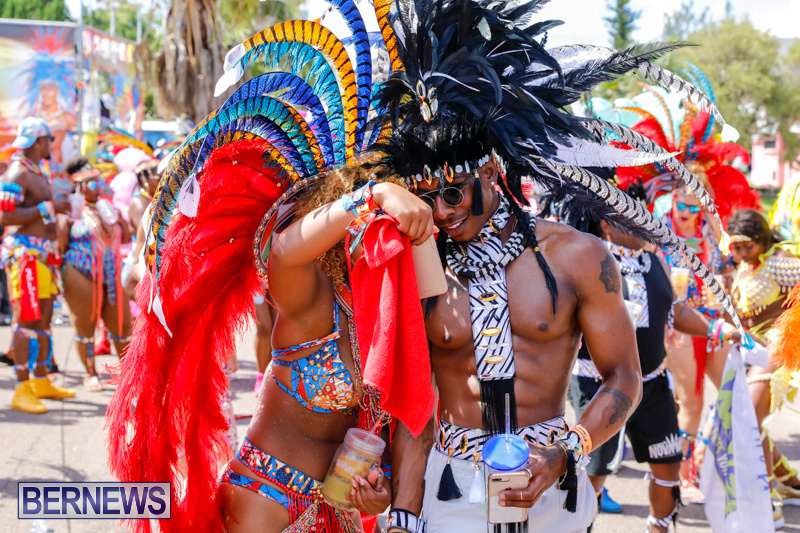 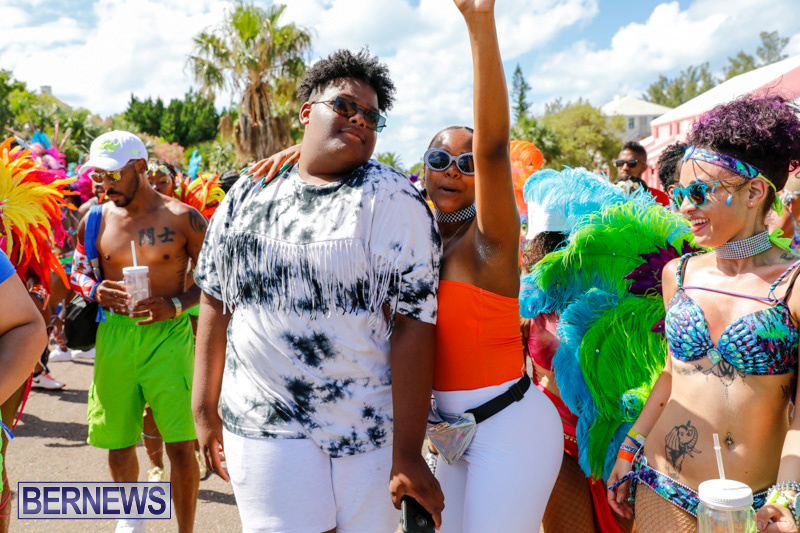 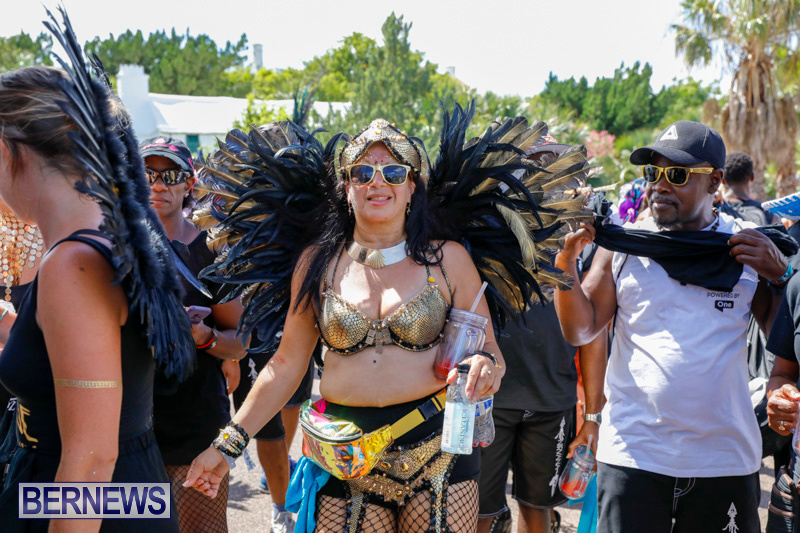 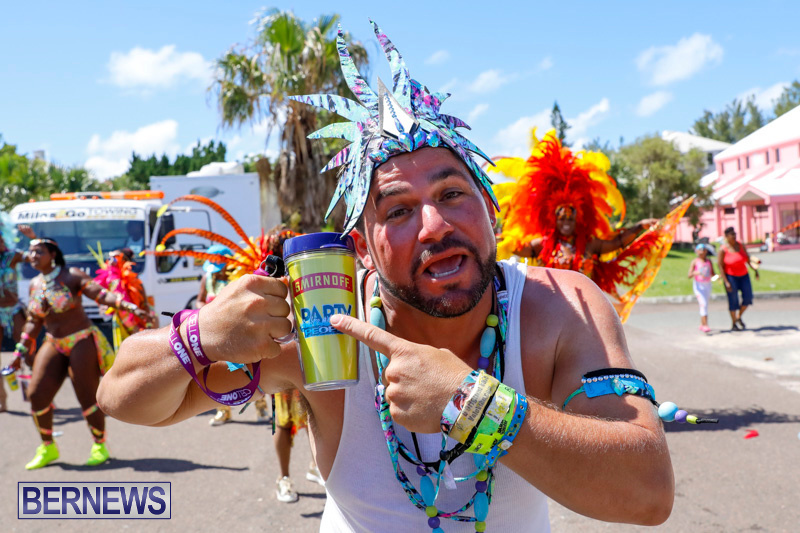 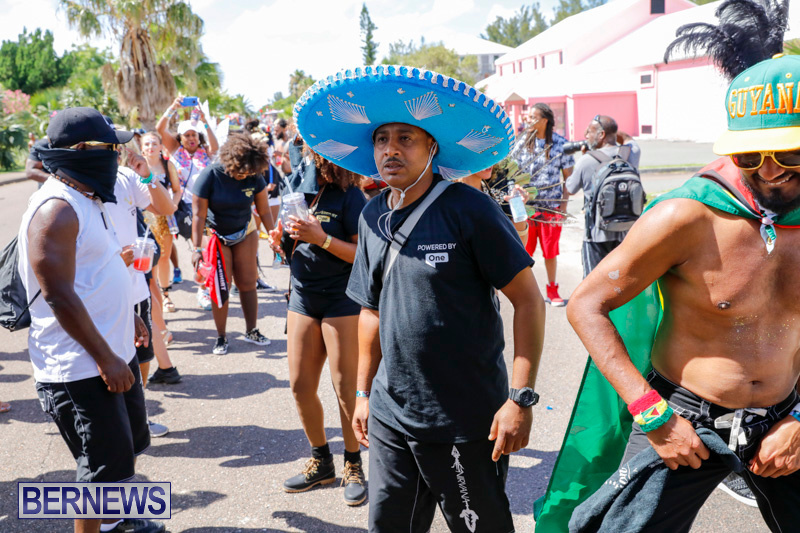 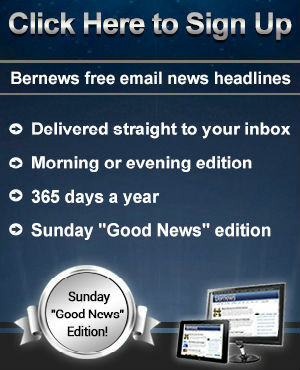 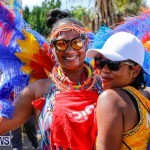 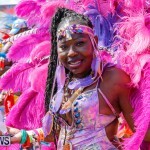 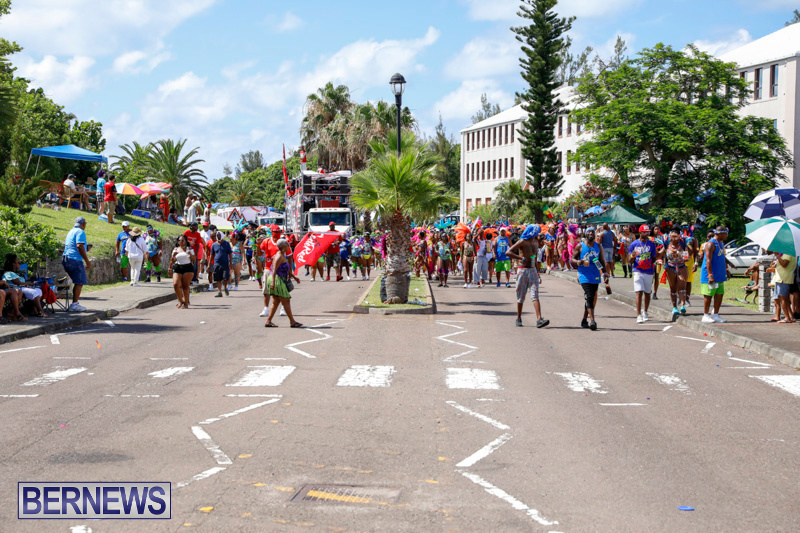 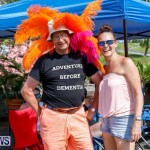 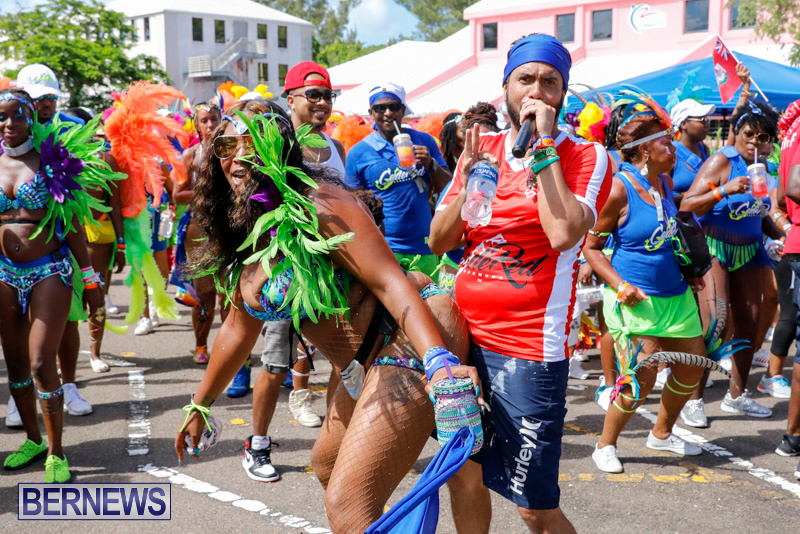 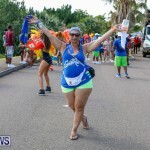 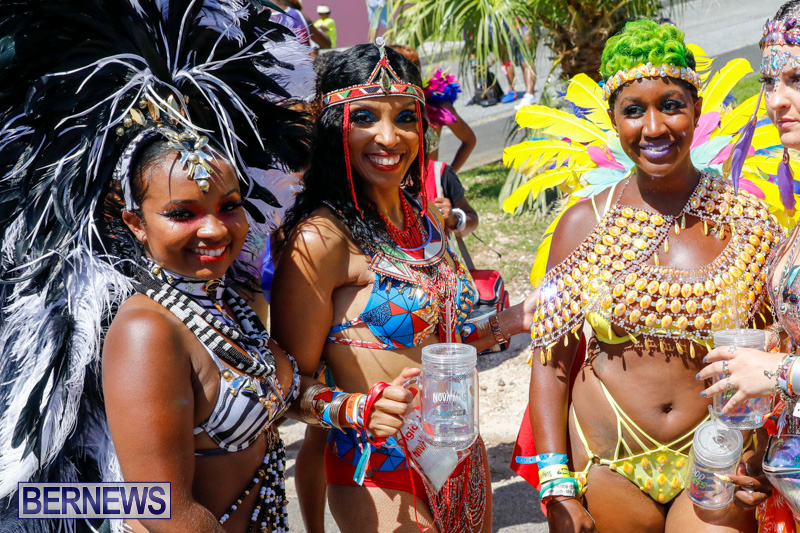 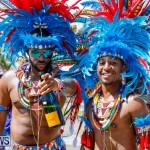 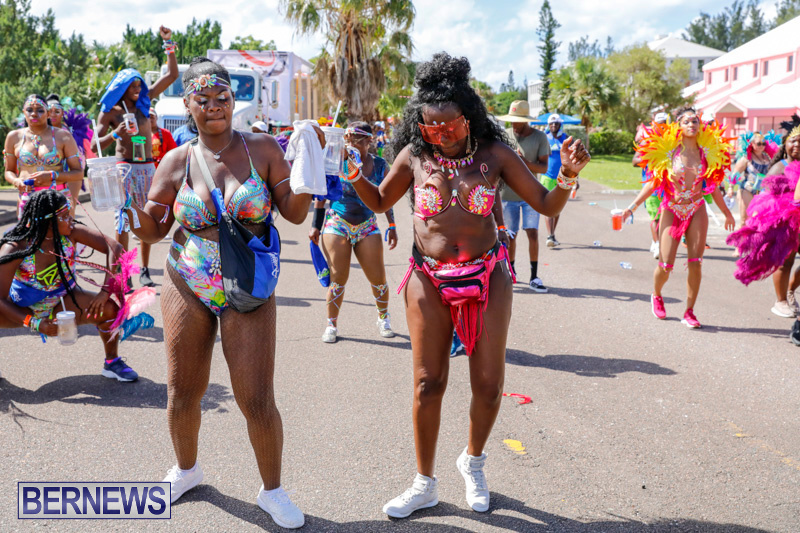 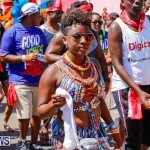 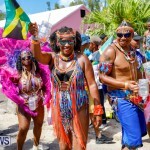 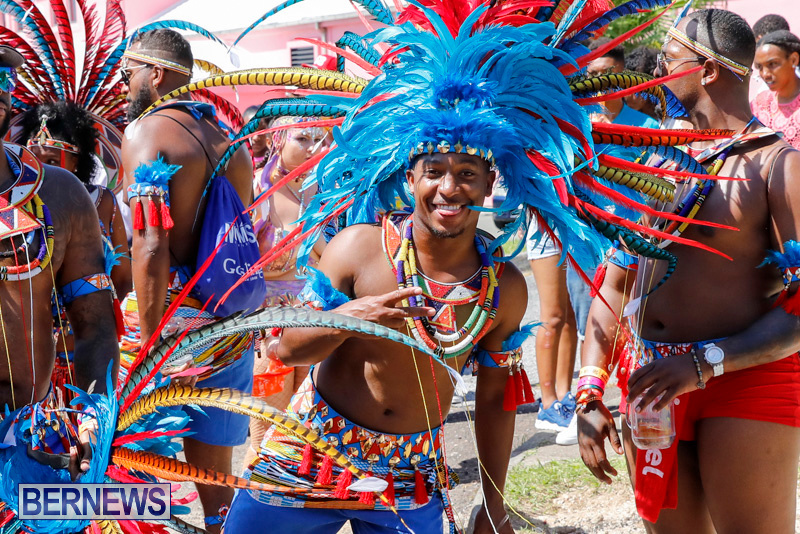 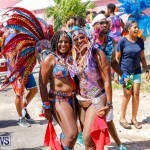 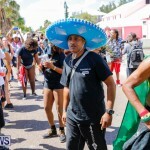 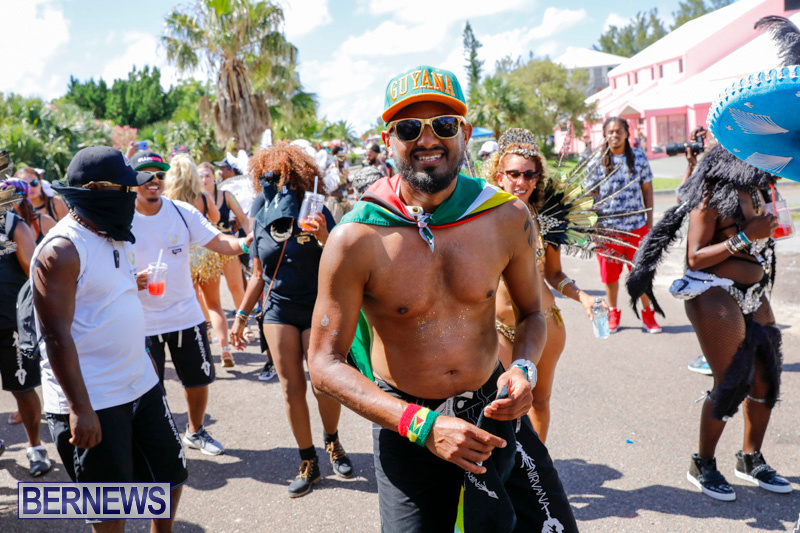 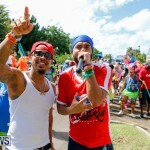 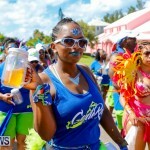 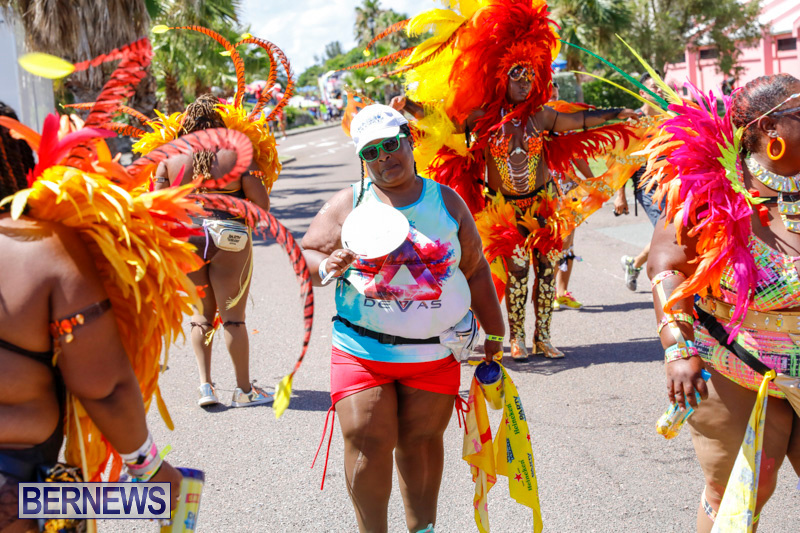 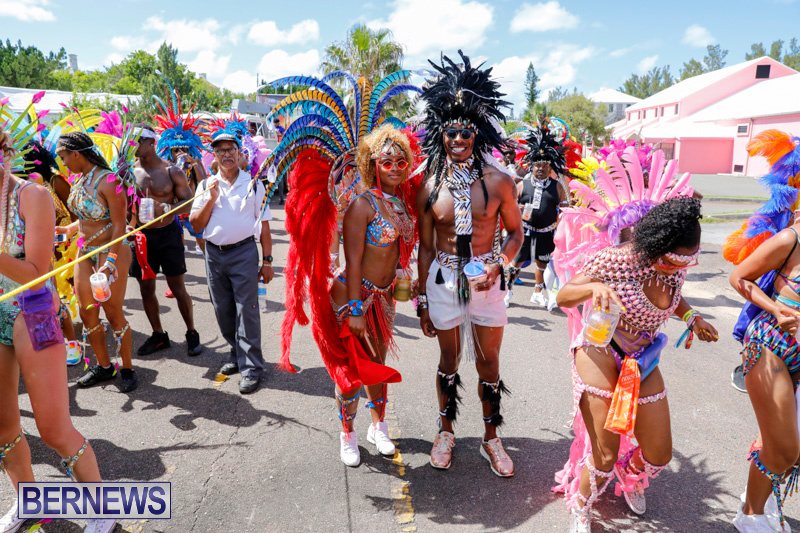 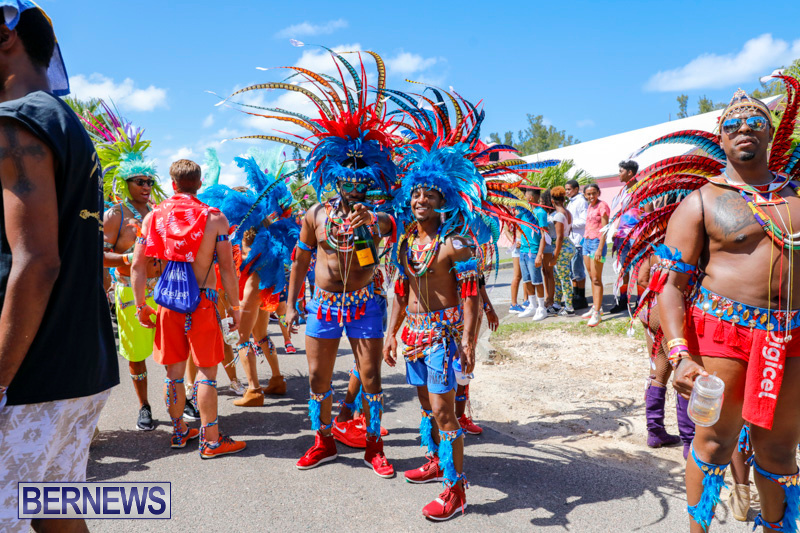 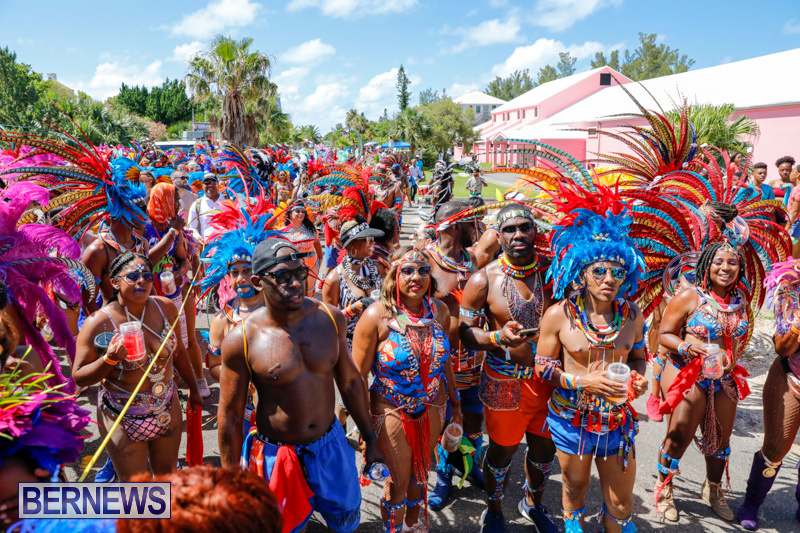 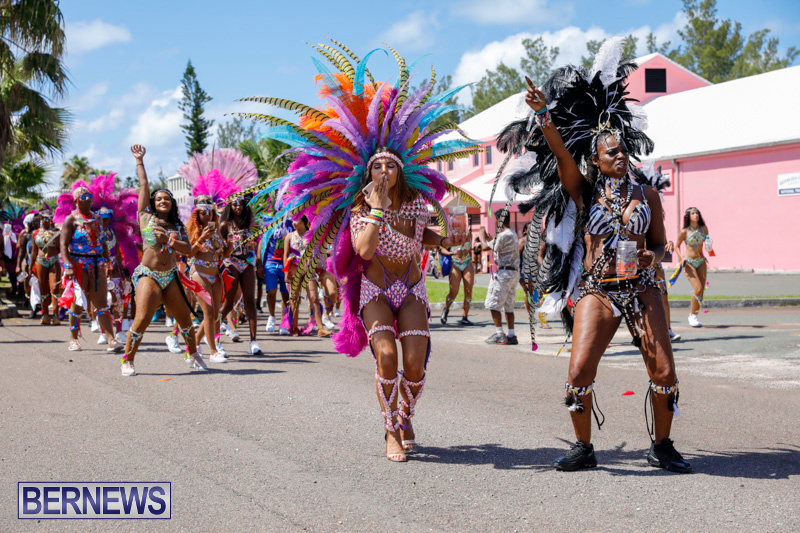 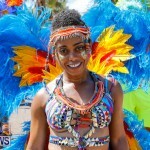 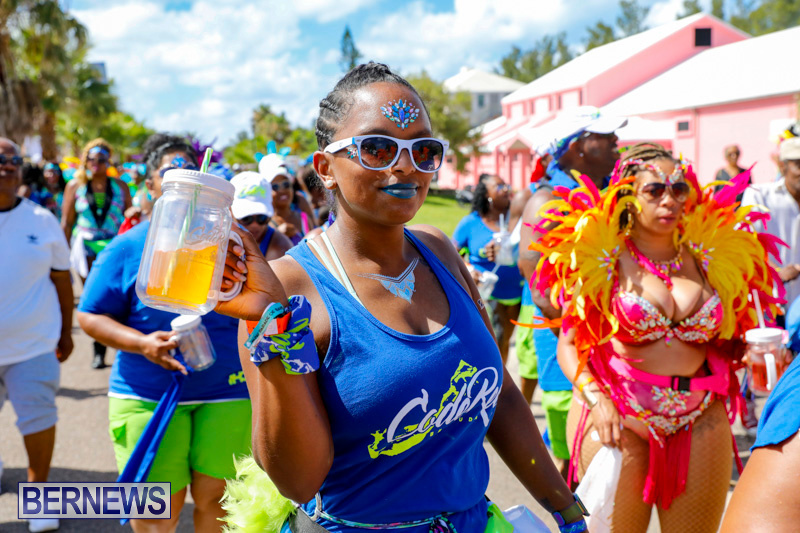 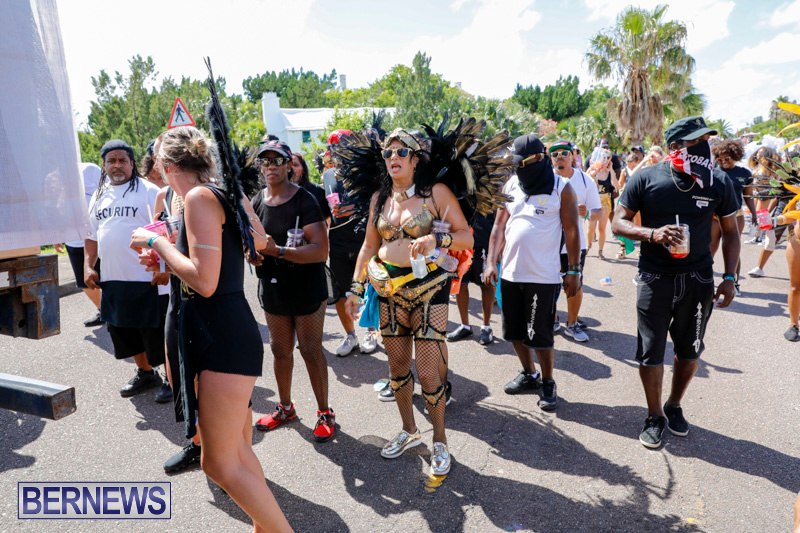 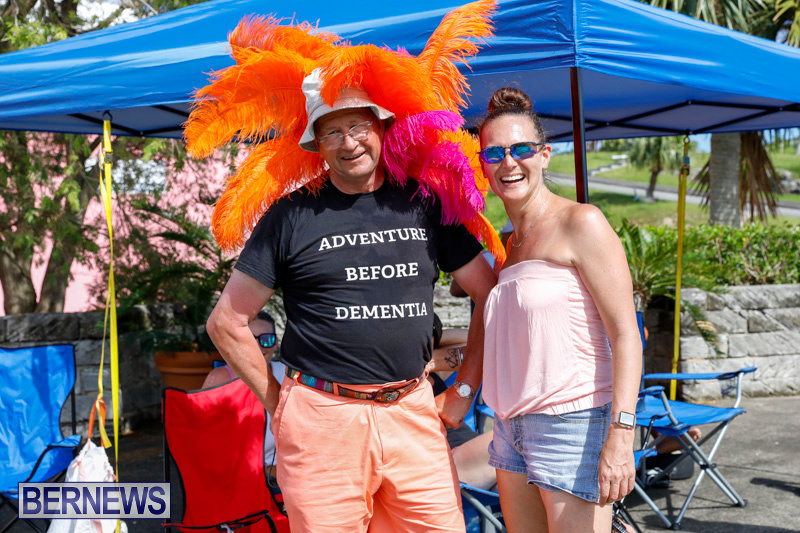 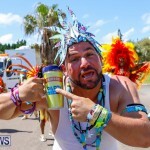 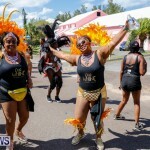 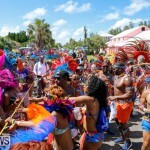 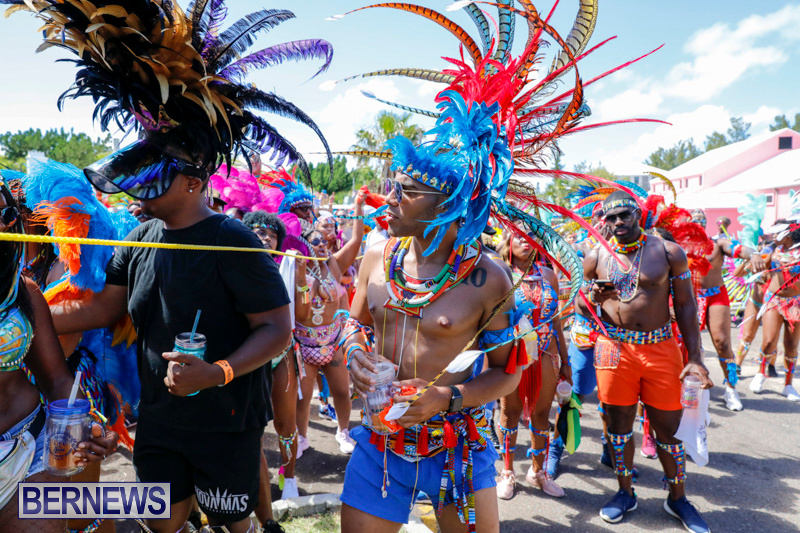 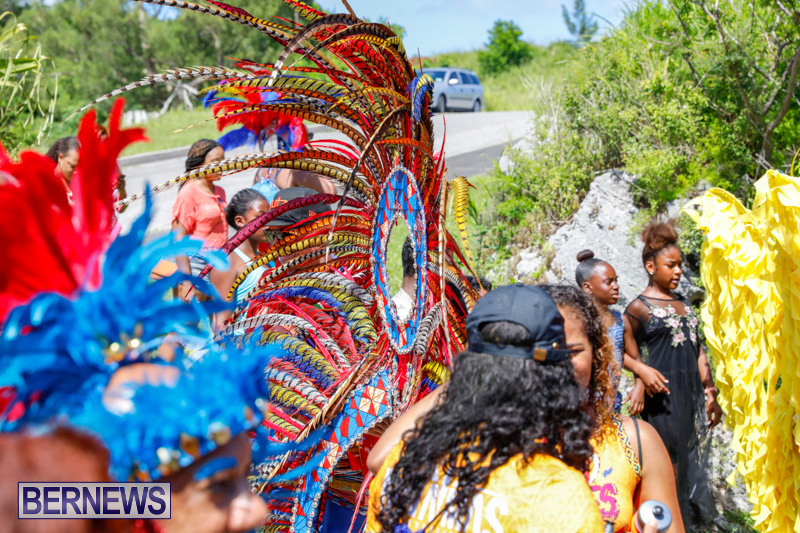 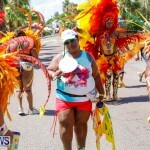 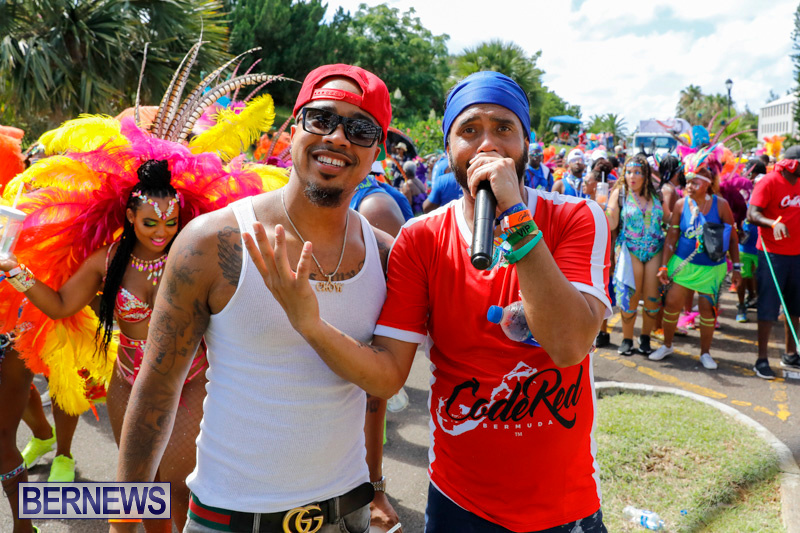 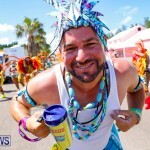 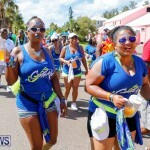 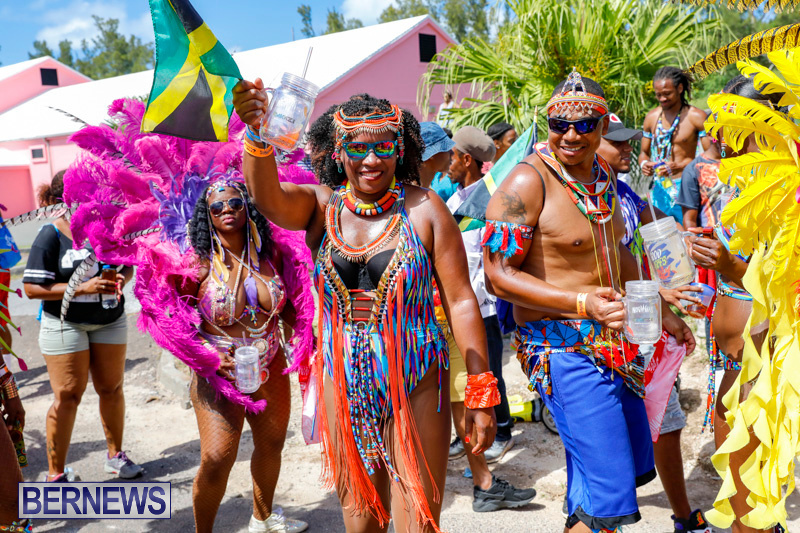 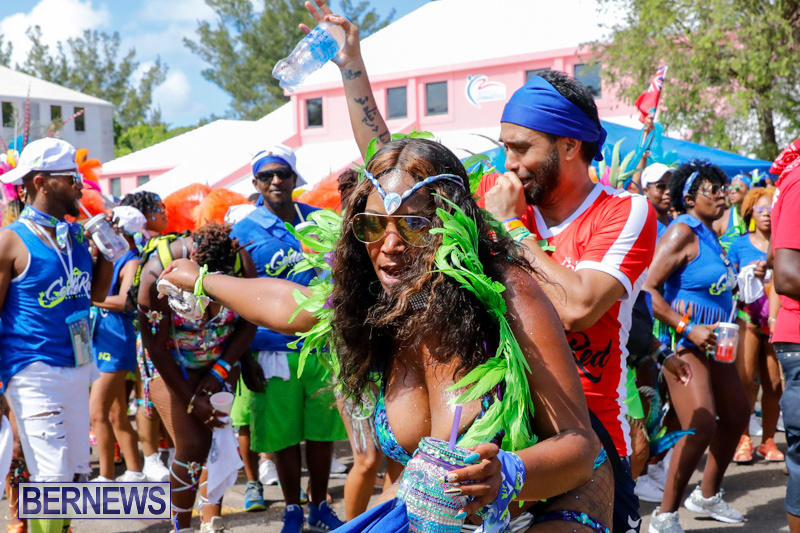 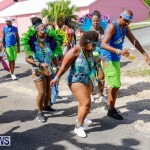 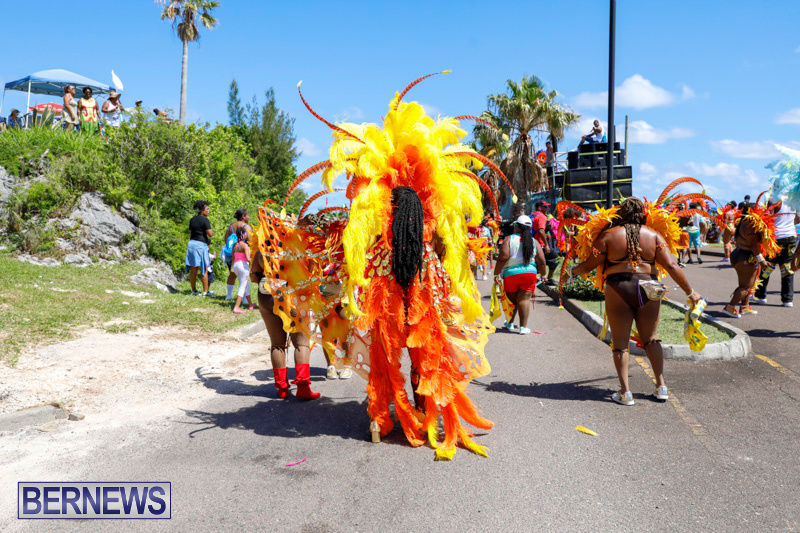 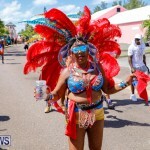 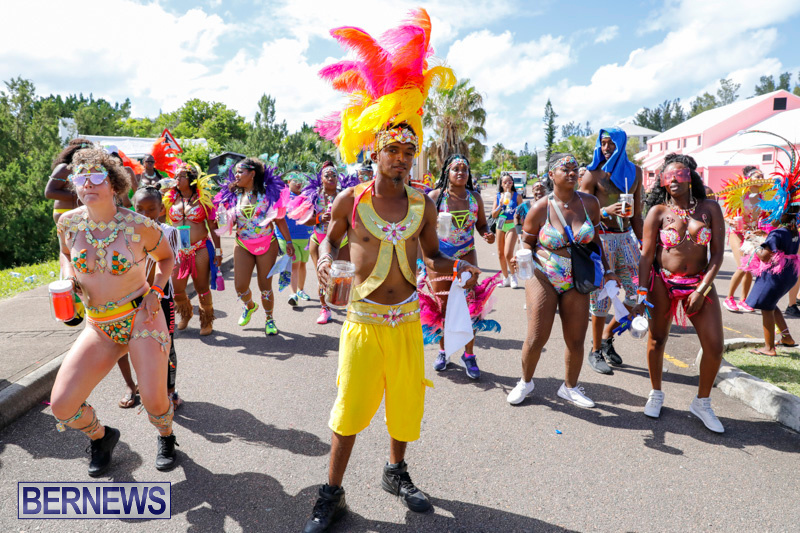 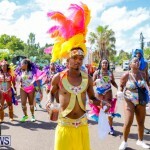 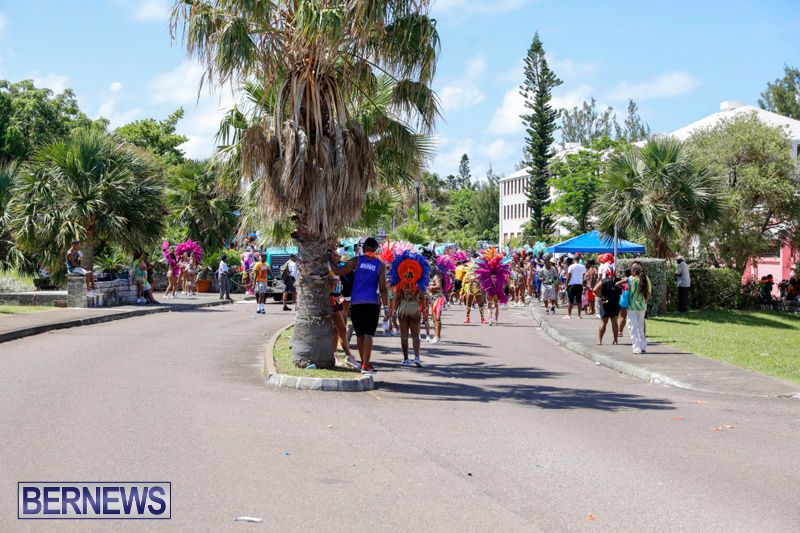 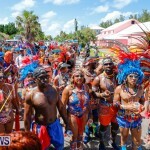 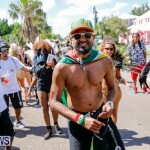 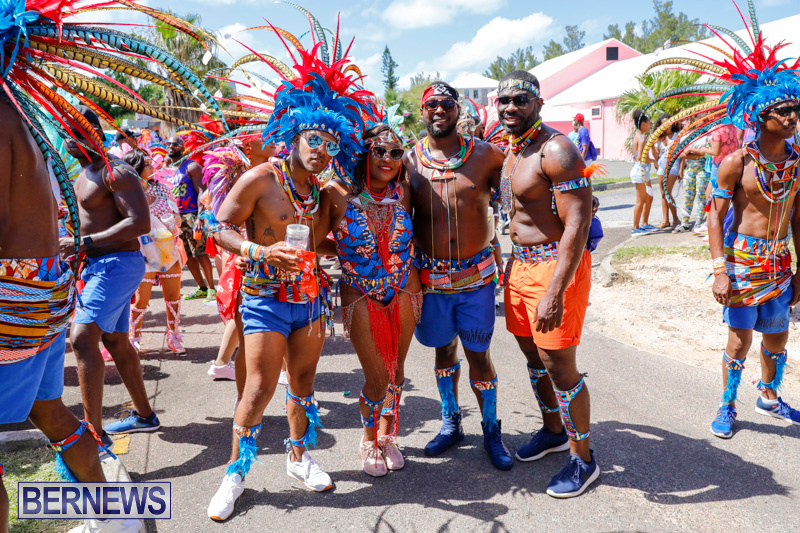 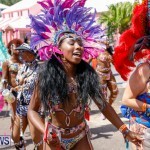 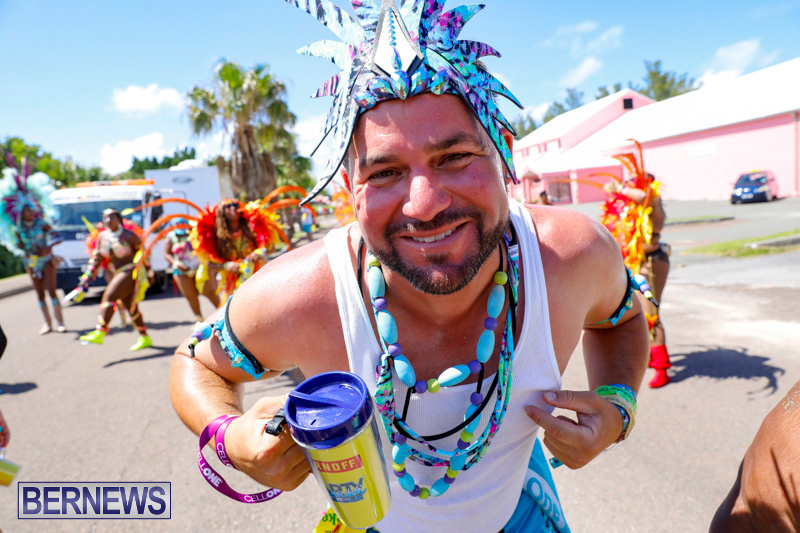 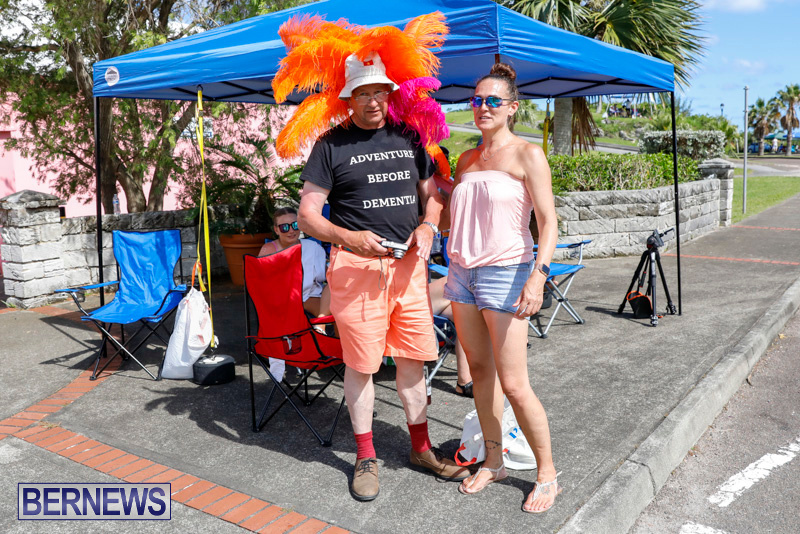 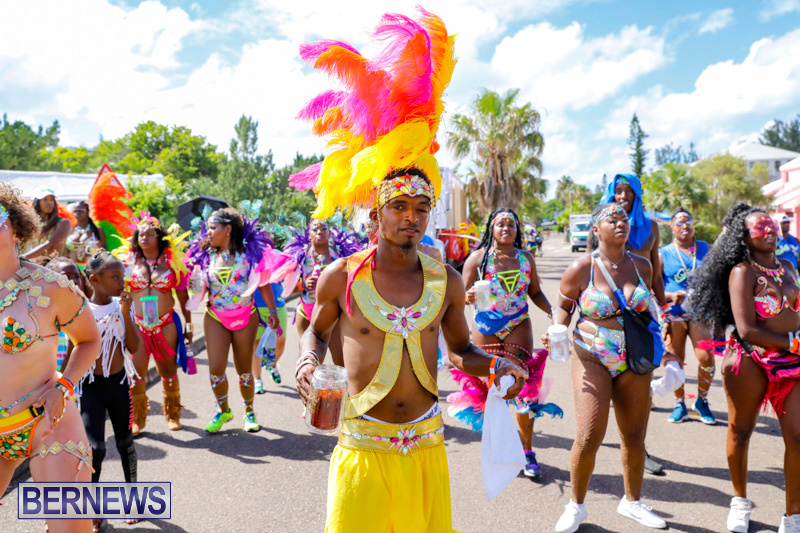 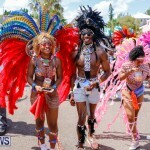 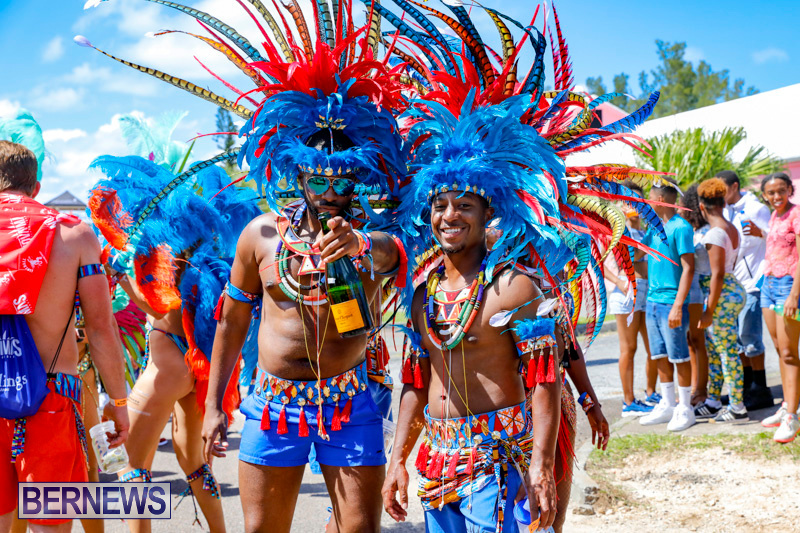 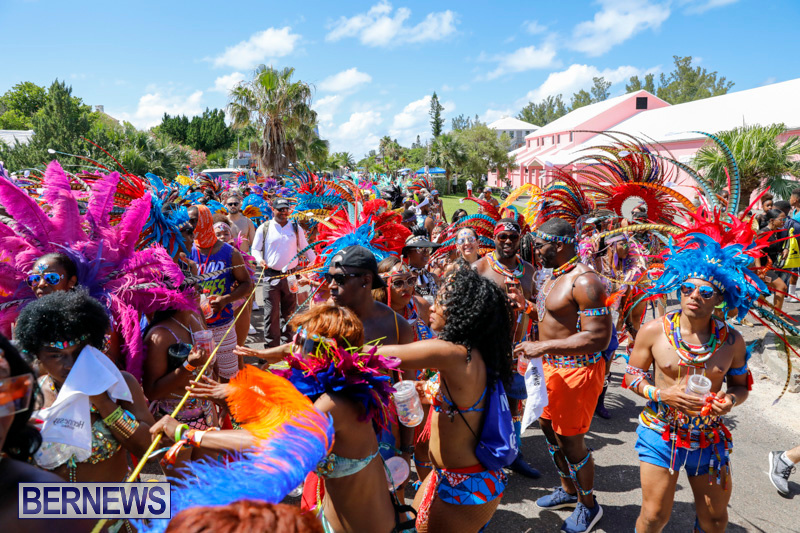 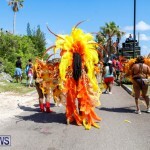 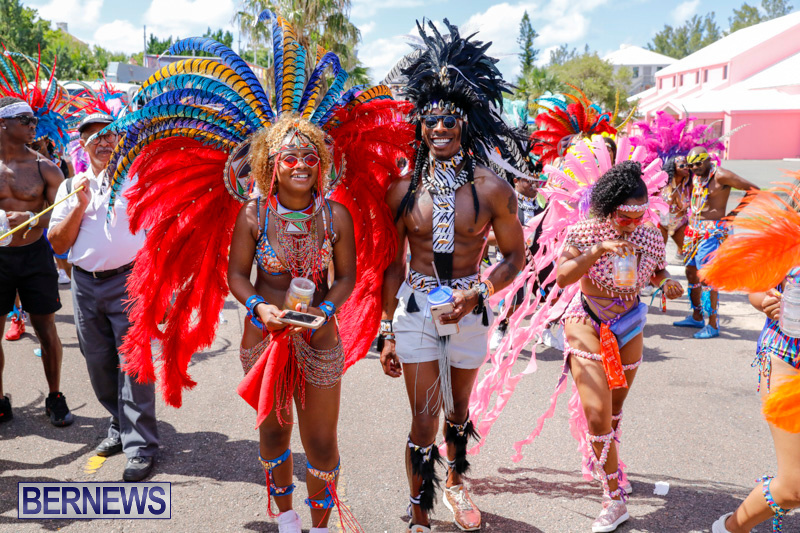 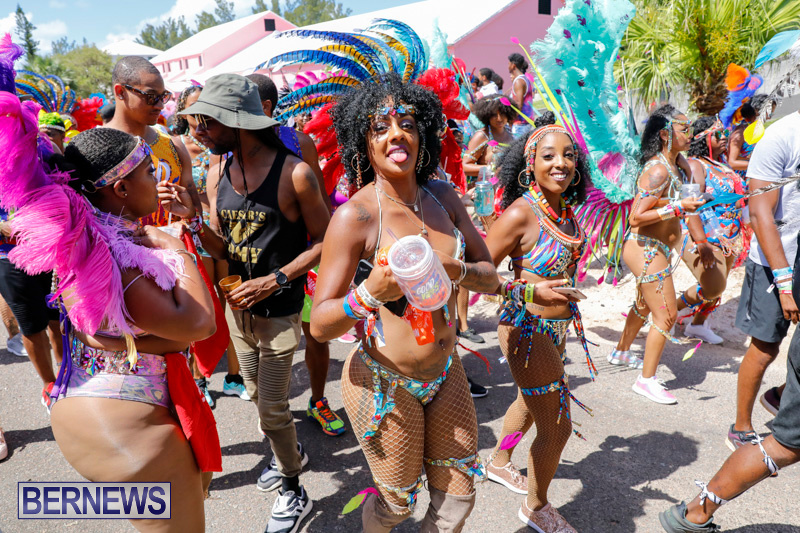 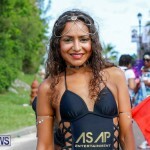 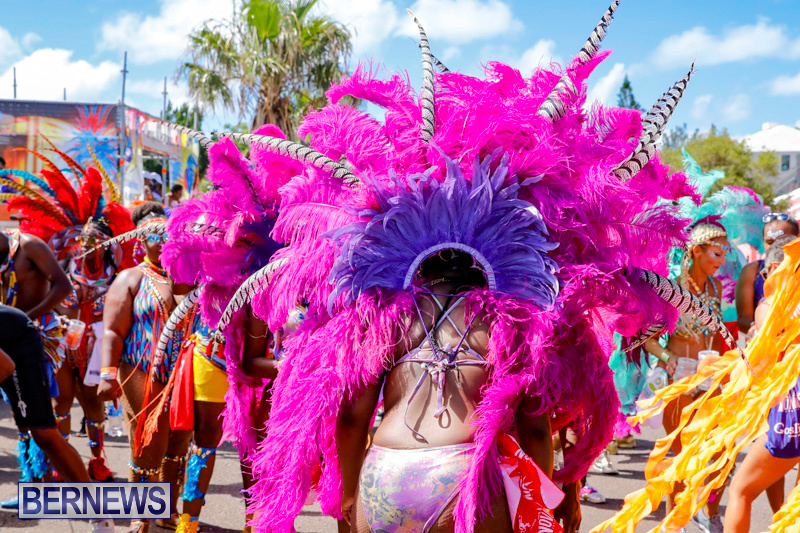 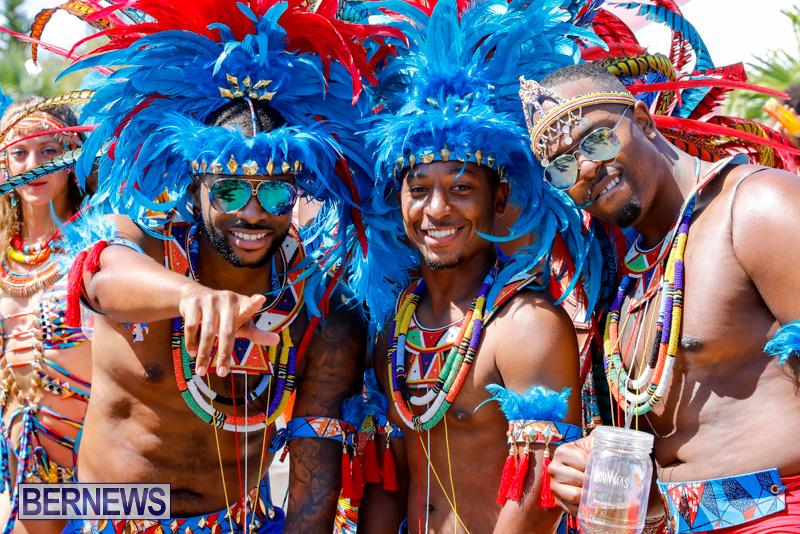 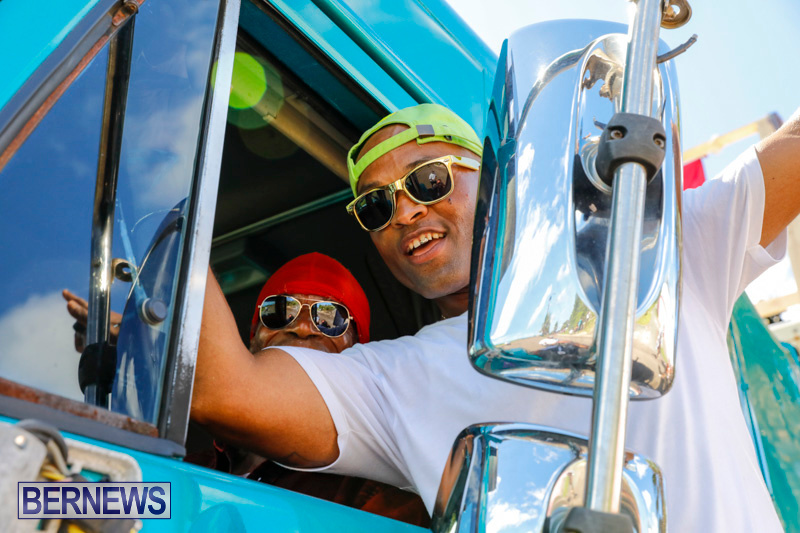 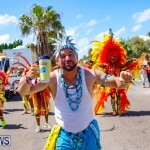 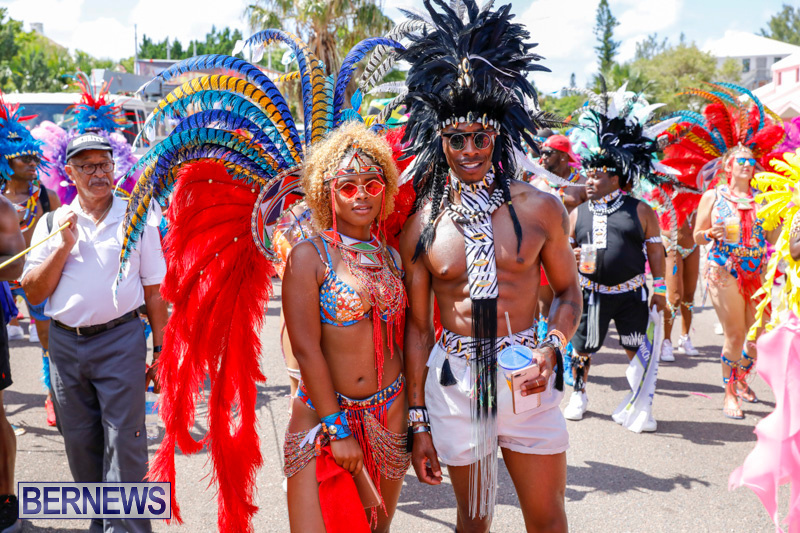 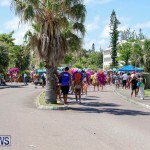 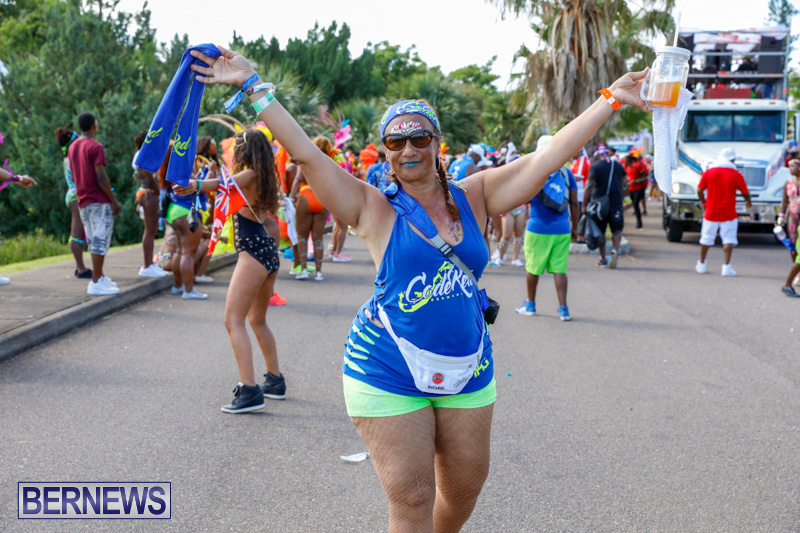 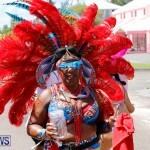 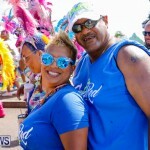 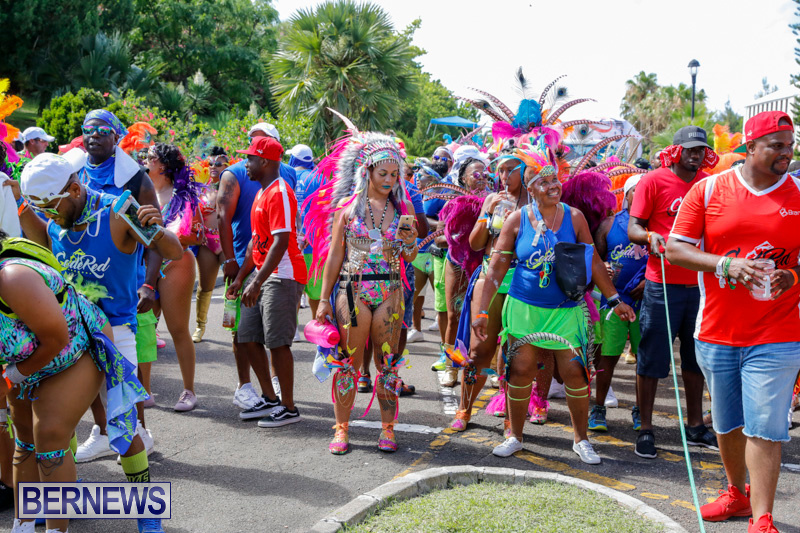 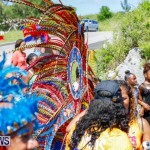 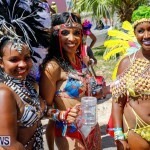 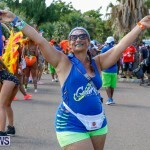 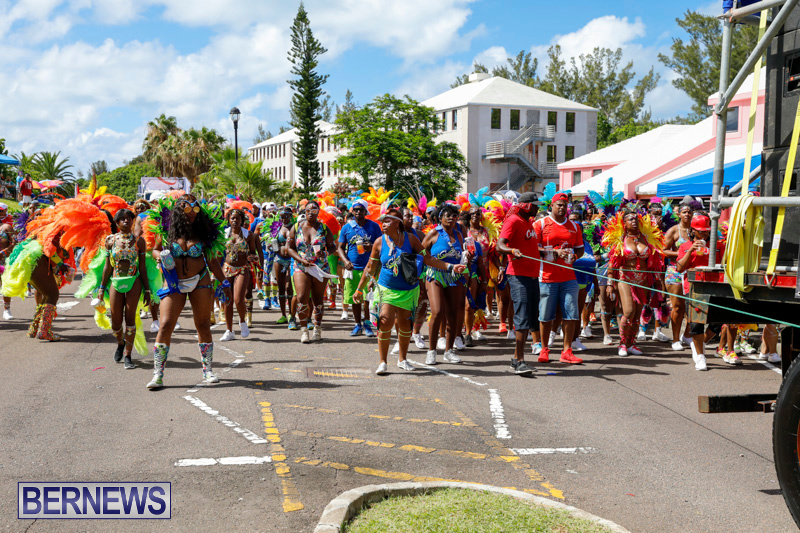 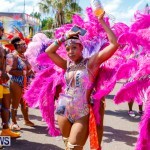 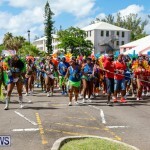 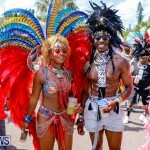 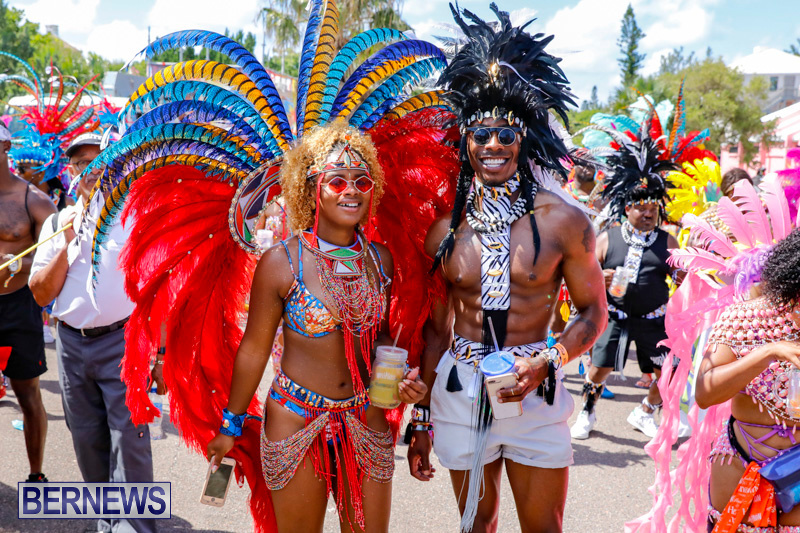 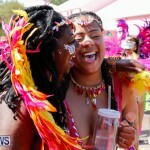 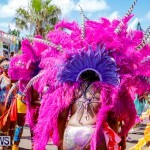 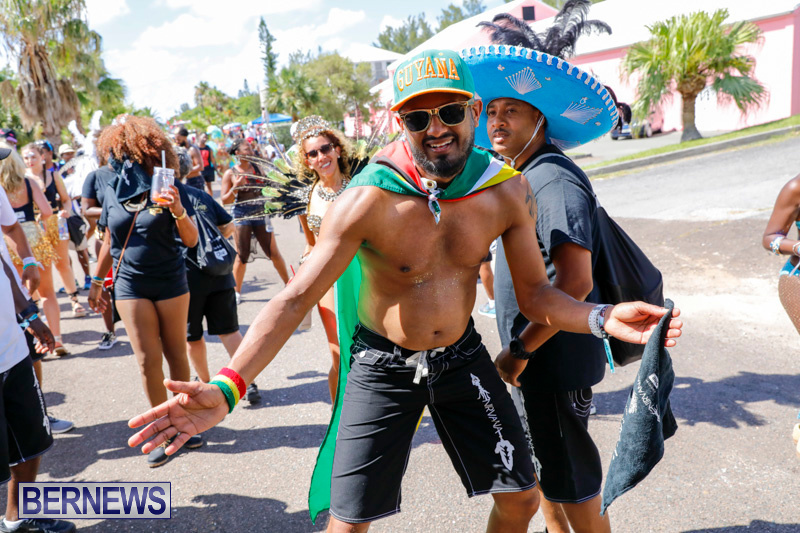 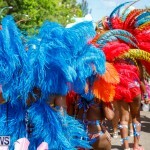 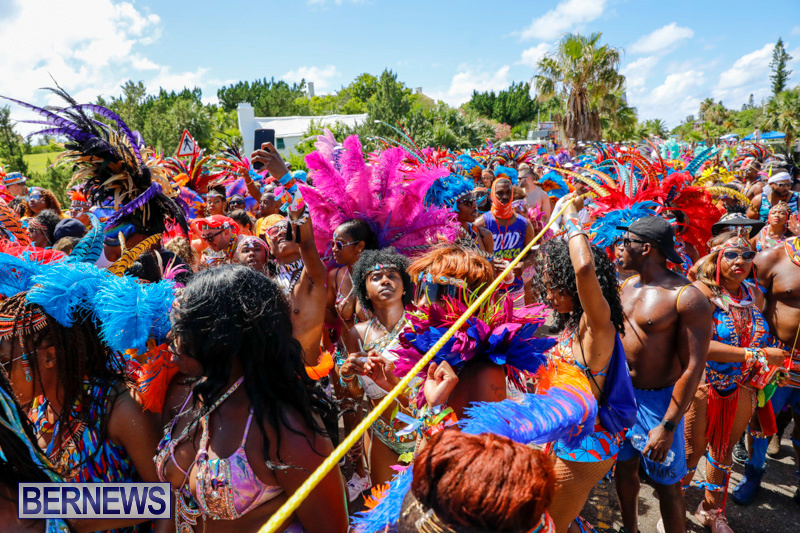 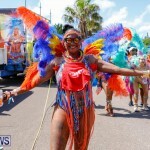 Bermuda Heroes Weekend got underway with the ‘Five Star Friday’ event on Friday [June 15], continued with the Raft Up at Shelly Bay on Saturday [June 16], the Pan In The Park on Sunday, and the J’Ouvert celebration early on Monday morning [June 18] at Bernard’s Park. 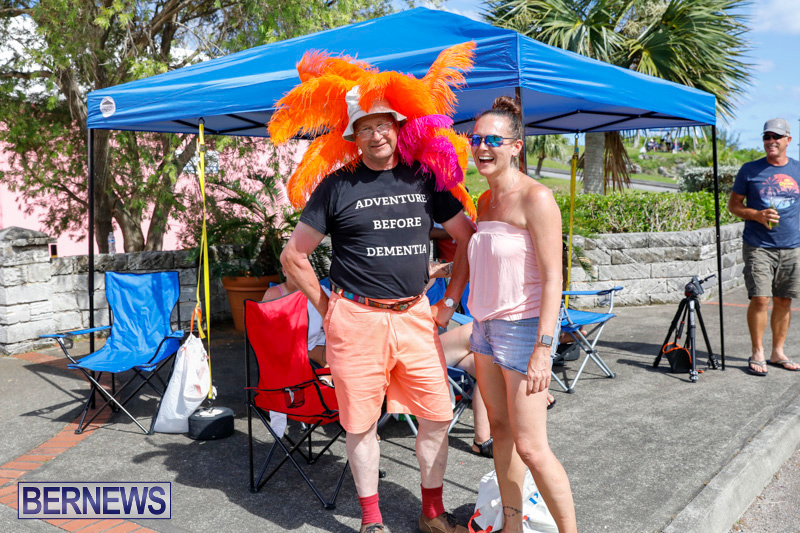 You can view view our fifth set of photos of the Parade of Bands below, and all our coverage of the Bermuda Heroes Weekend here.